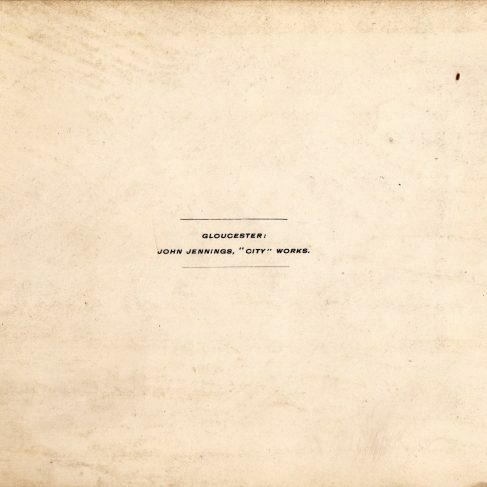 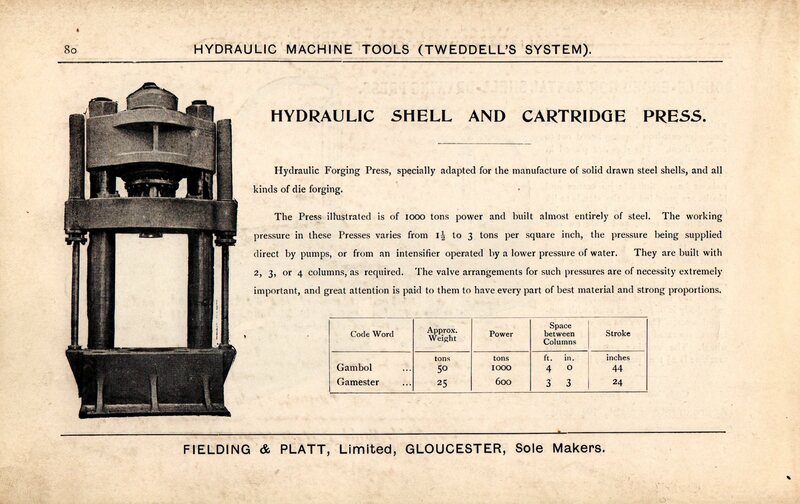 This is a rare small catalogue in a green hardback cover. 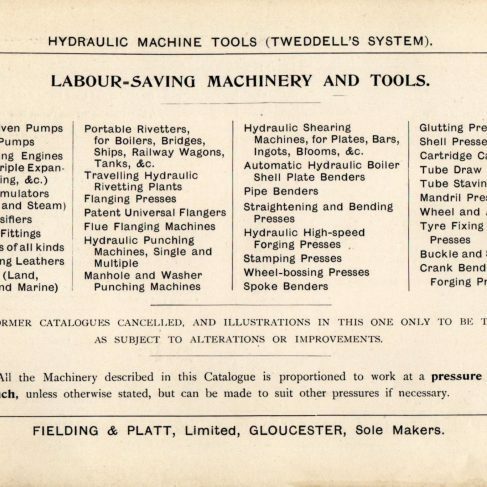 The Heritage Group are indebted to Robert Griffiths, of Chester, who kindly loaned this catalogue to us in 2018. 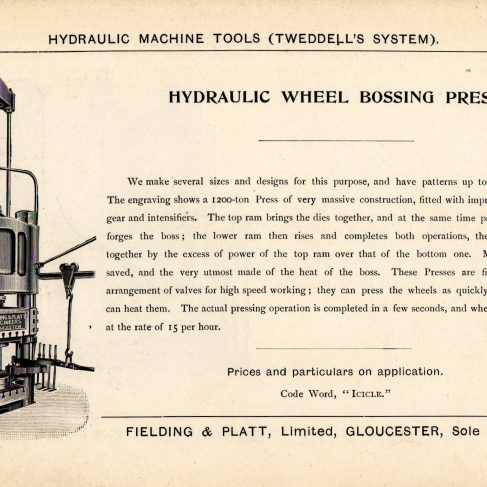 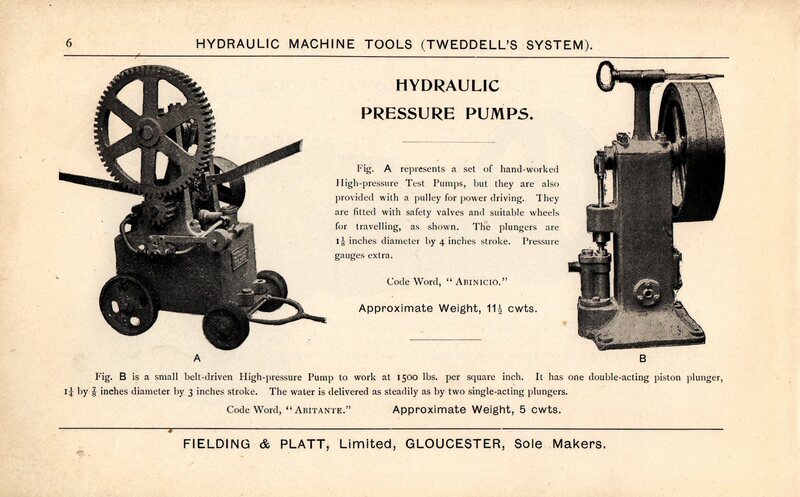 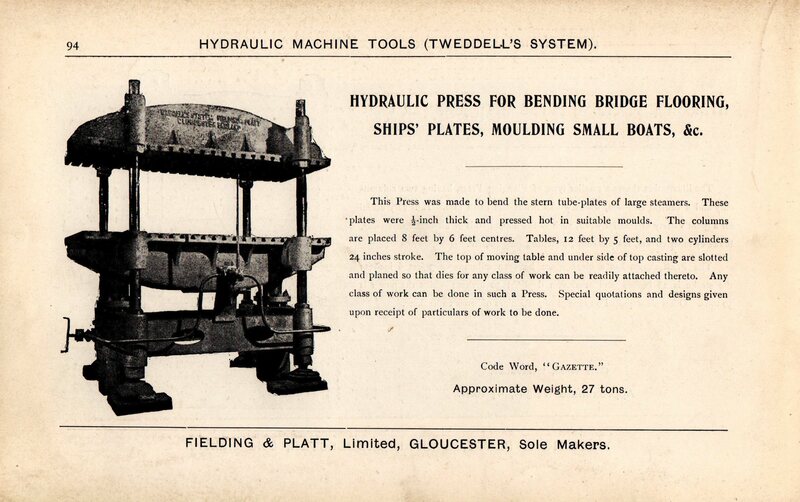 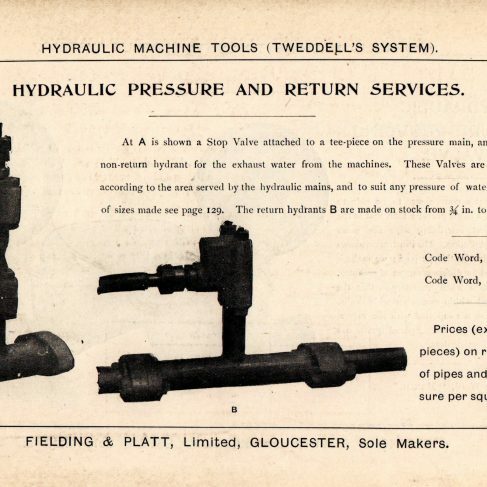 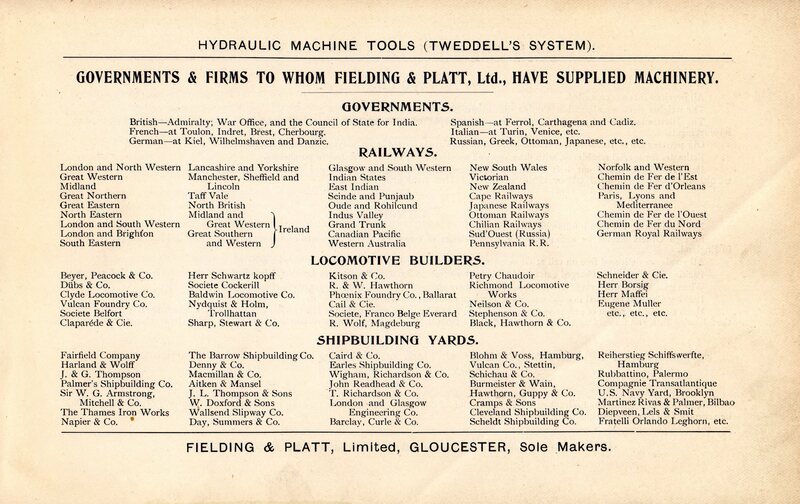 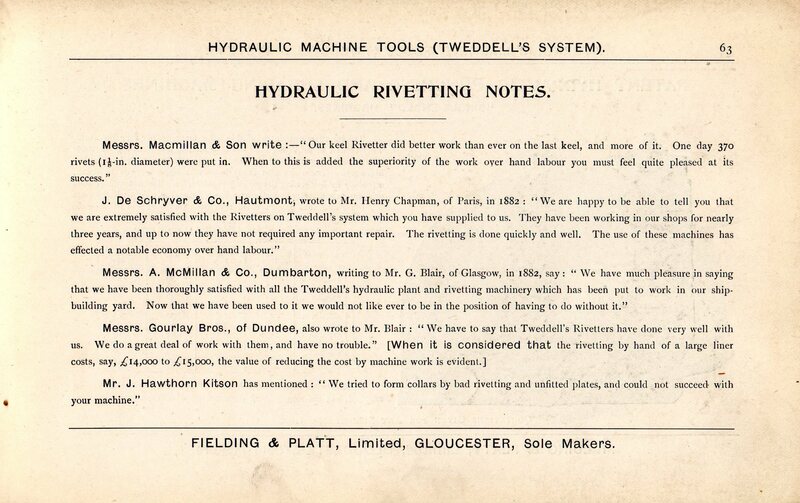 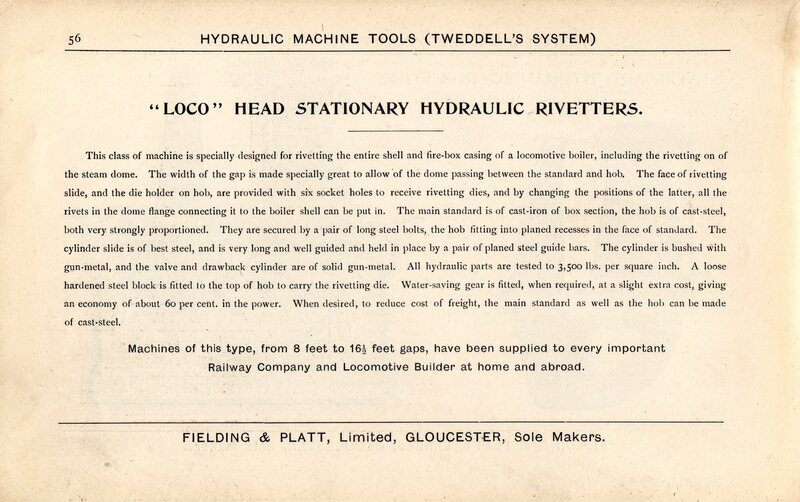 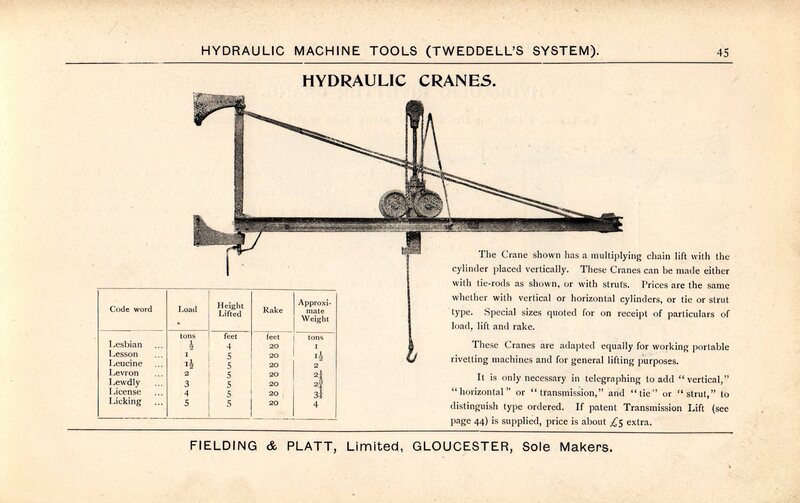 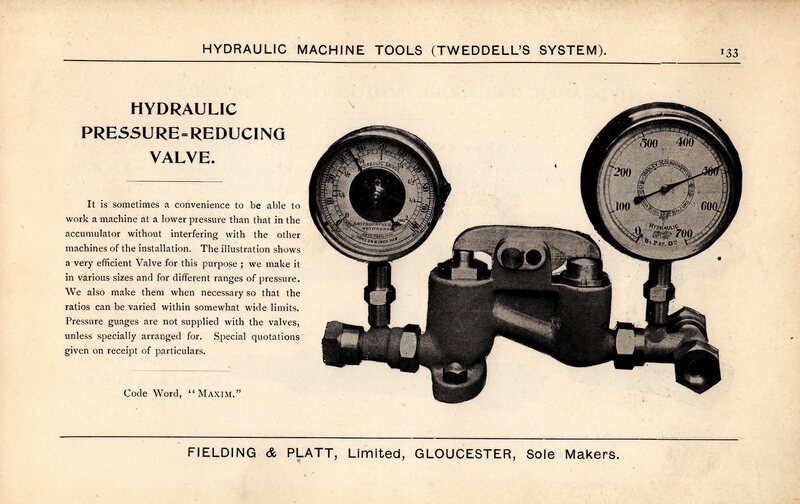 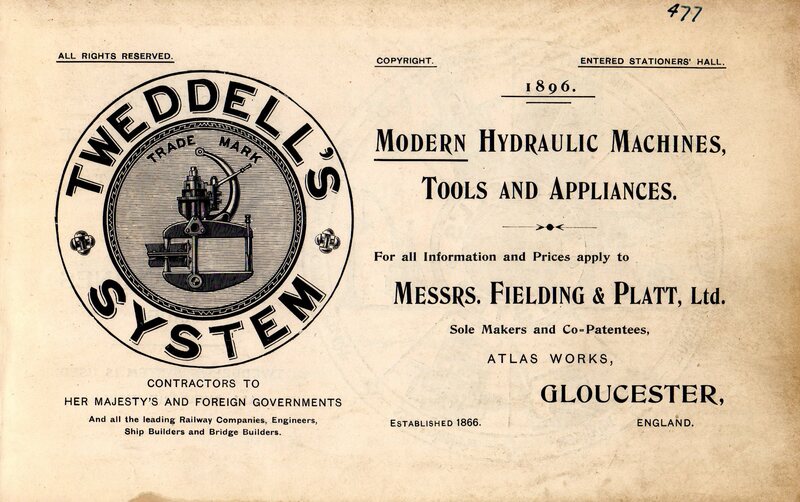 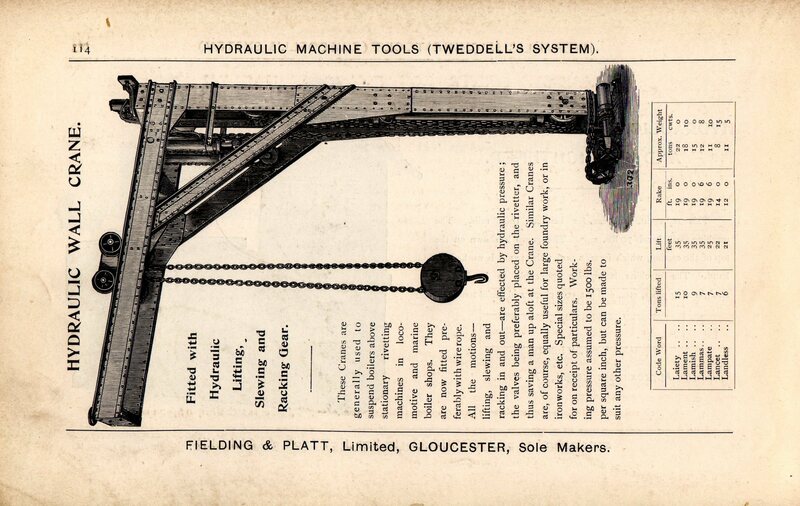 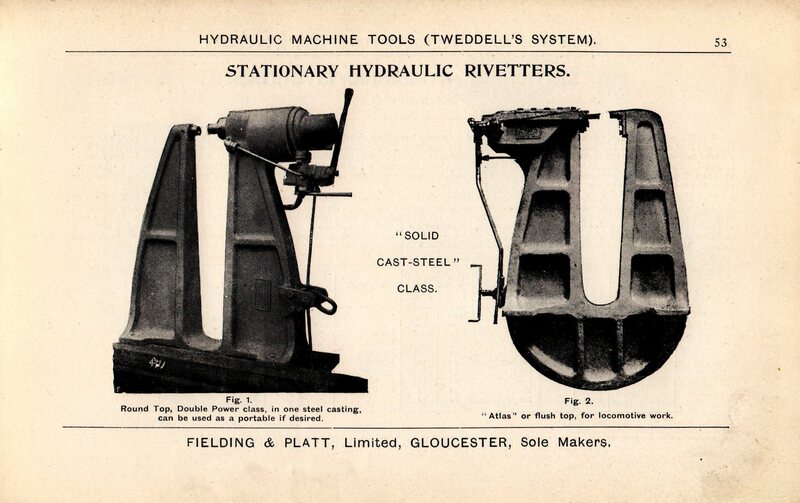 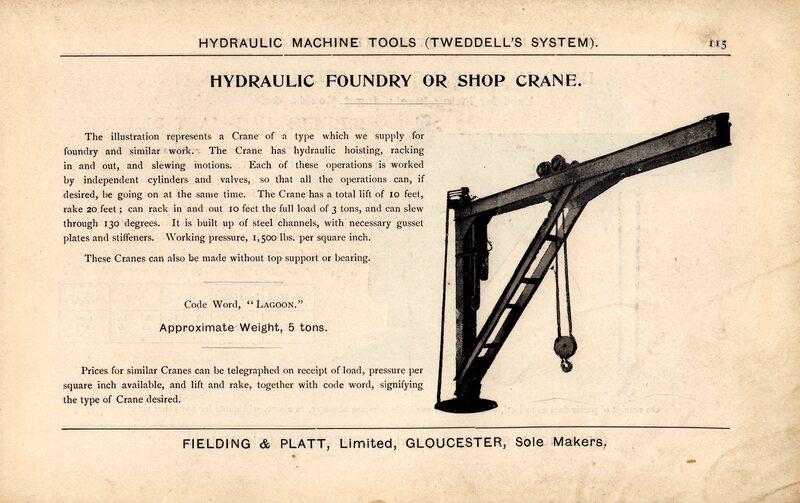 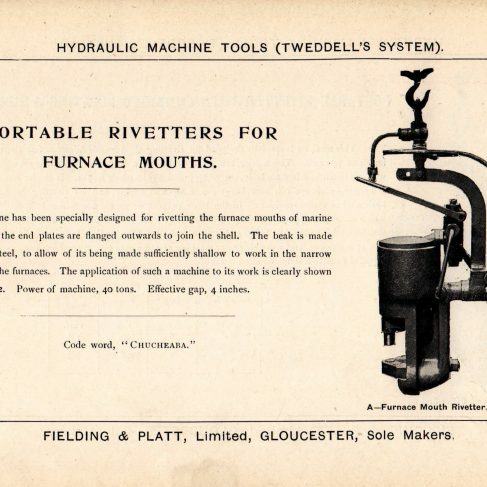 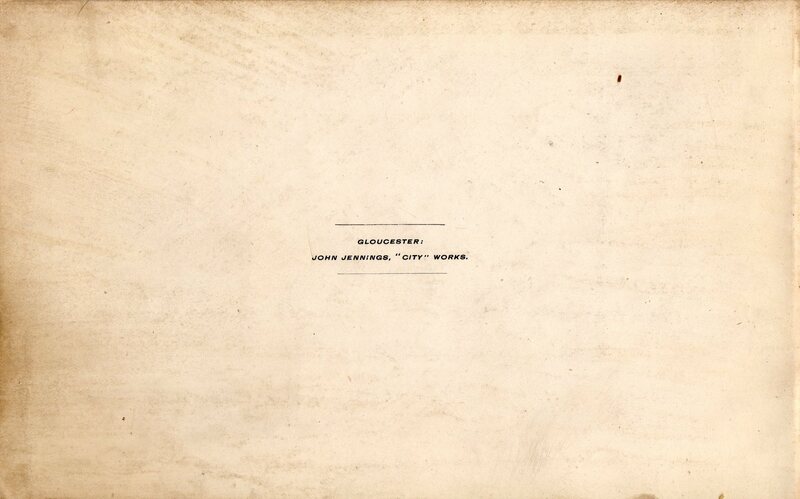 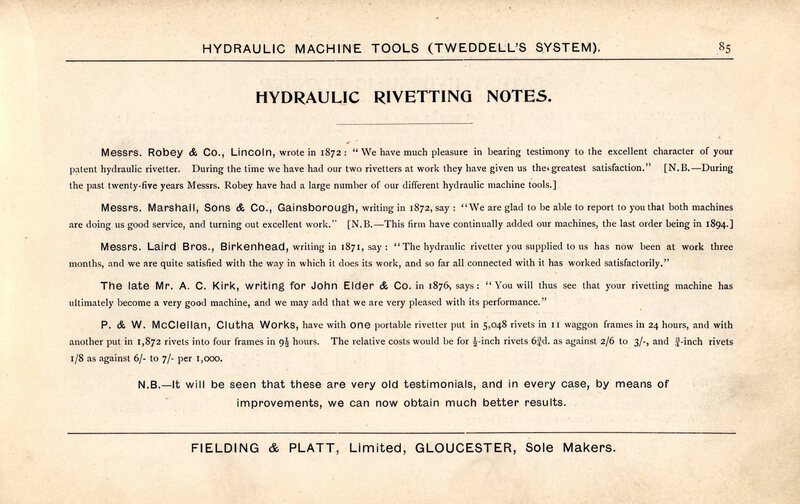 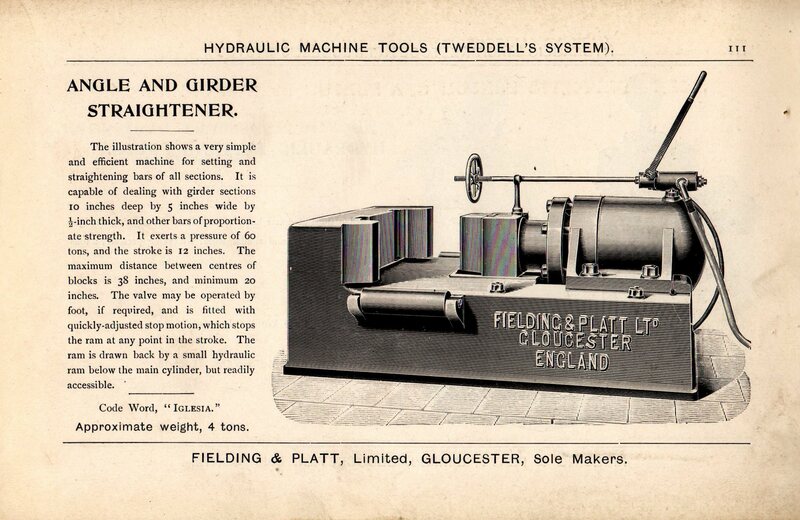 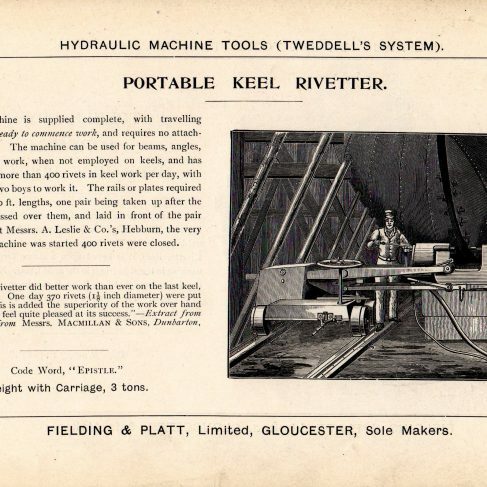 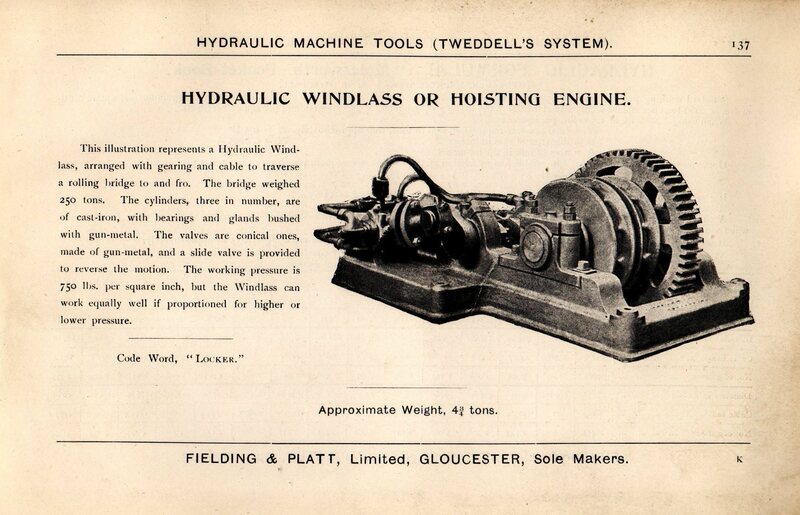 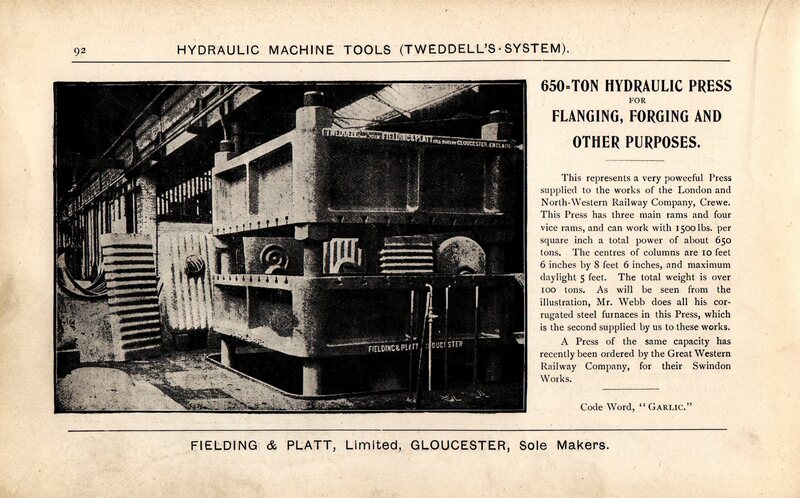 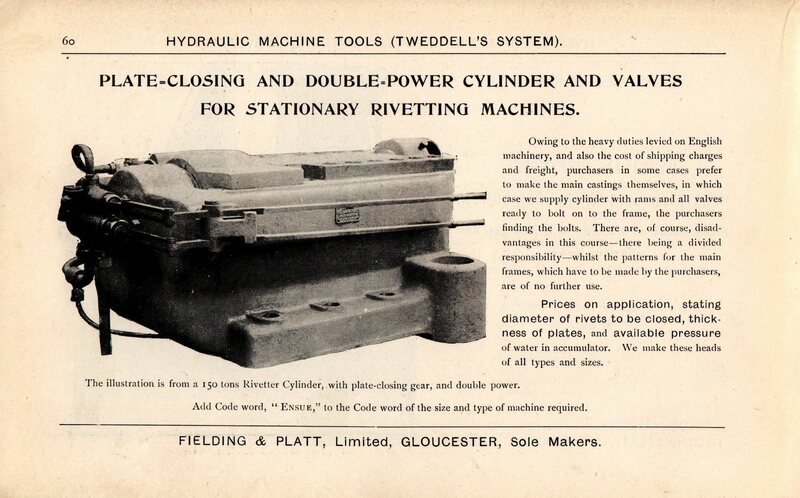 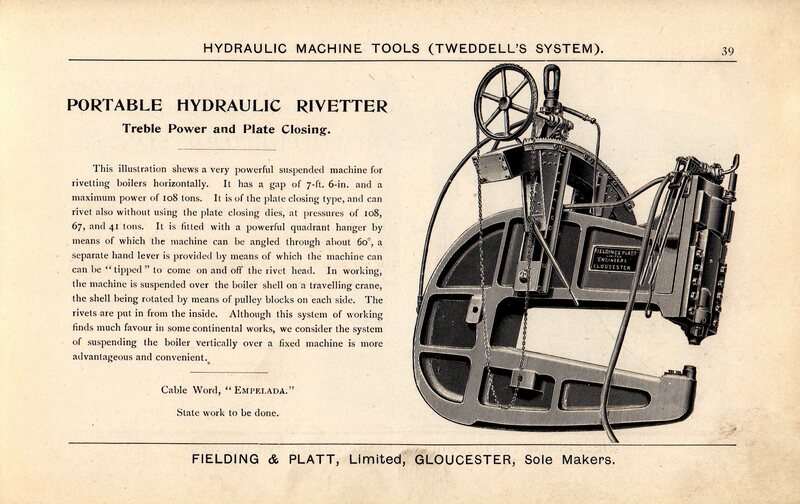 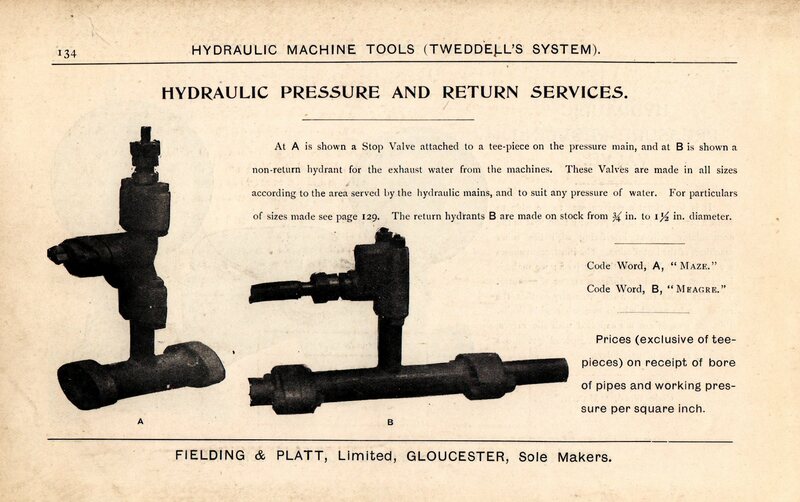 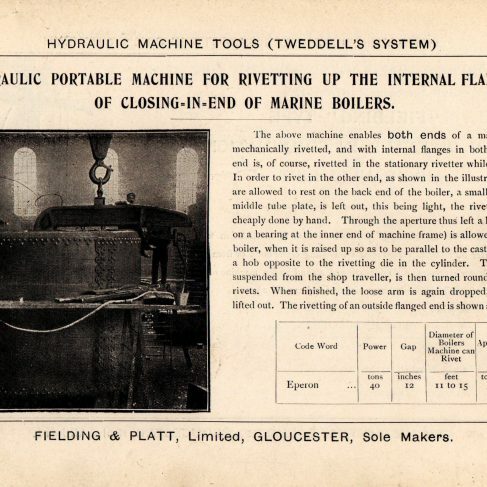 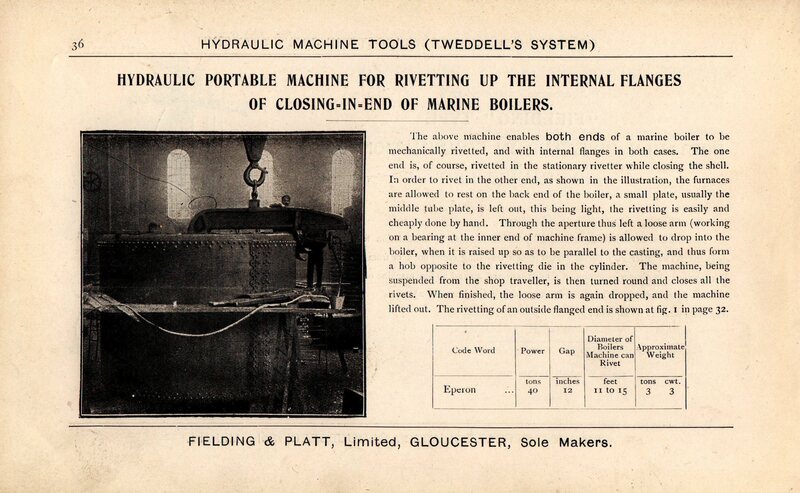 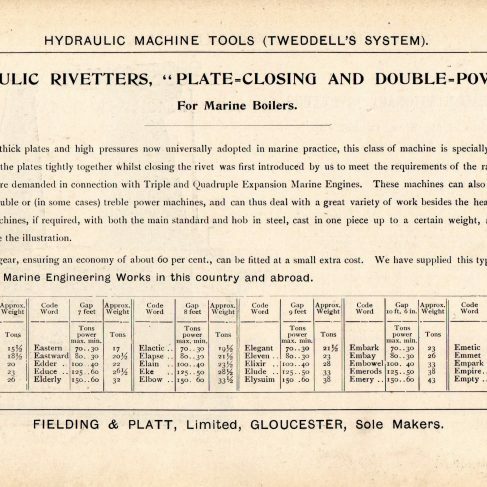 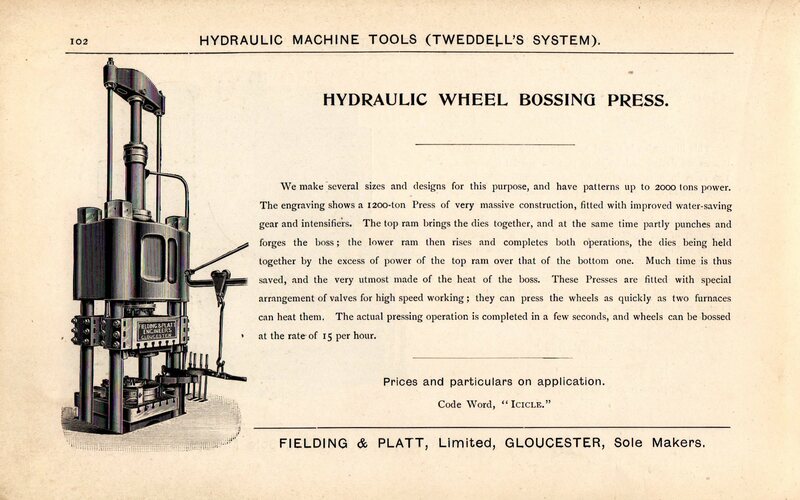 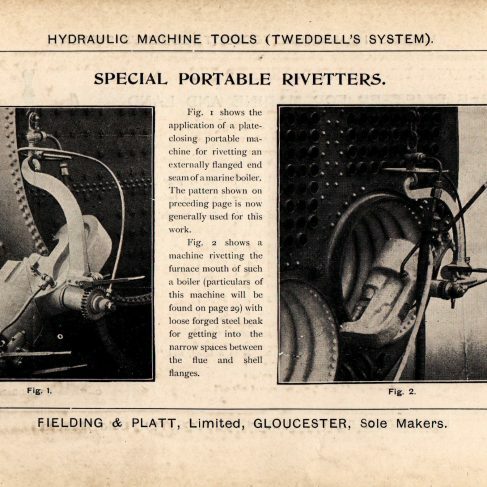 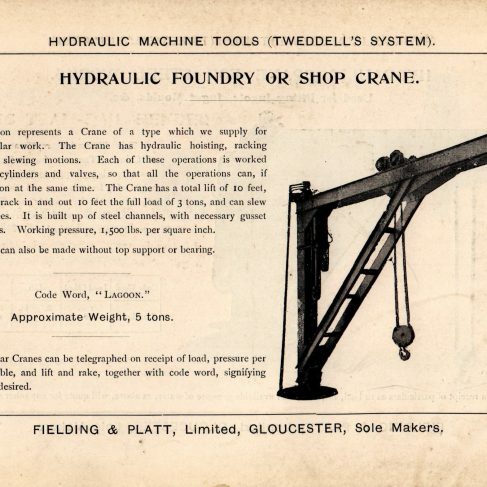 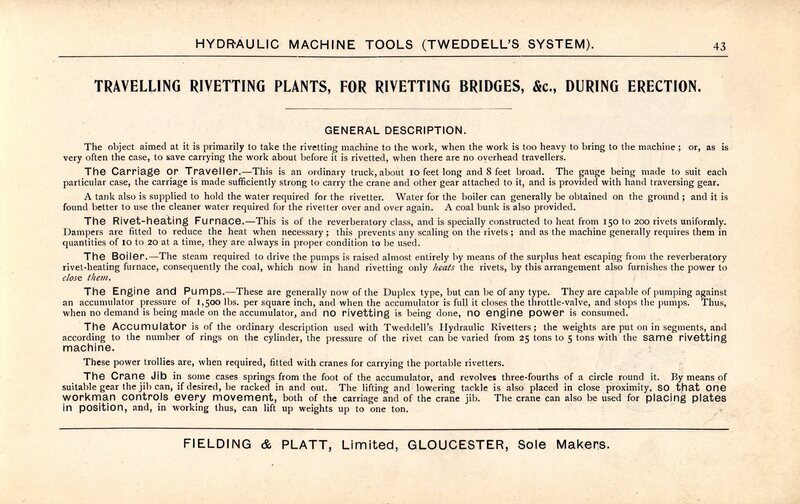 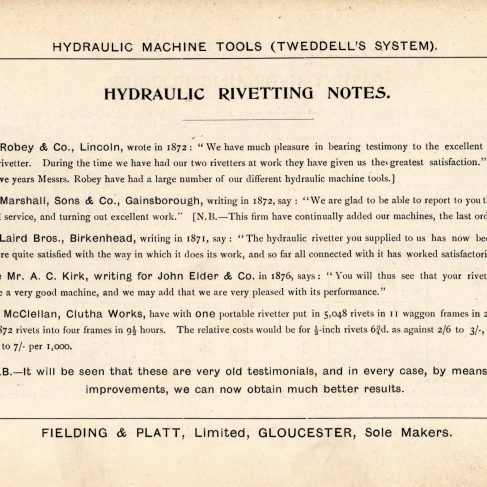 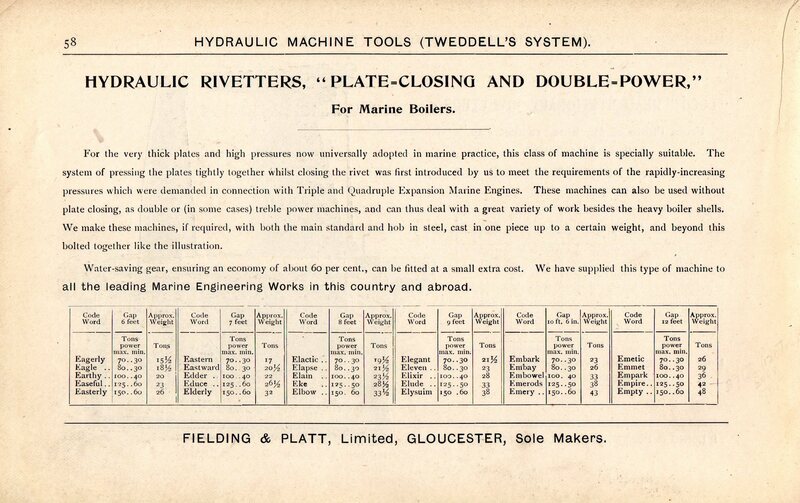 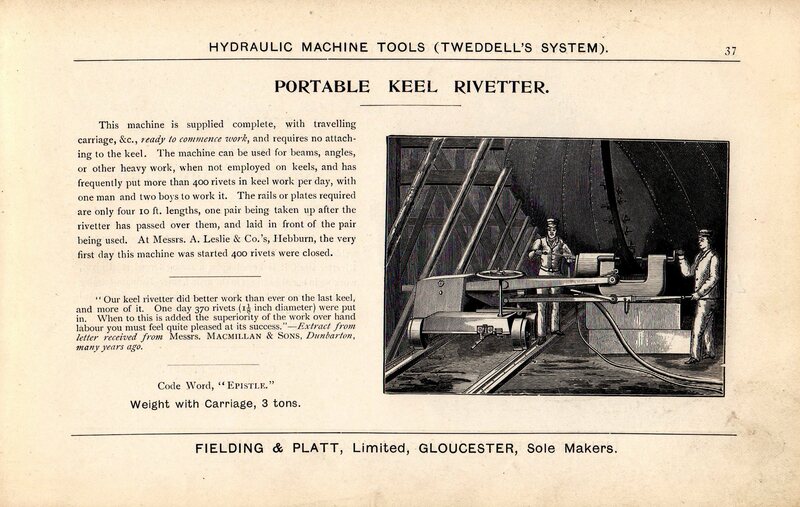 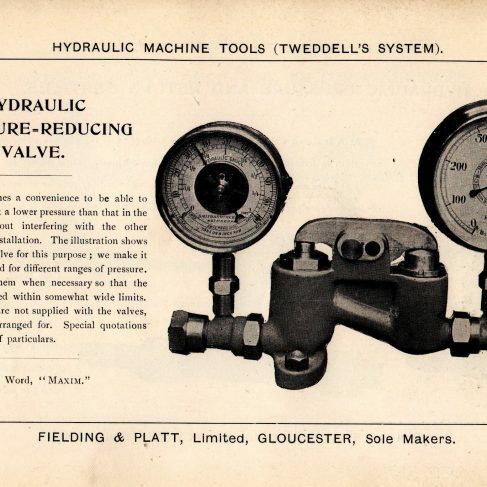 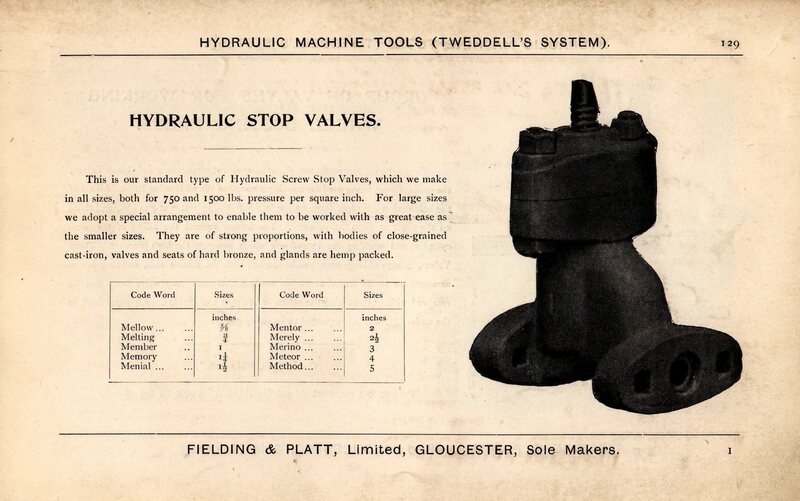 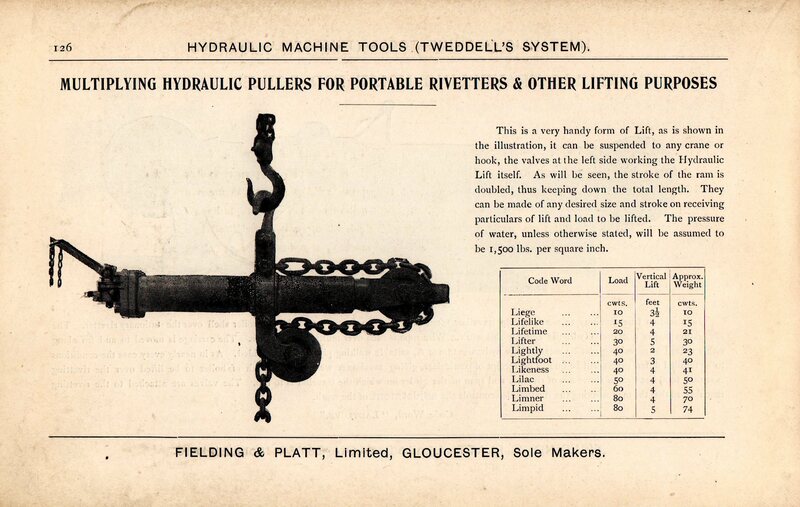 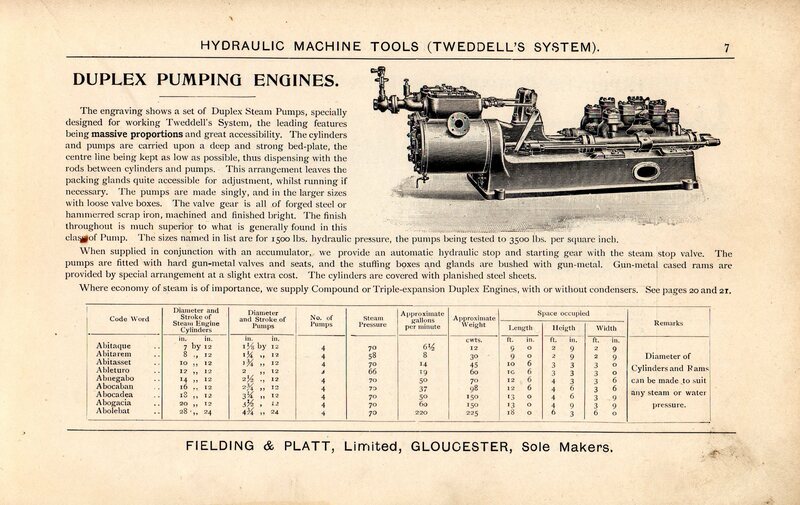 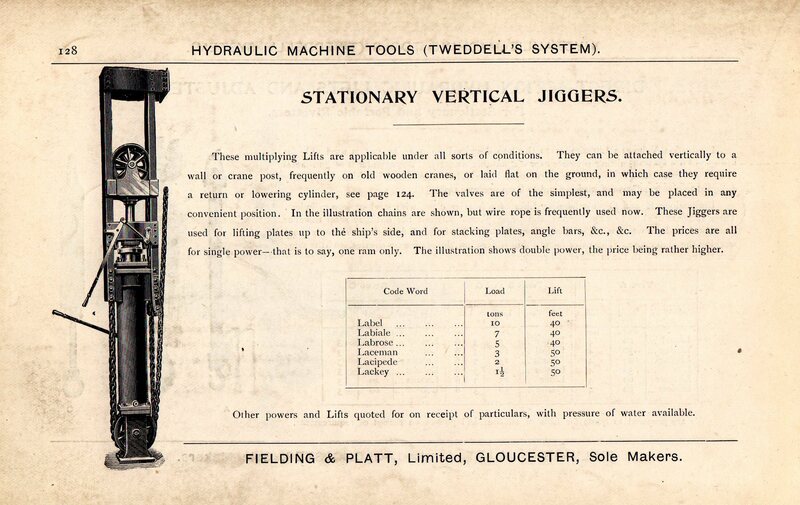 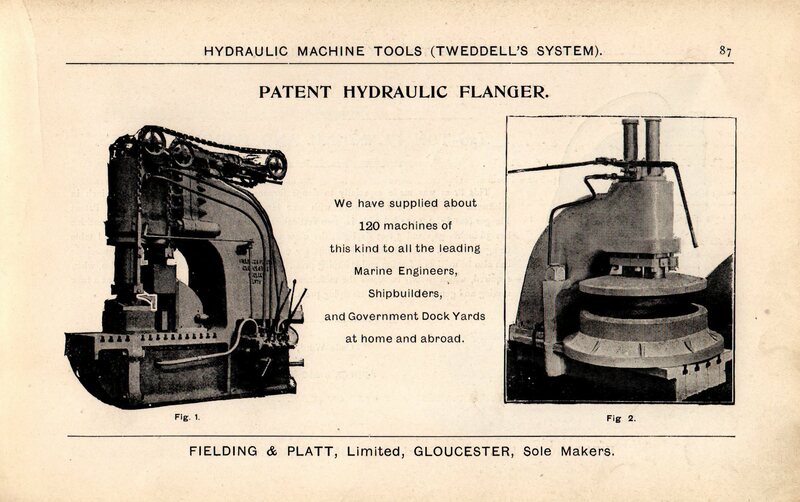 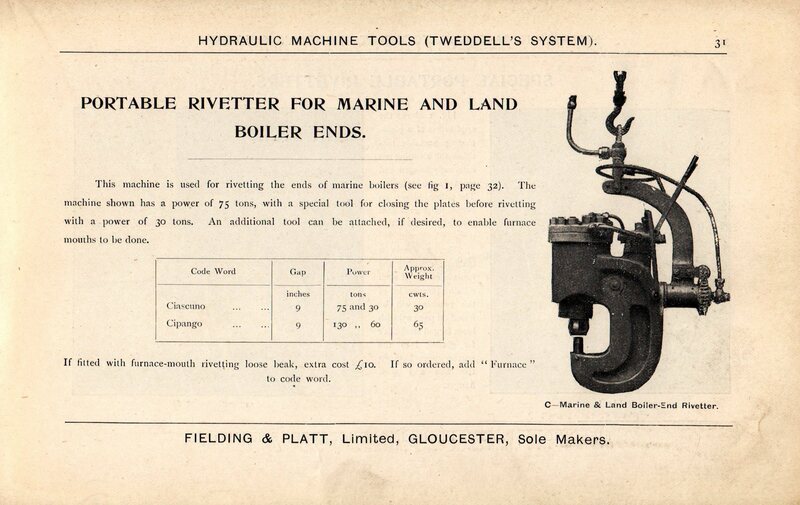 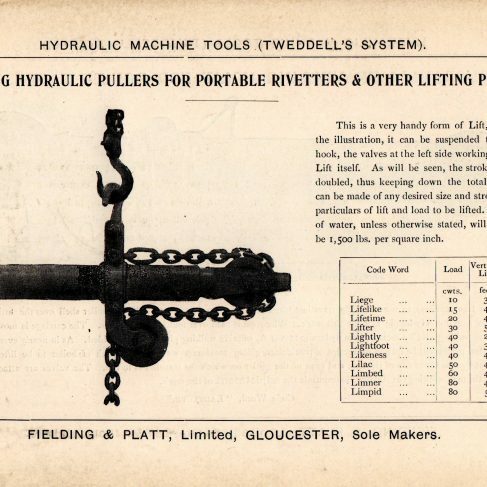 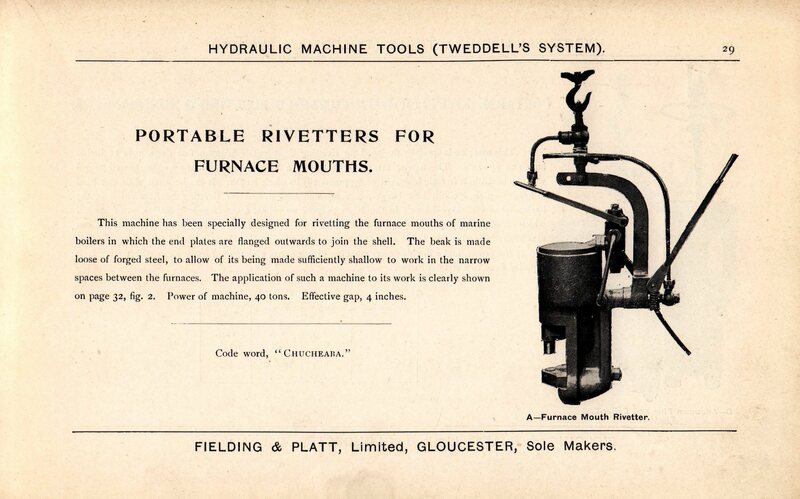 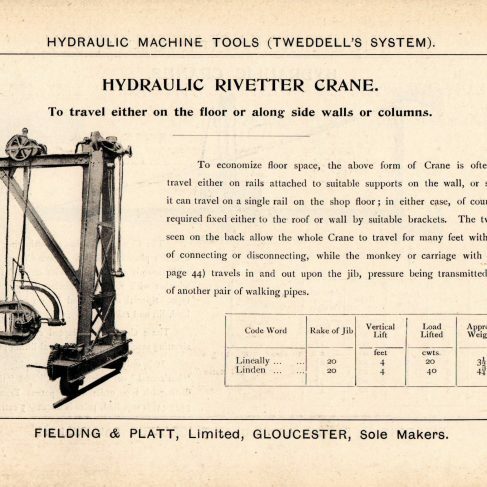 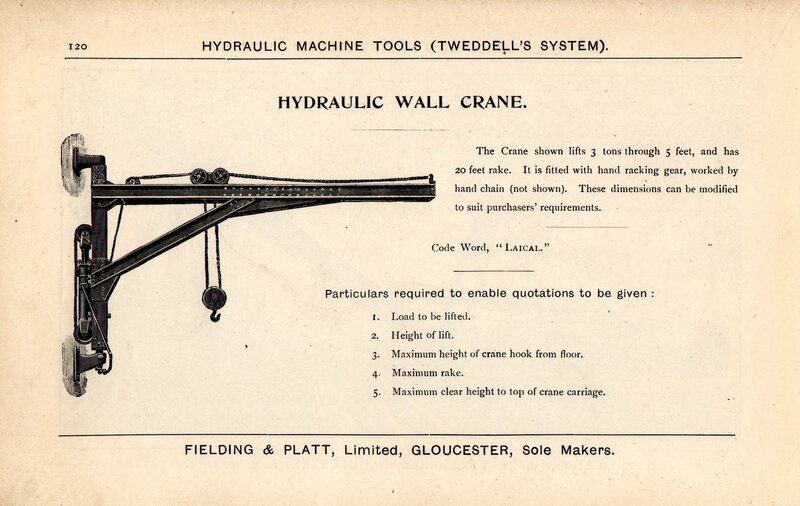 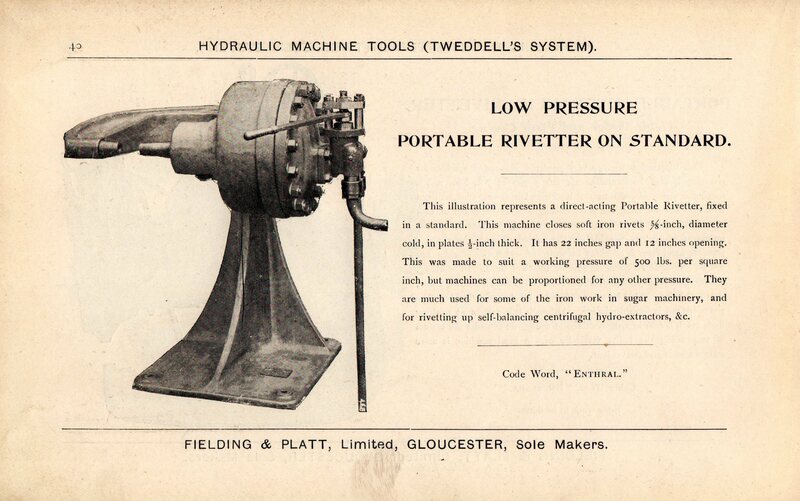 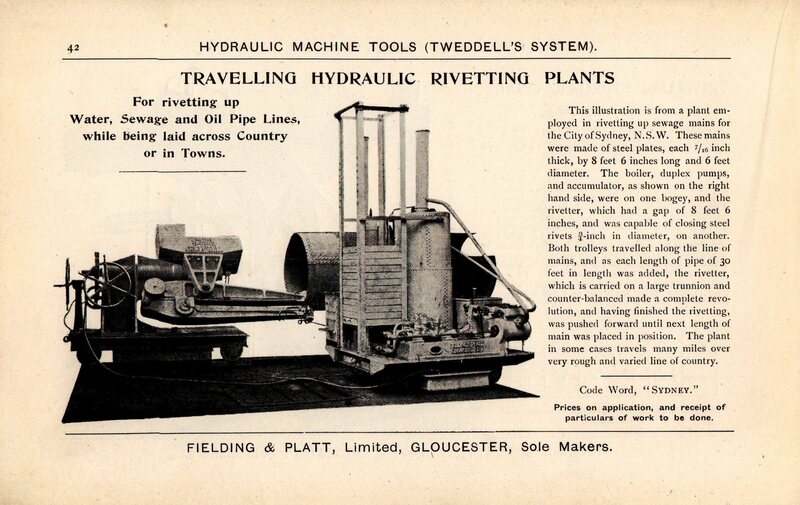 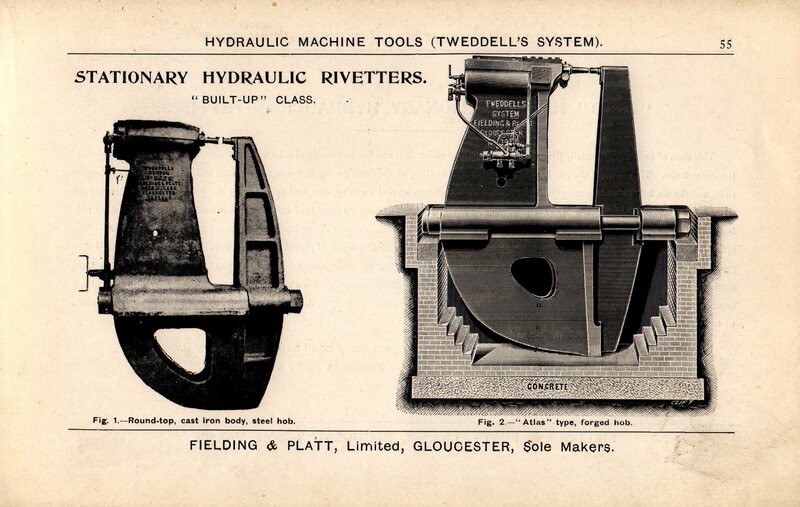 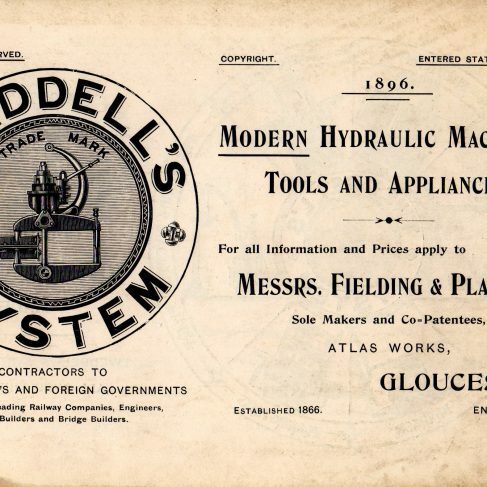 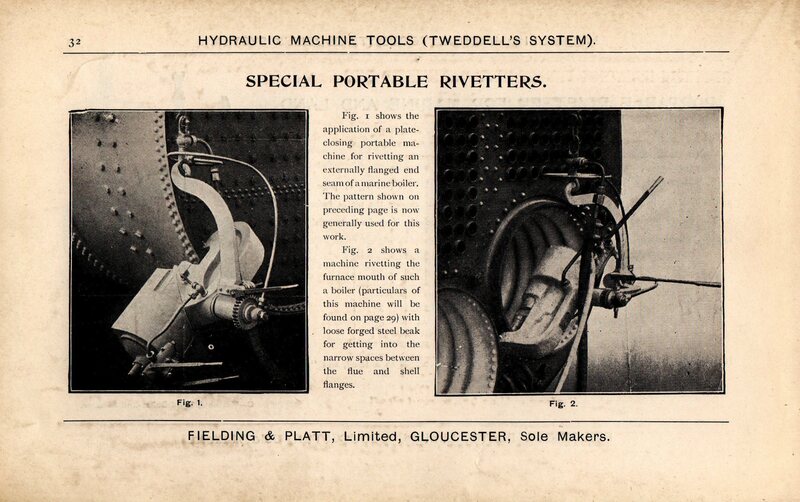 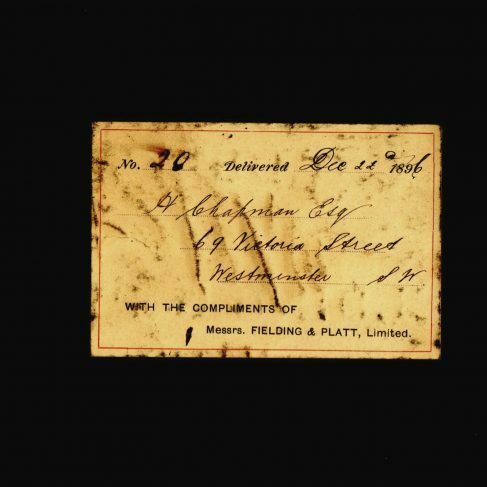 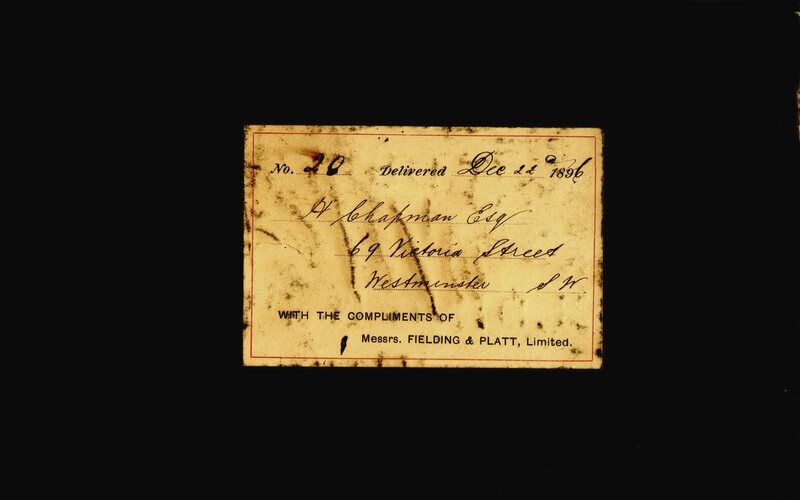 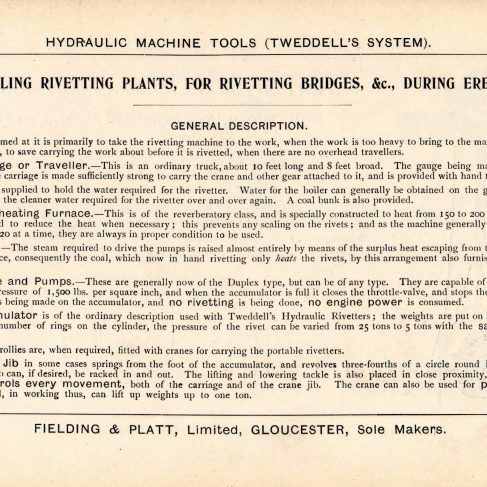 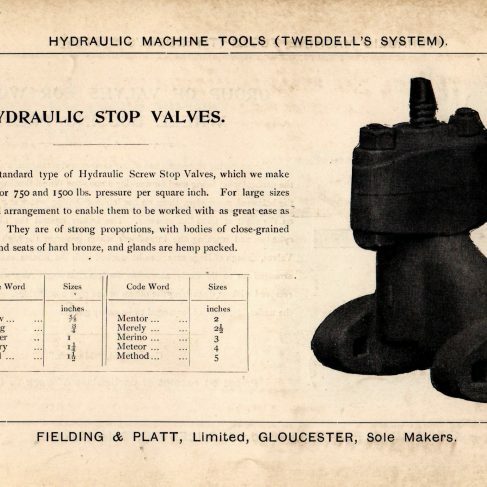 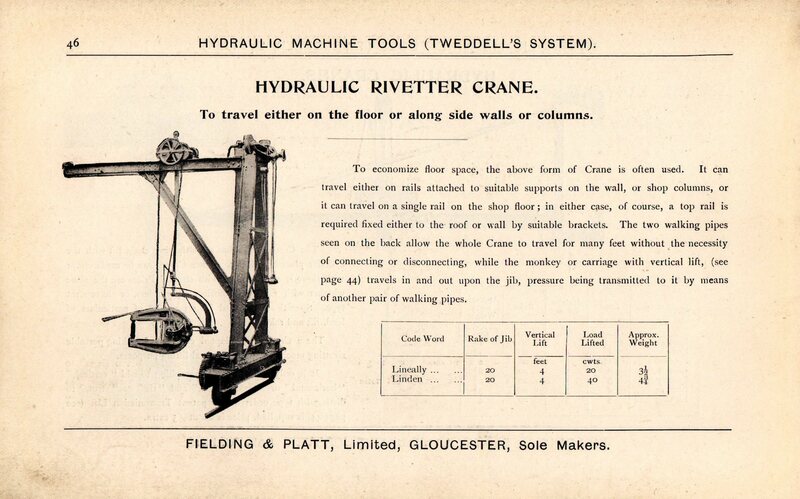 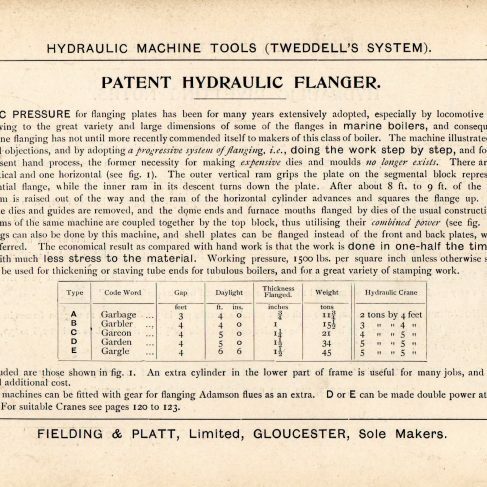 It is from his collection of memorabilia about the Hydraulic Engineering Co. Chester (latterly, Chester Hydraulics). 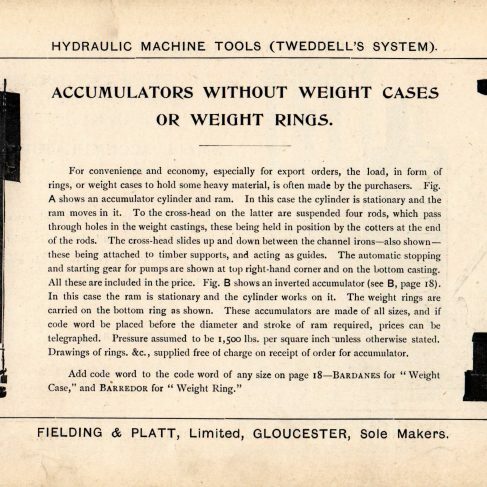 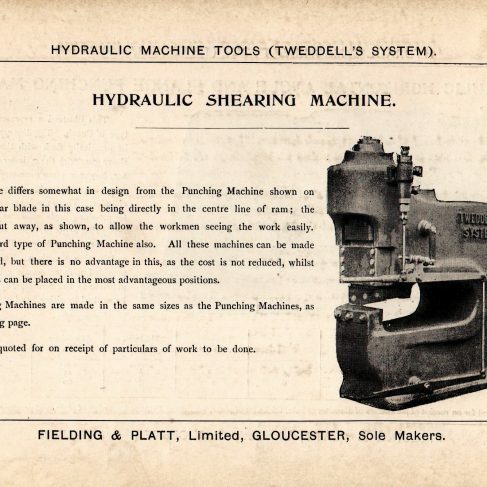 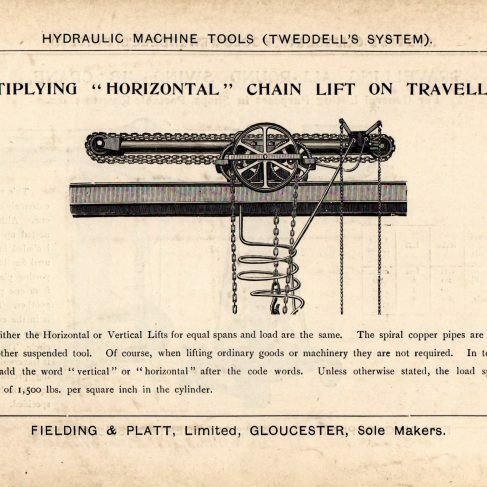 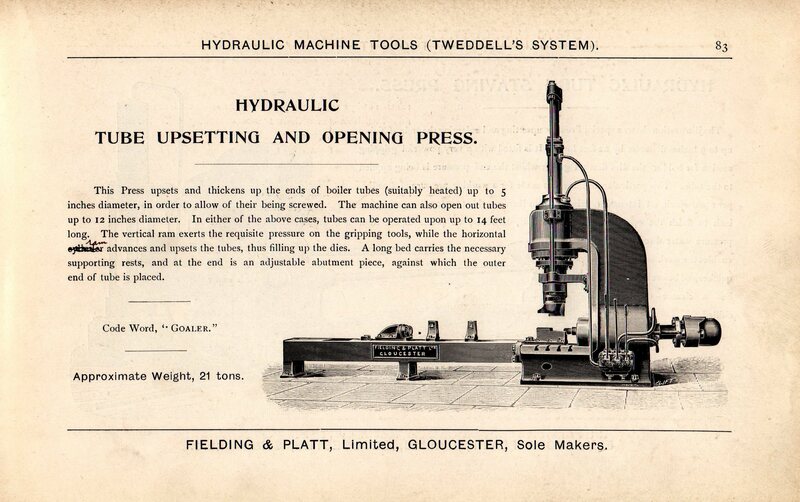 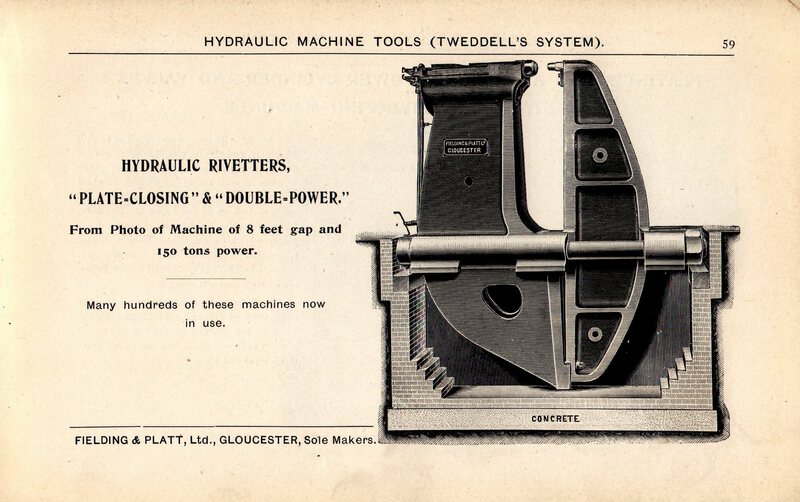 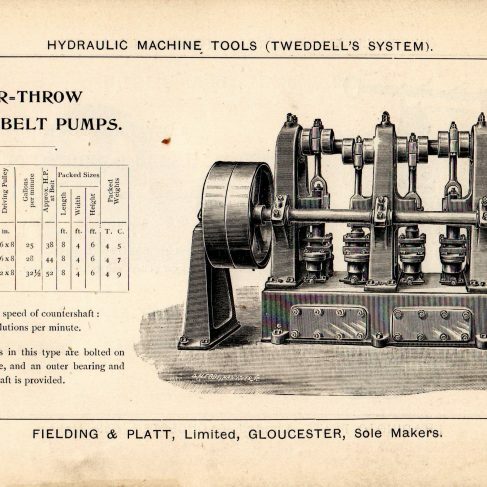 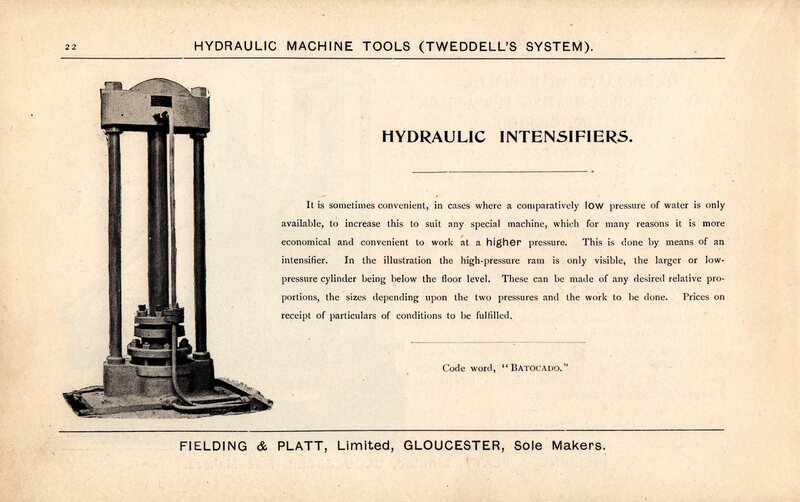 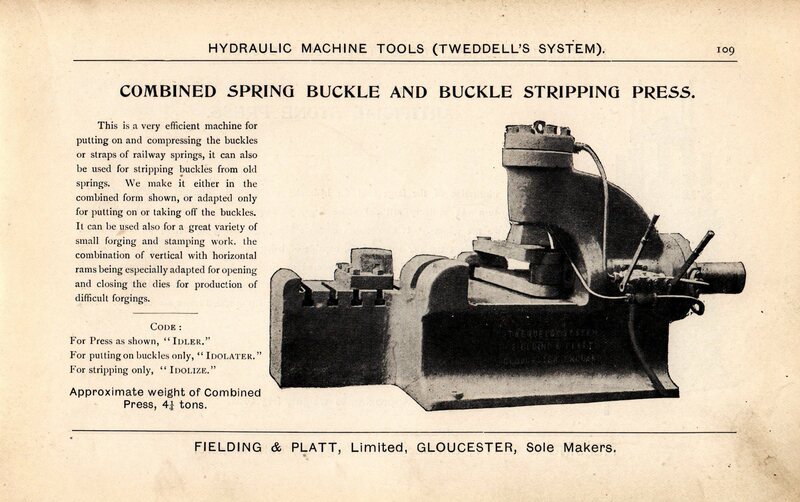 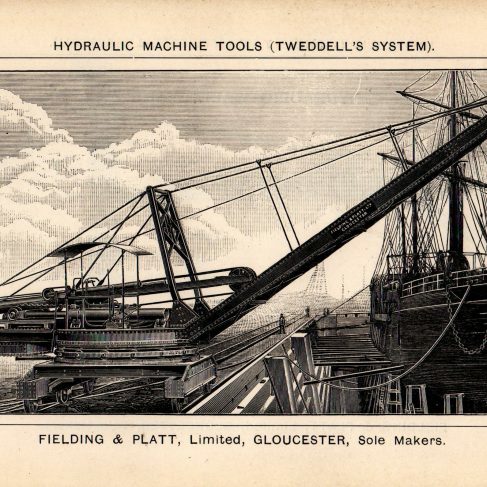 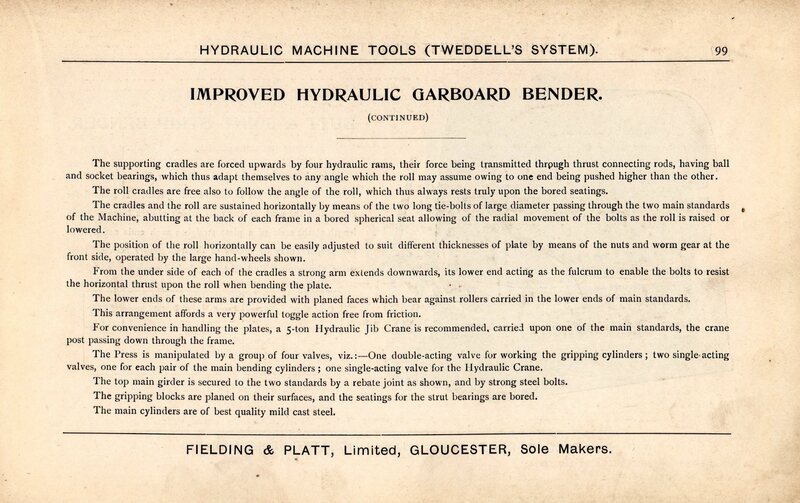 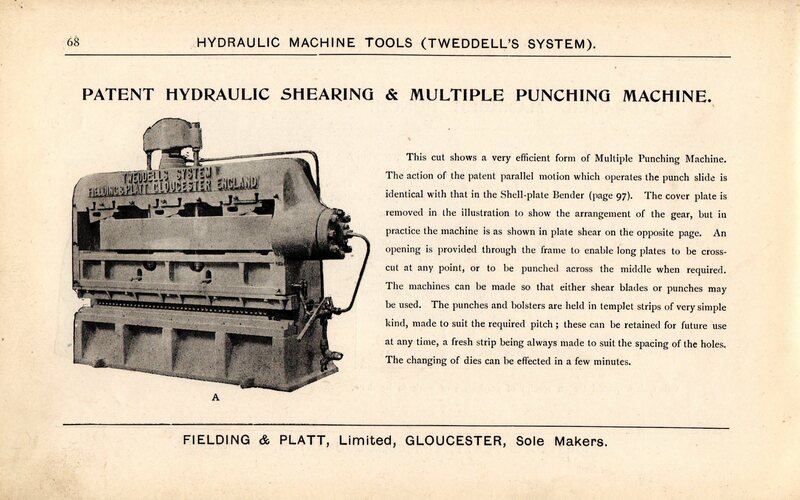 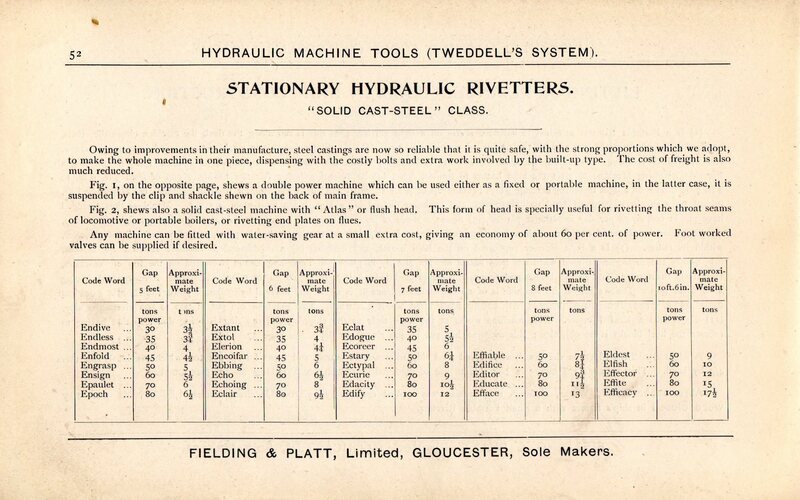 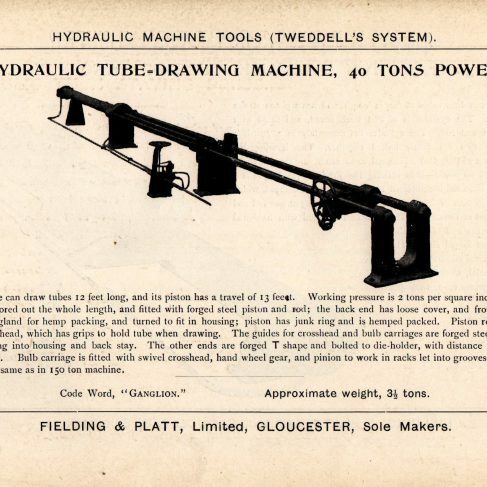 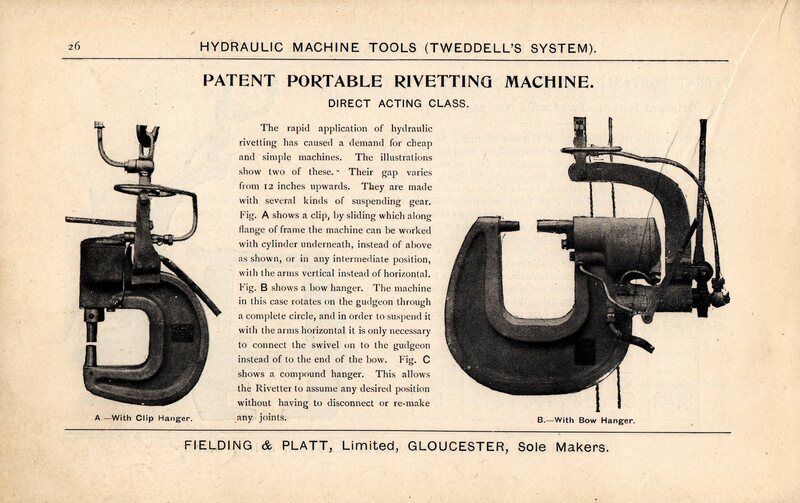 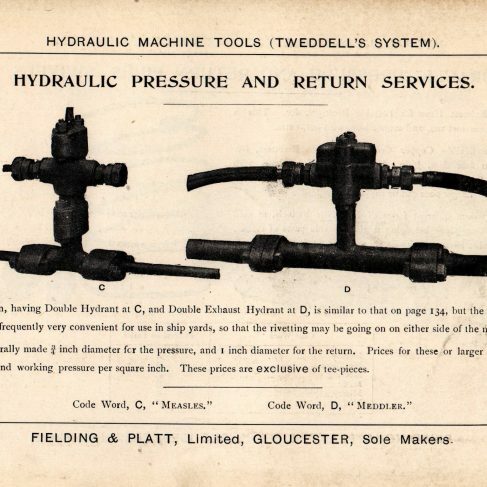 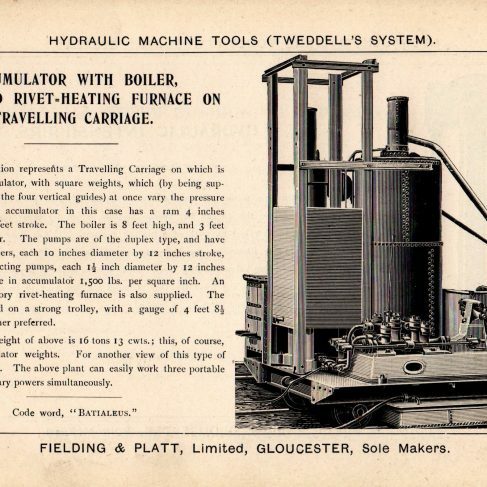 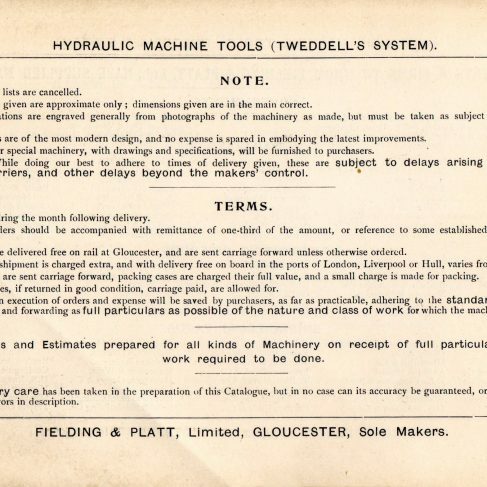 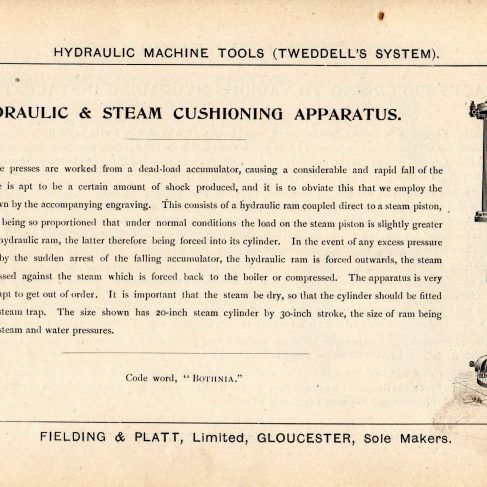 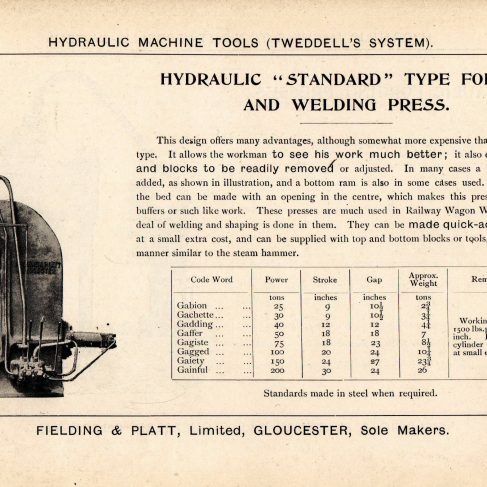 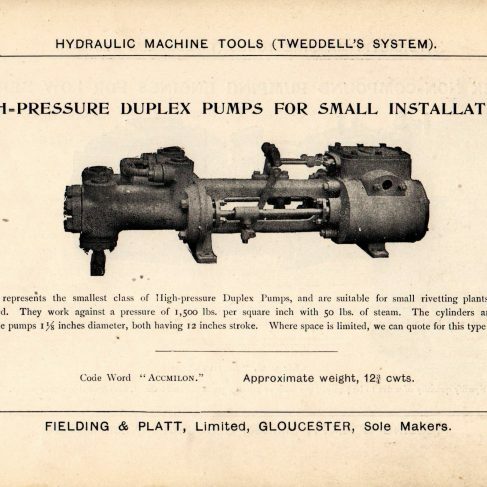 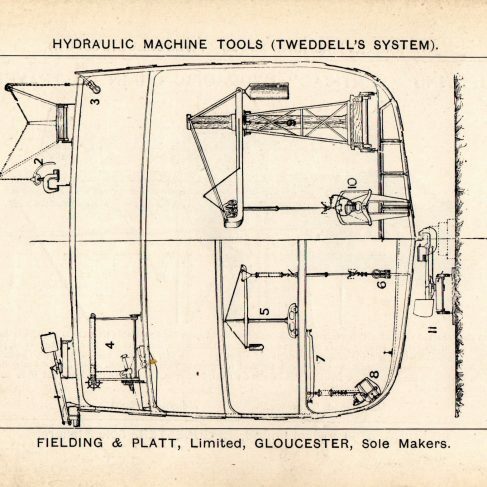 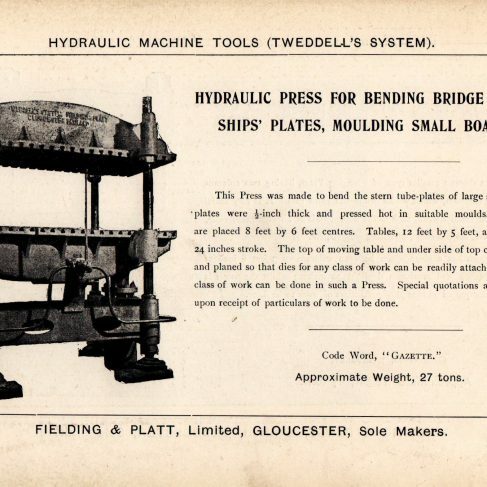 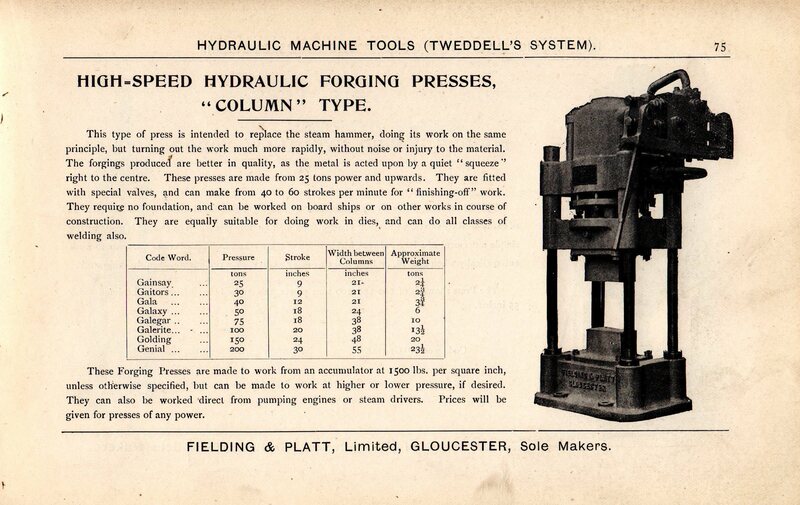 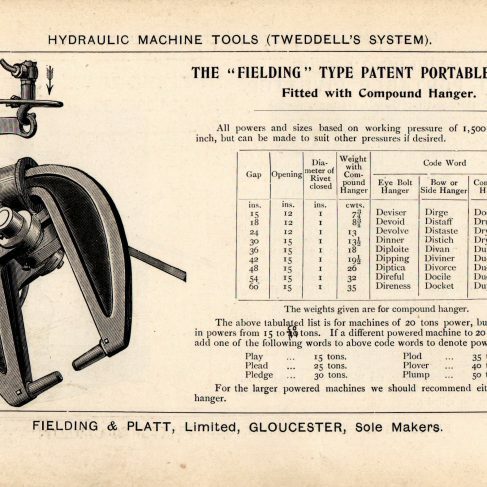 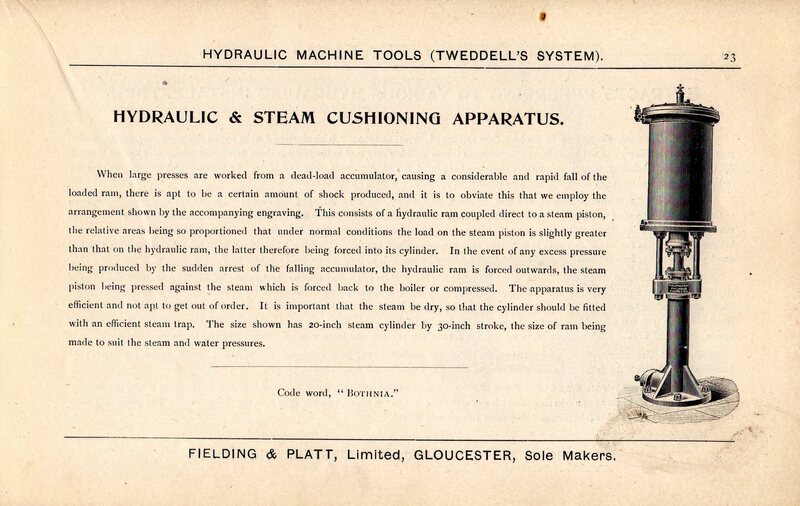 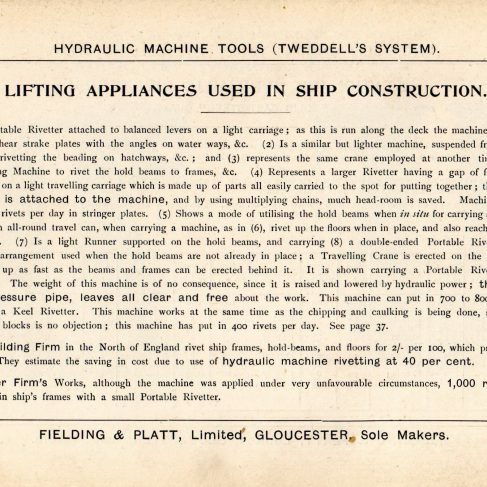 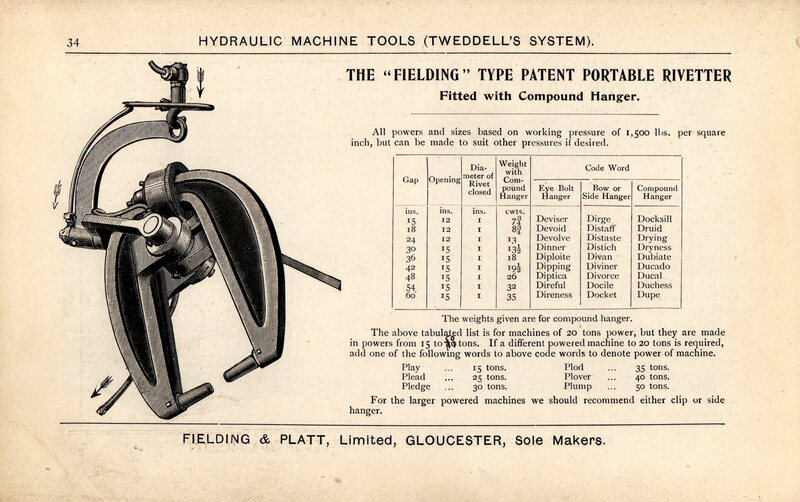 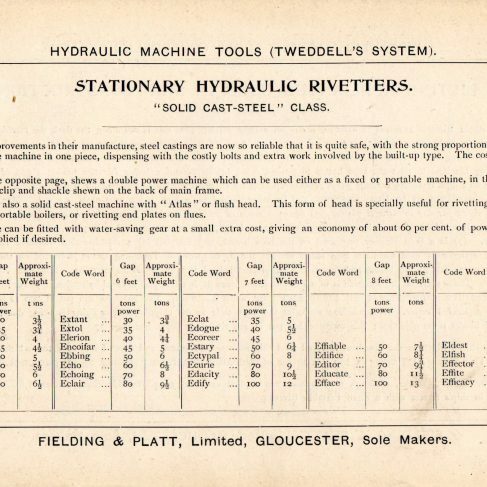 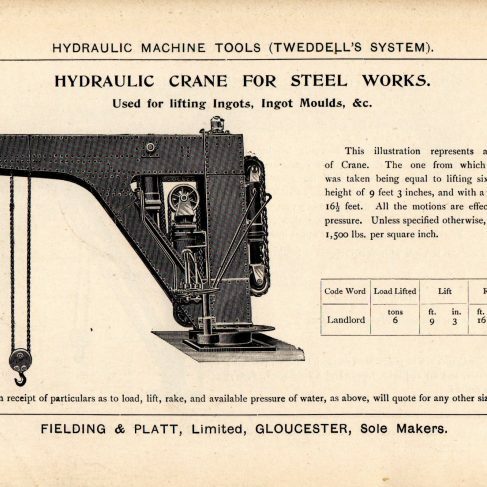 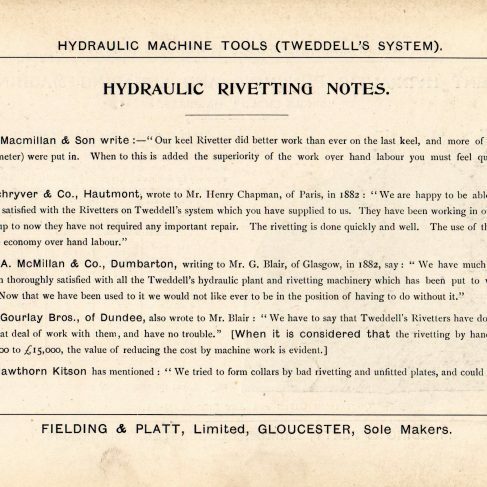 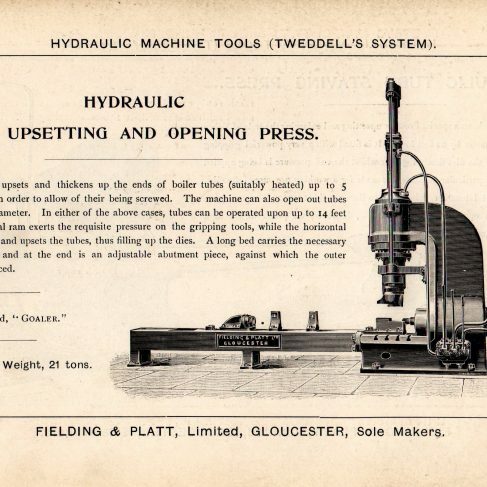 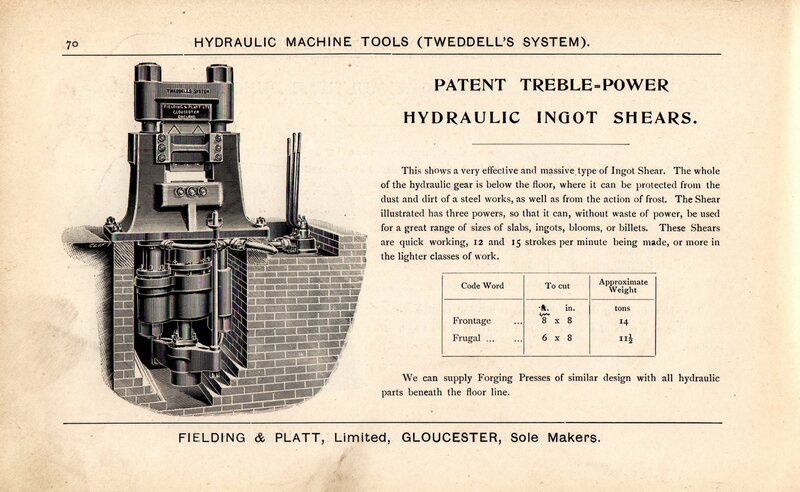 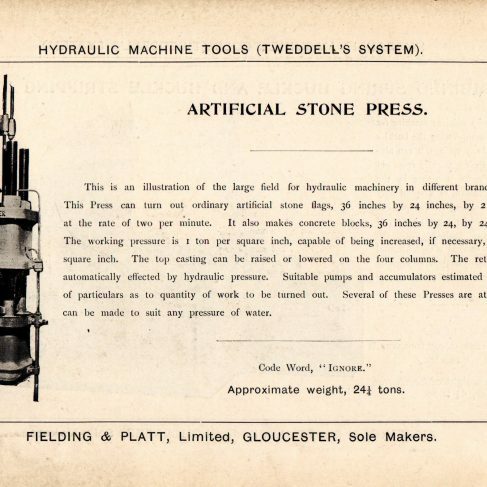 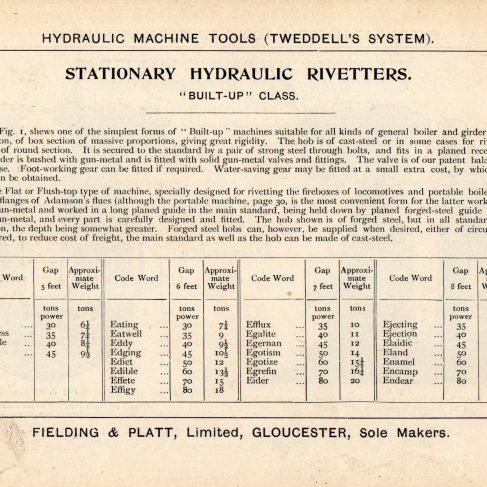 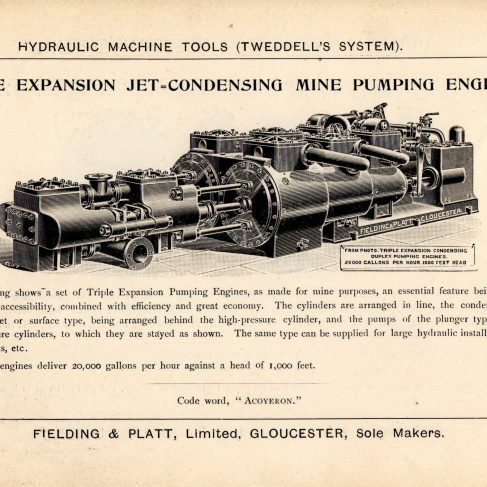 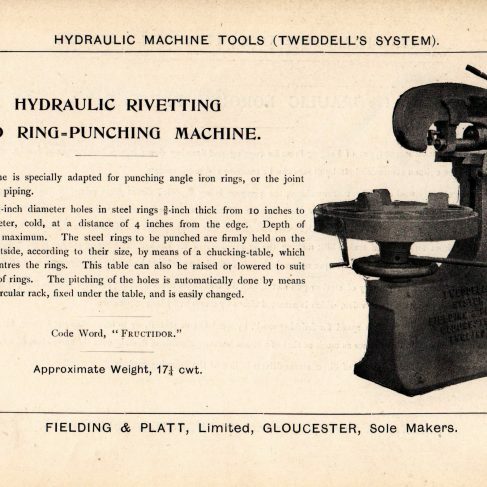 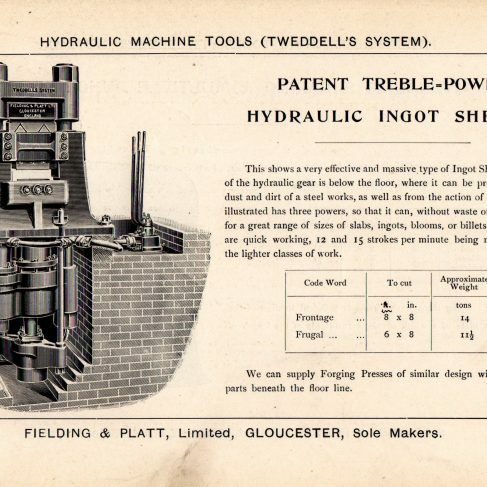 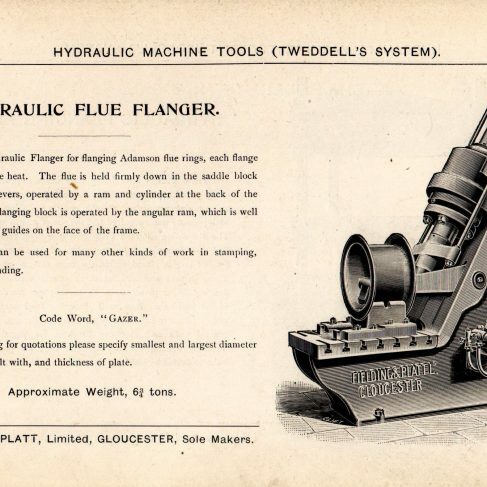 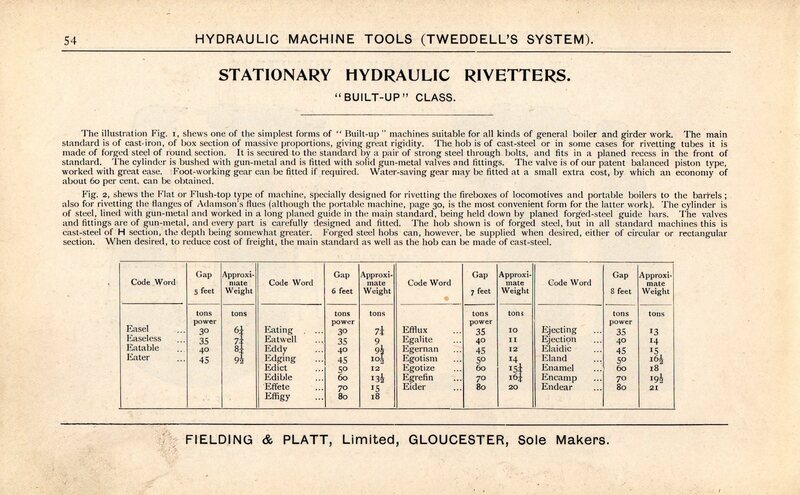 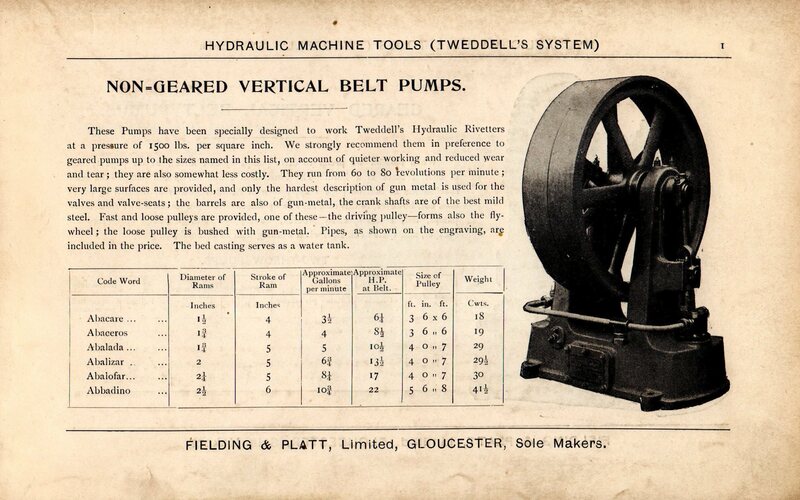 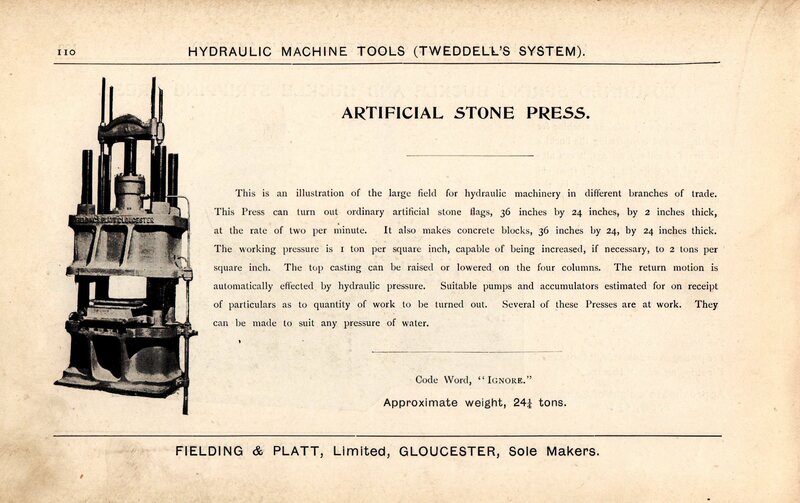 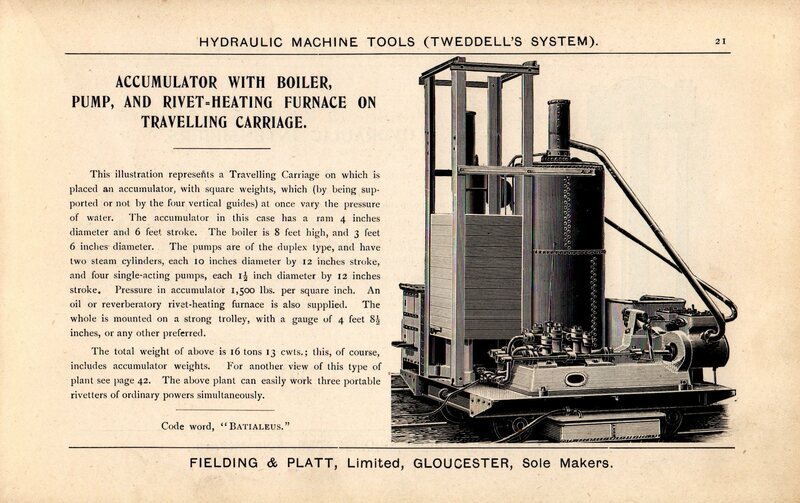 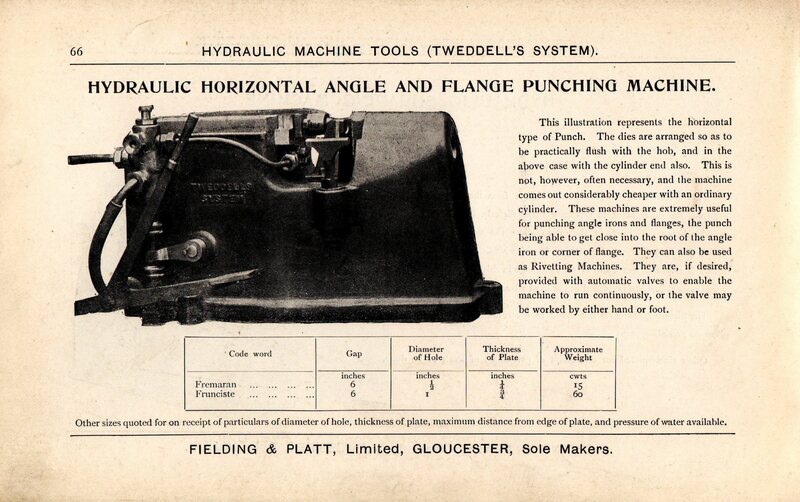 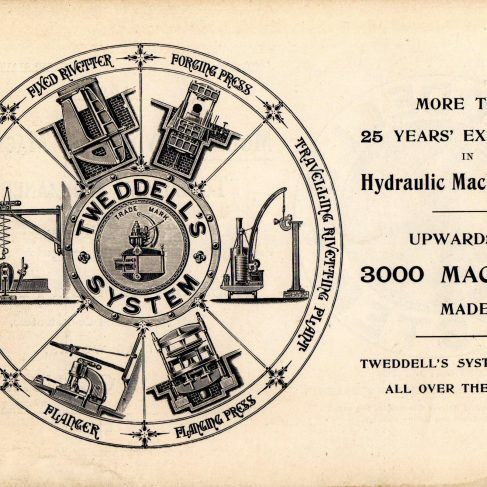 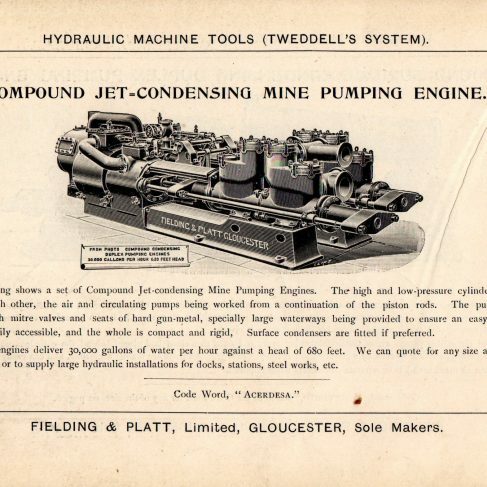 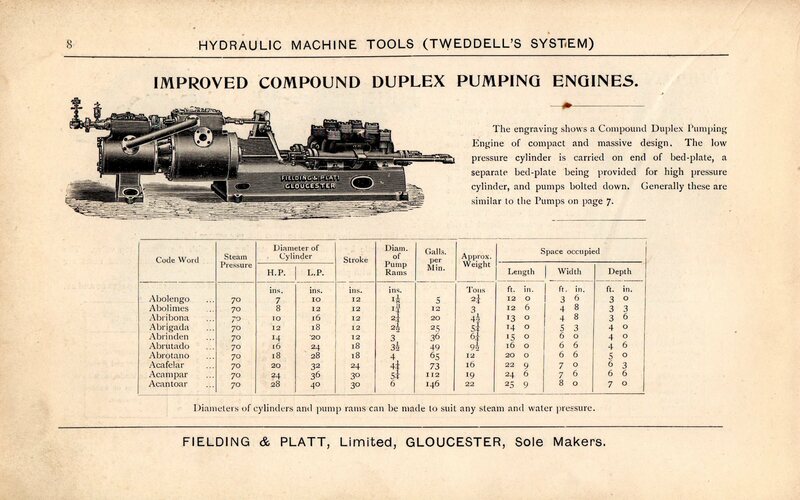 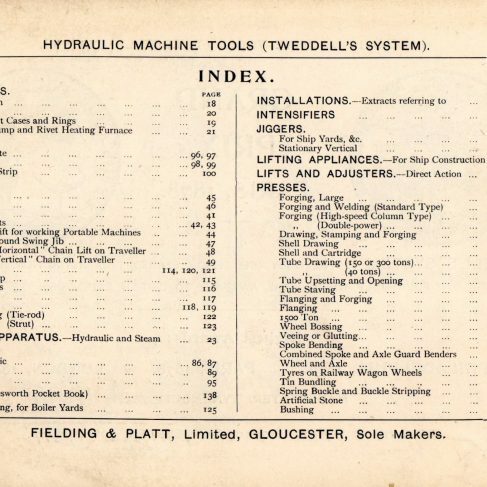 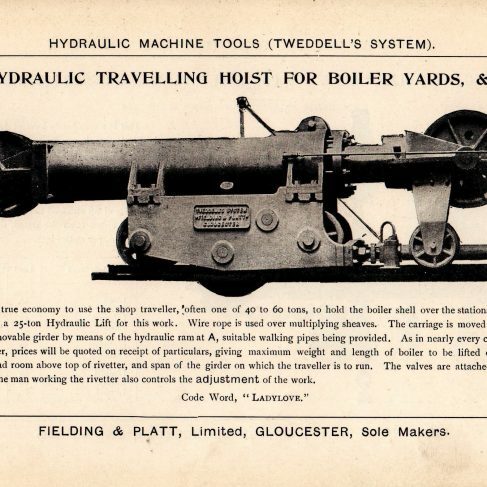 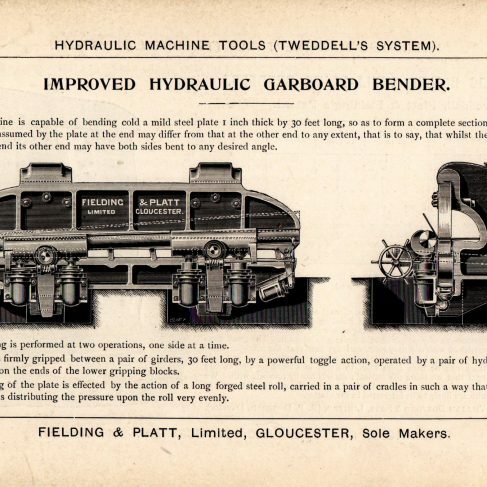 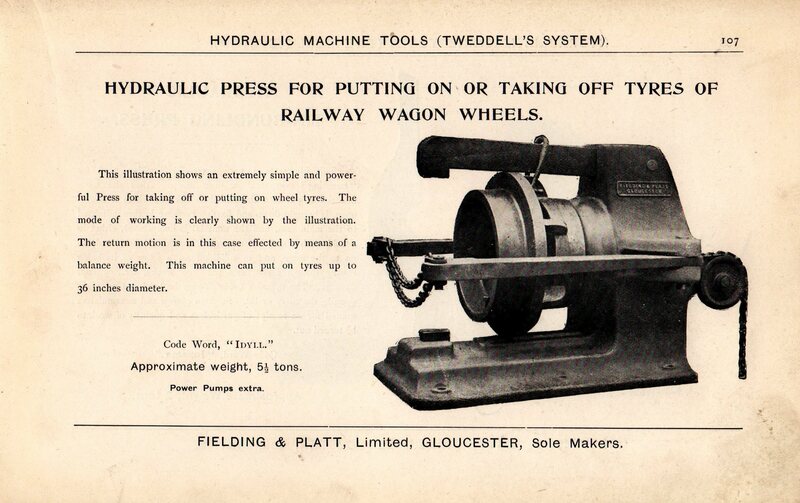 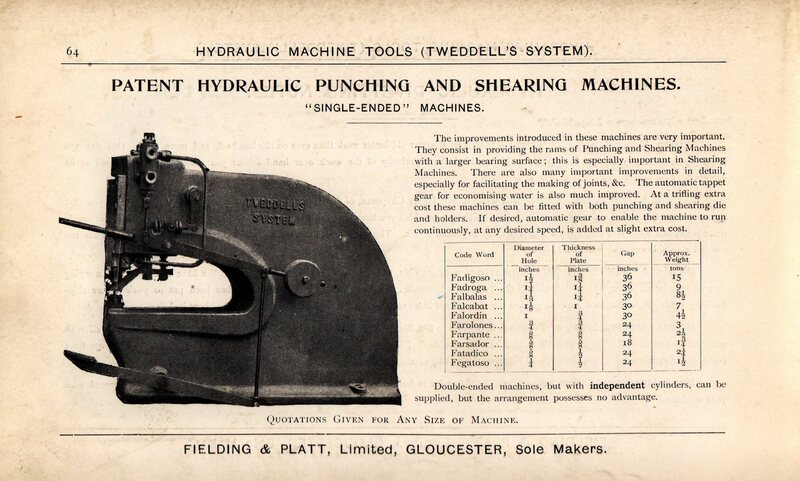 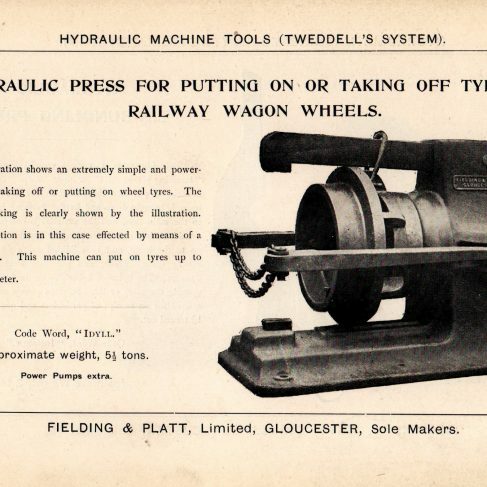 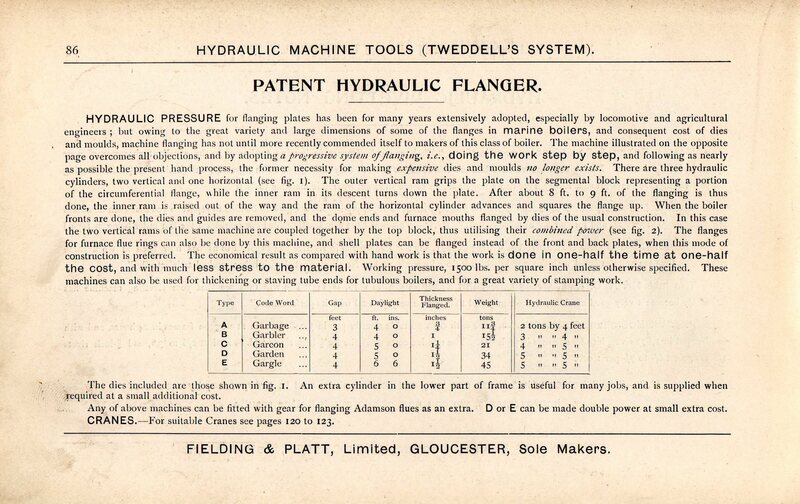 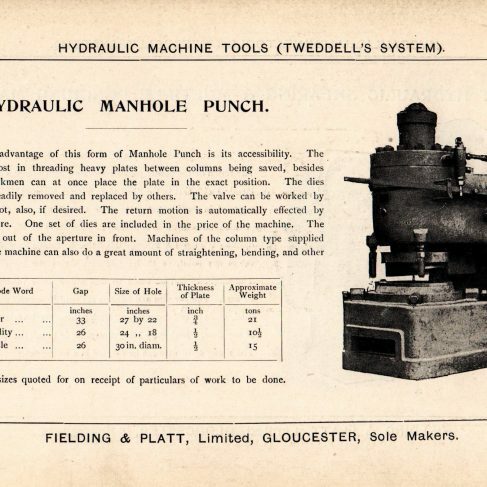 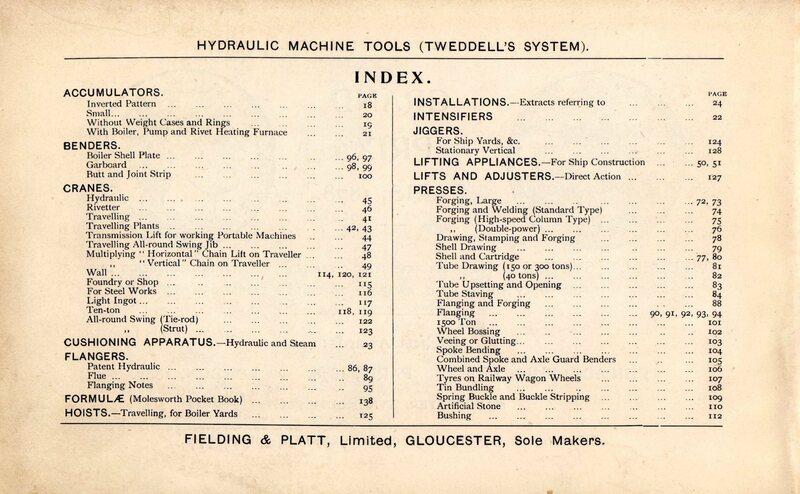 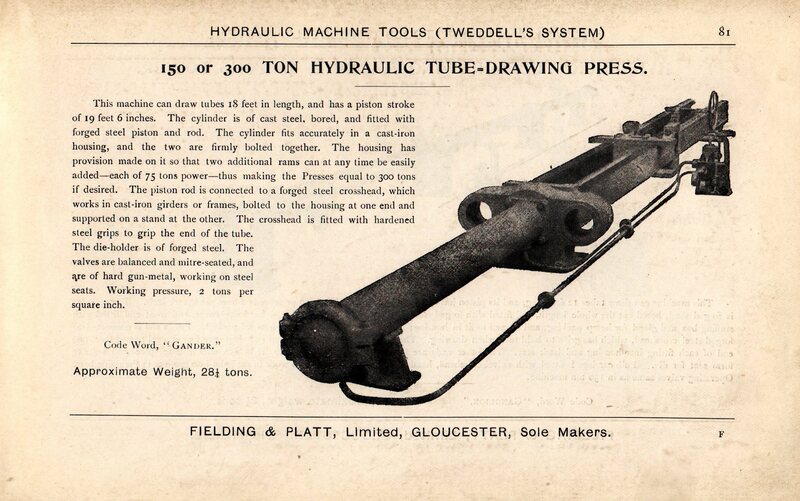 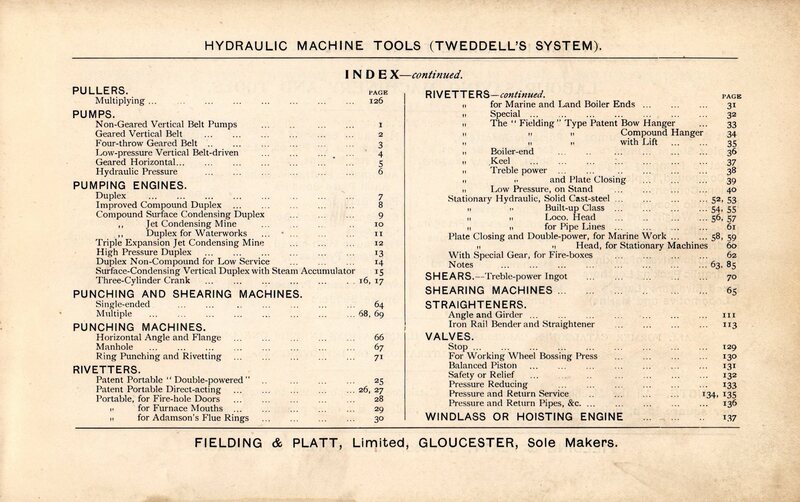 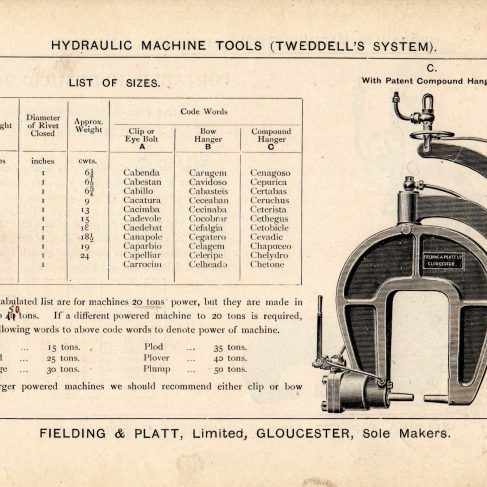 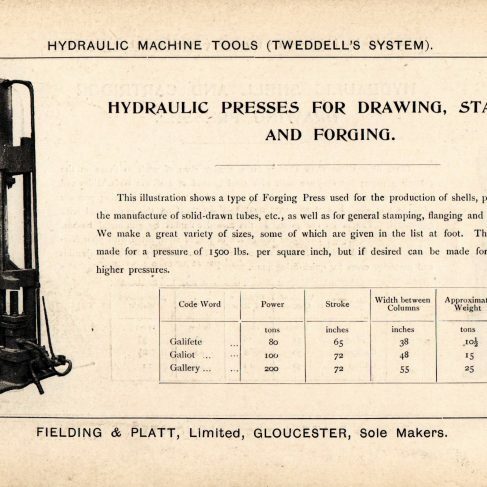 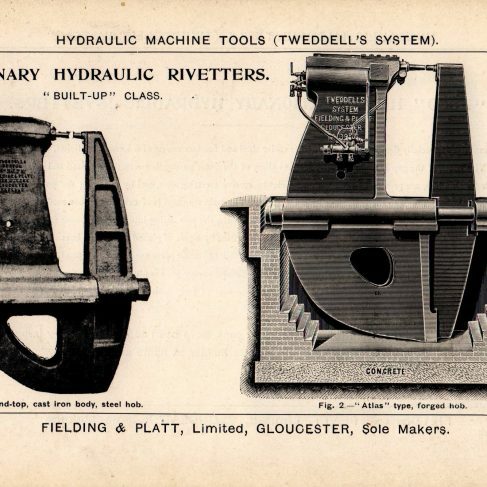 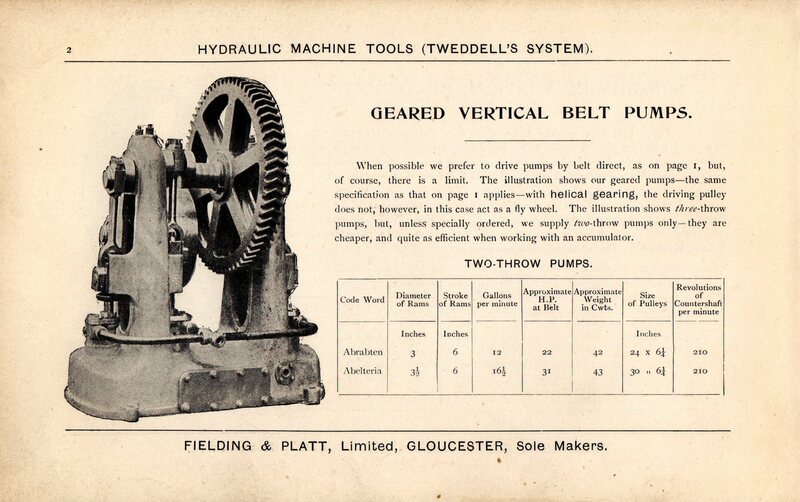 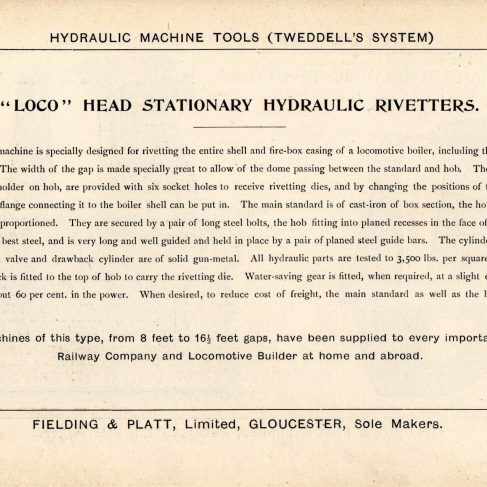 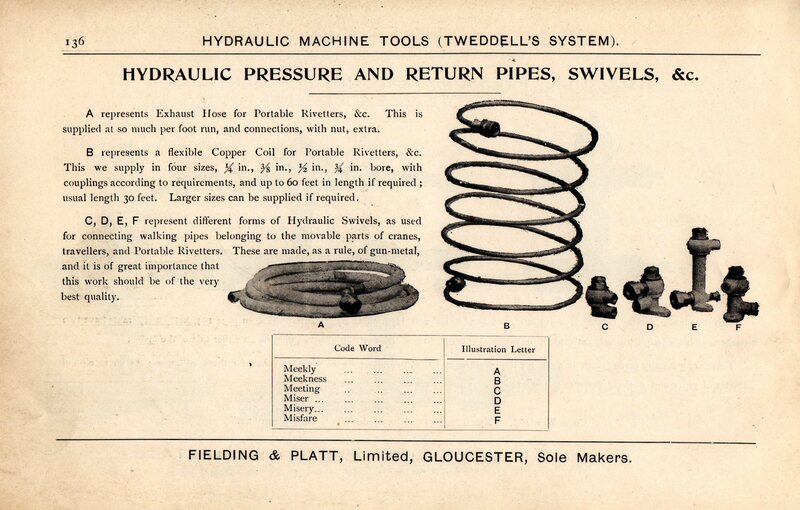 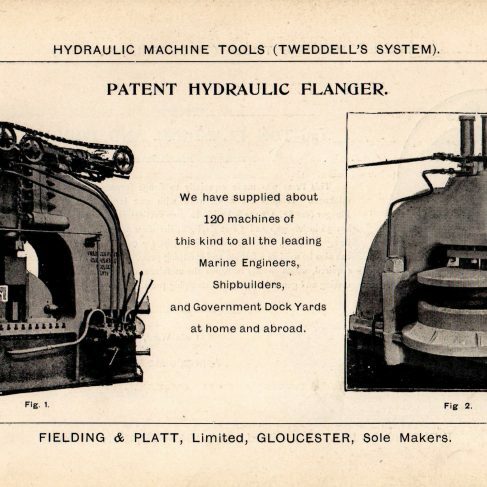 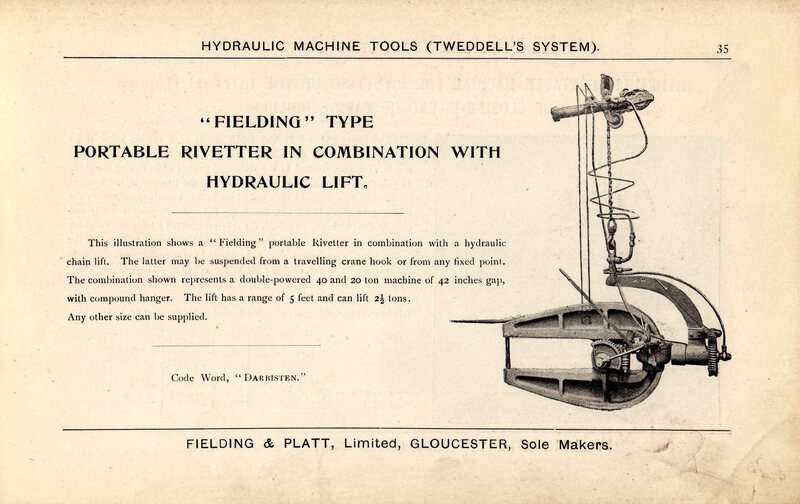 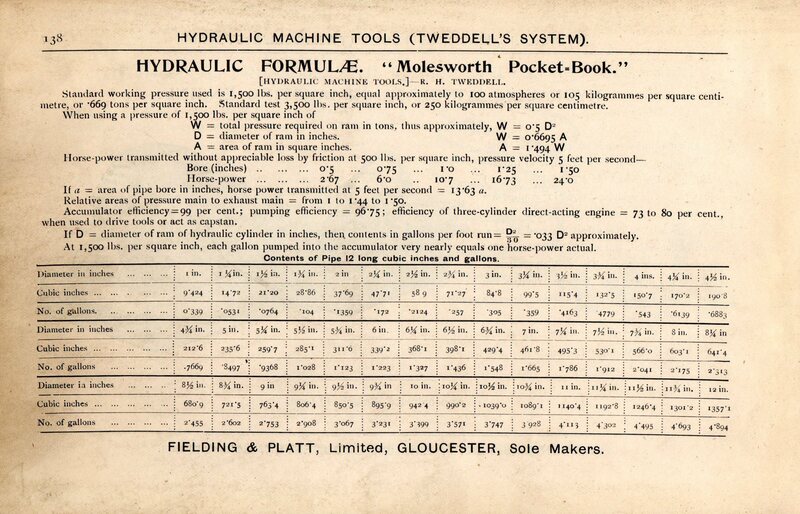 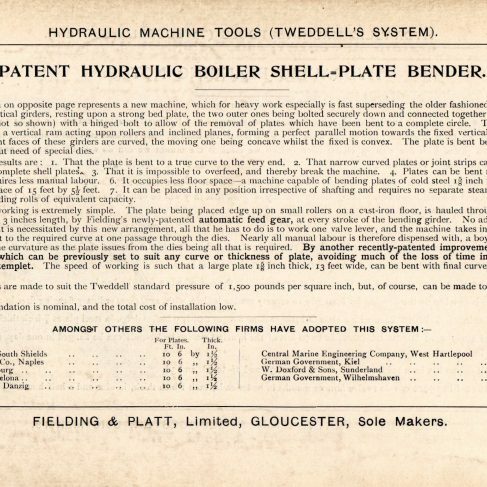 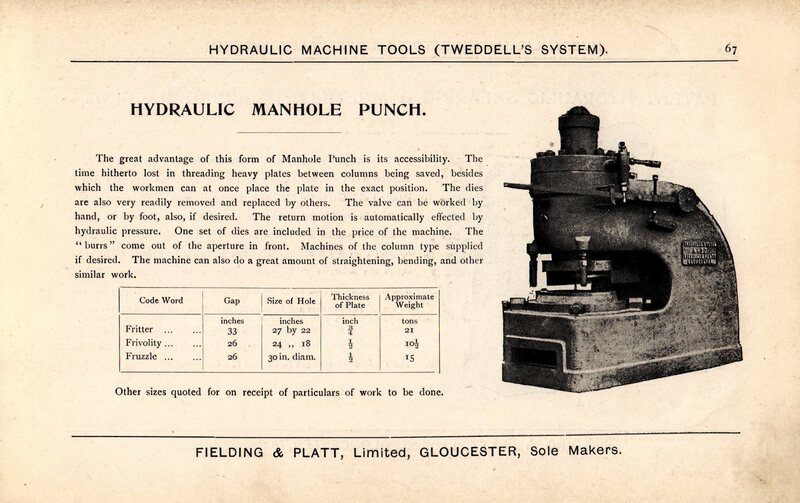 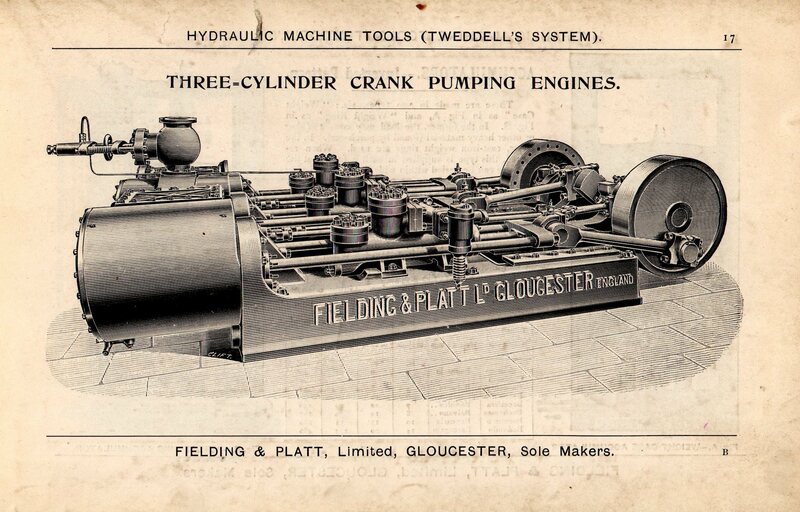 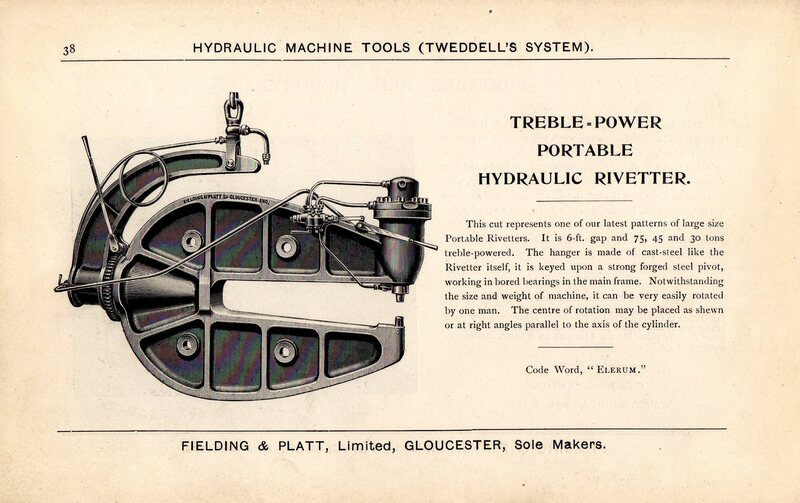 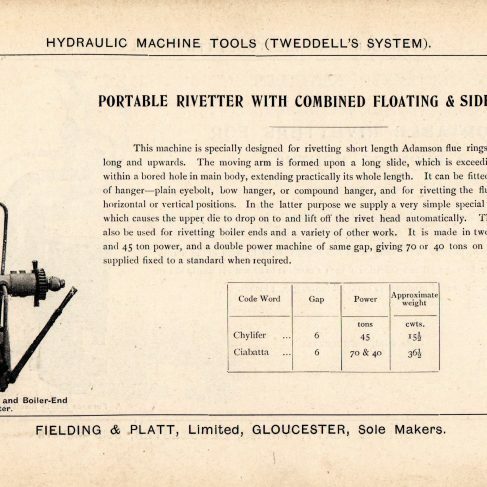 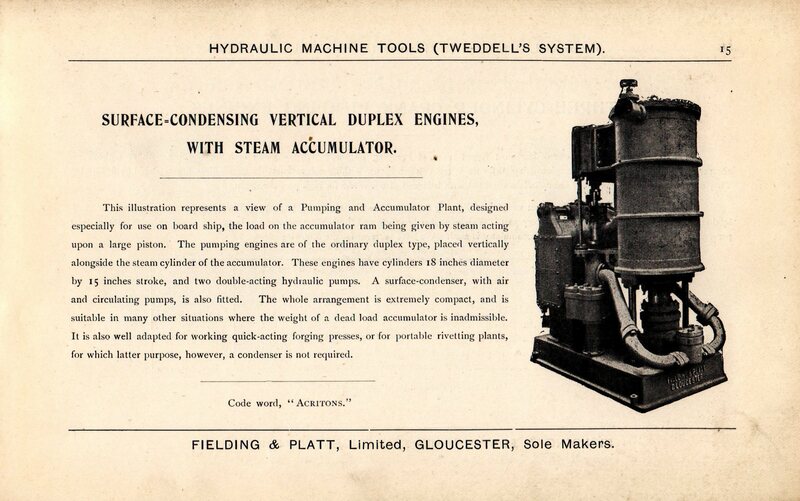 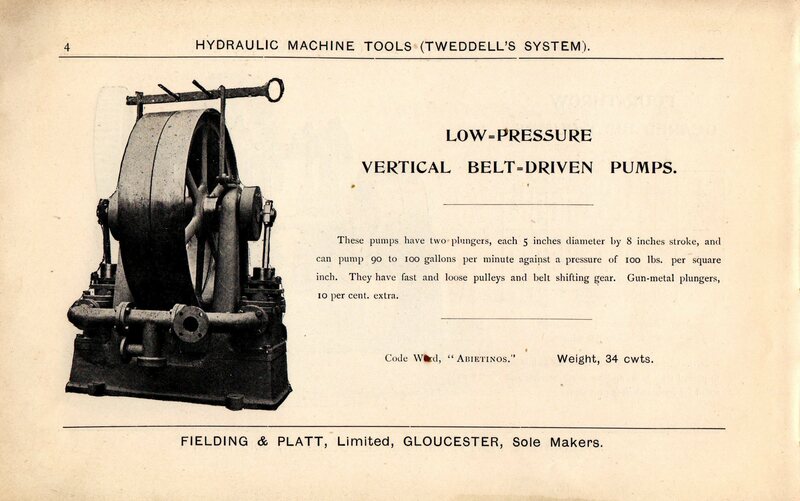 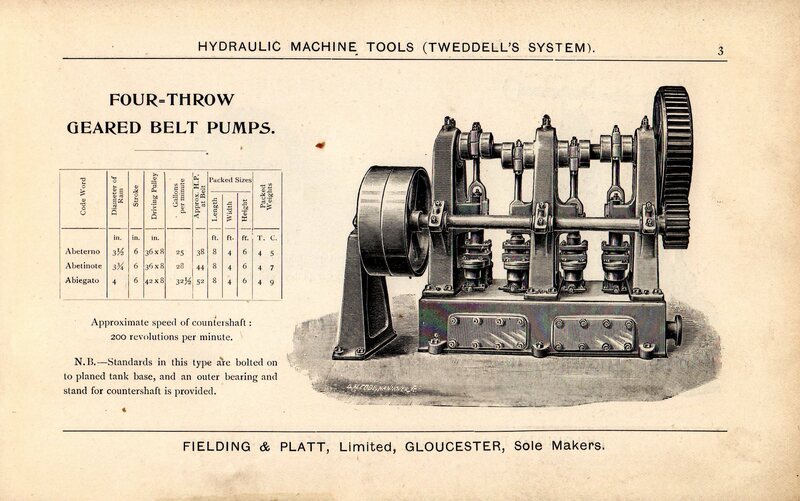 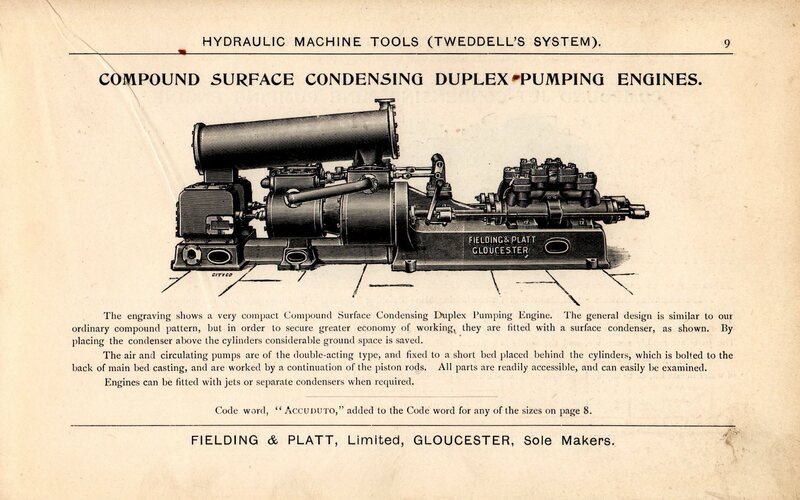 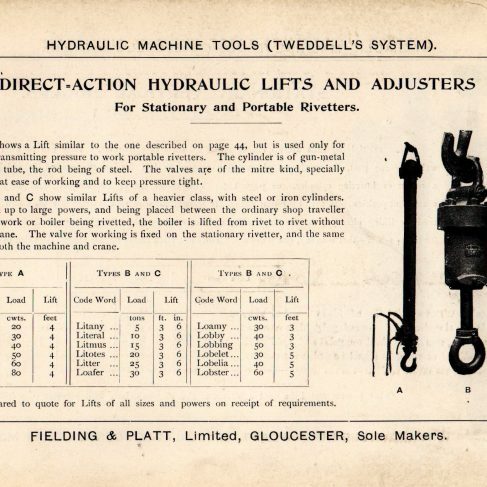 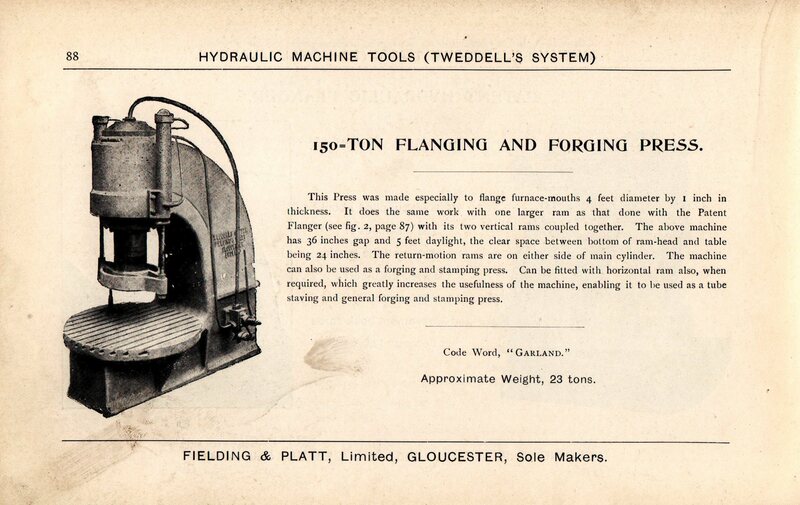 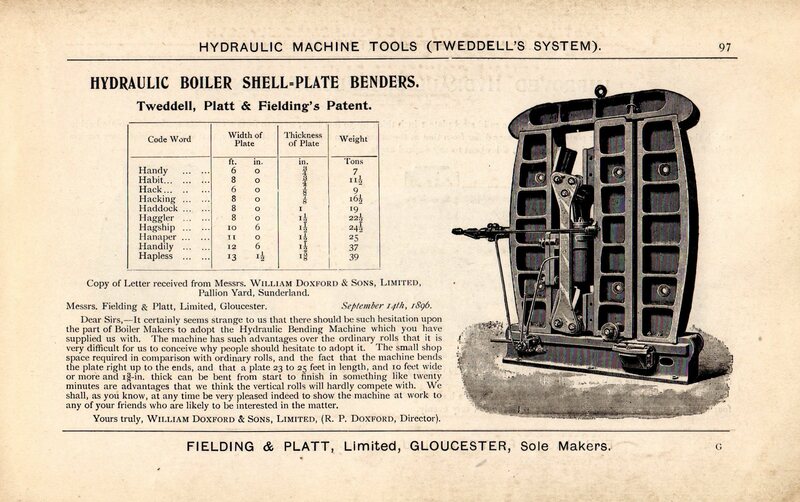 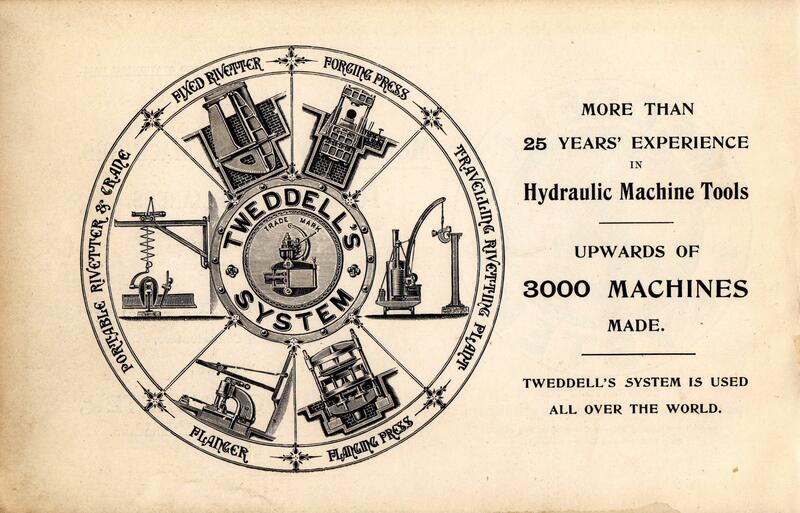 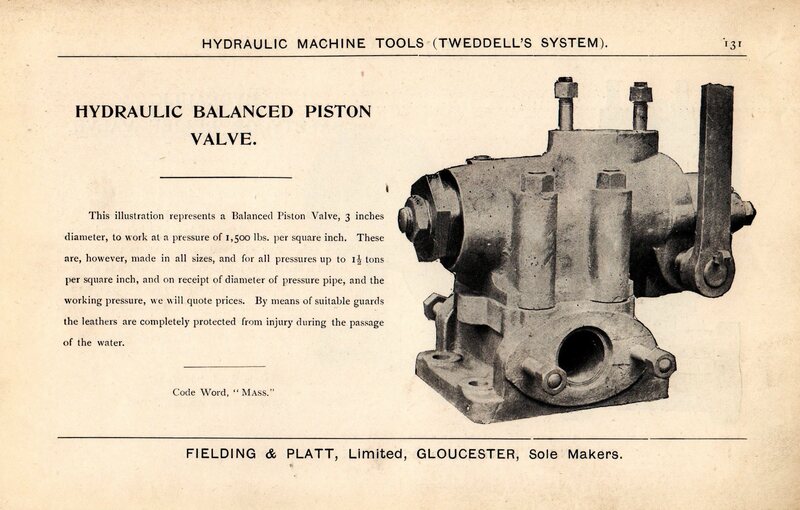 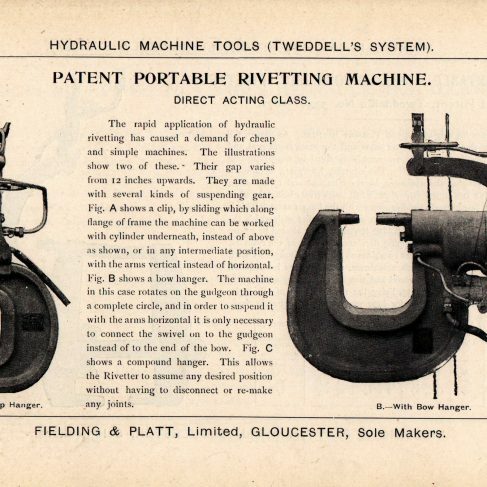 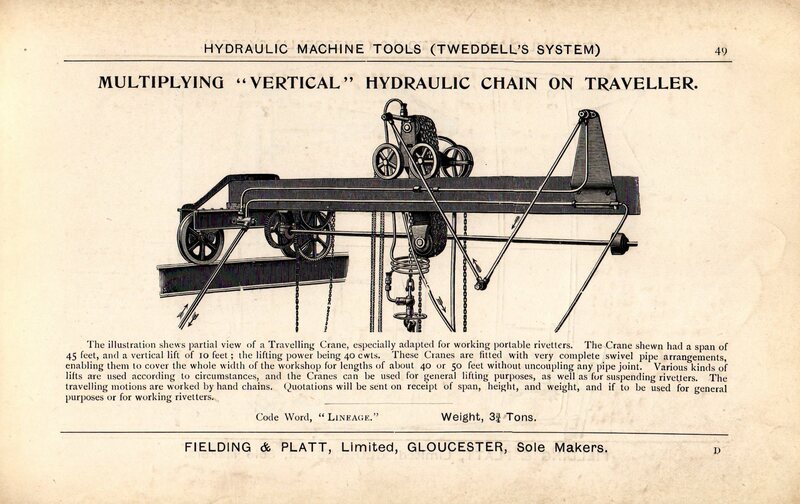 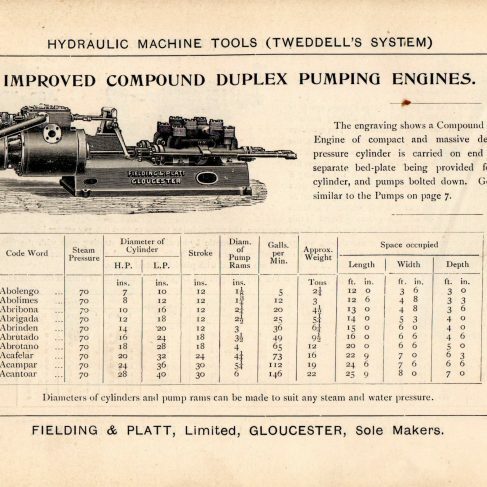 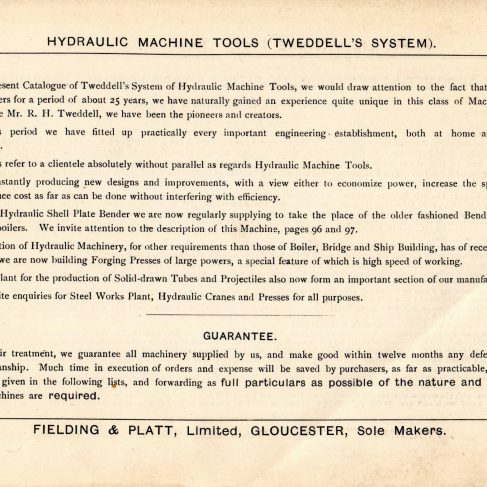 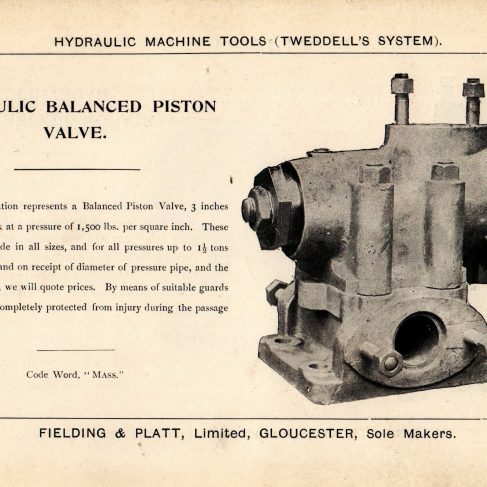 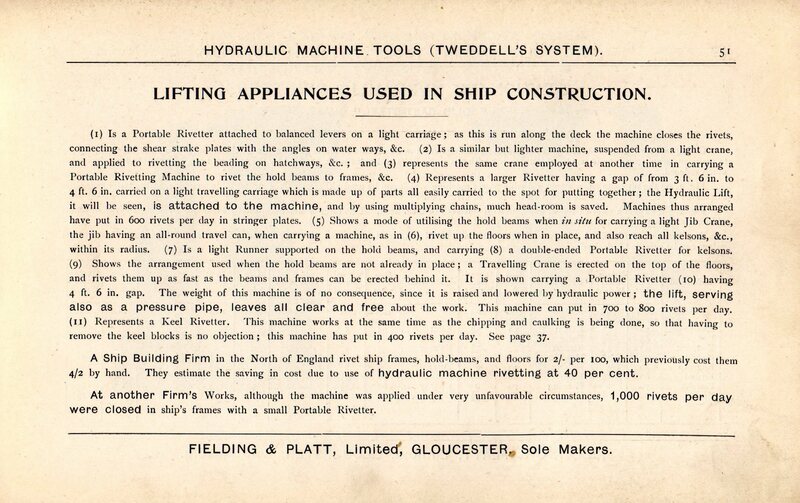 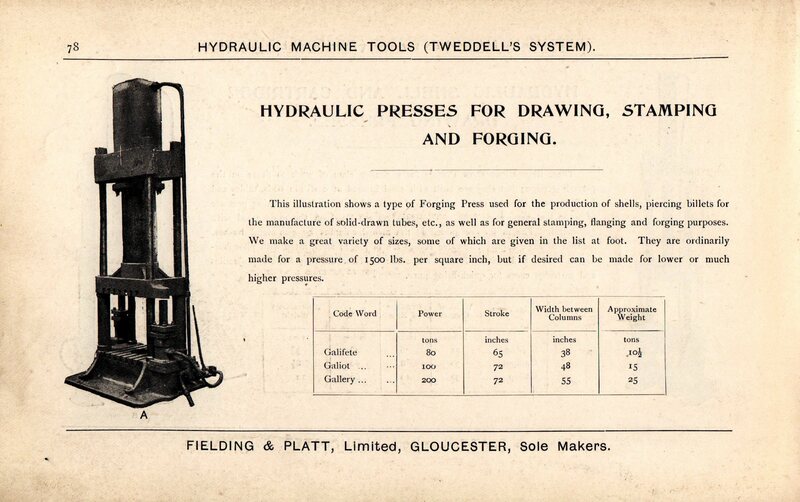 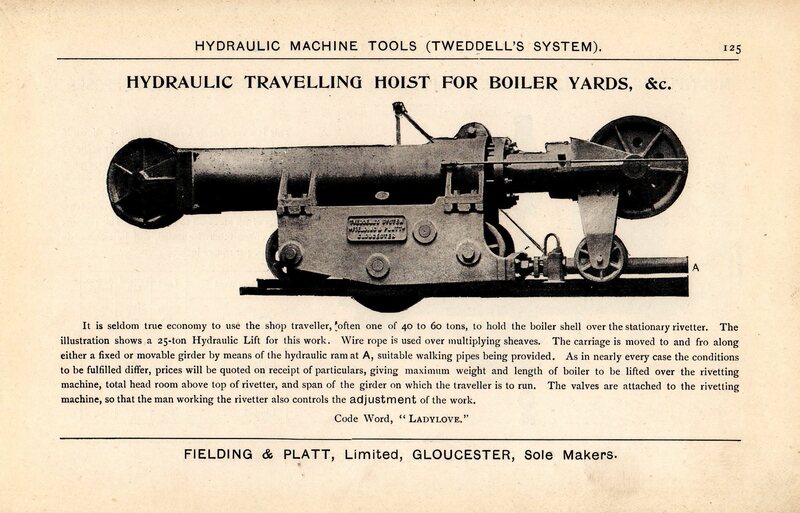 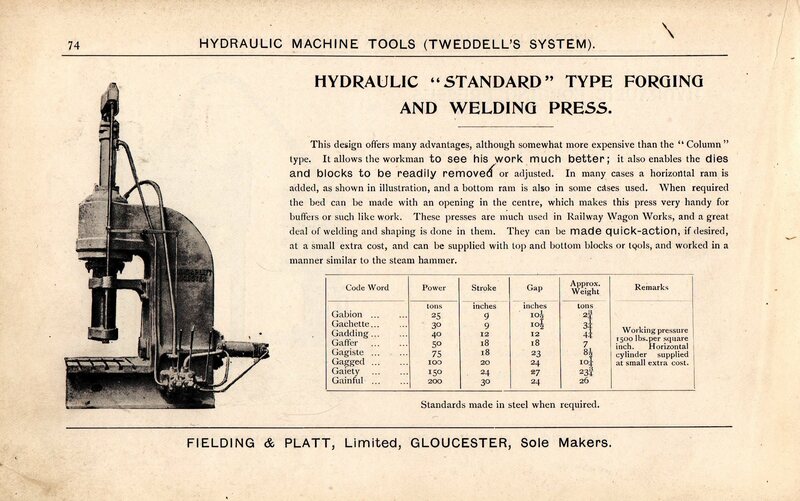 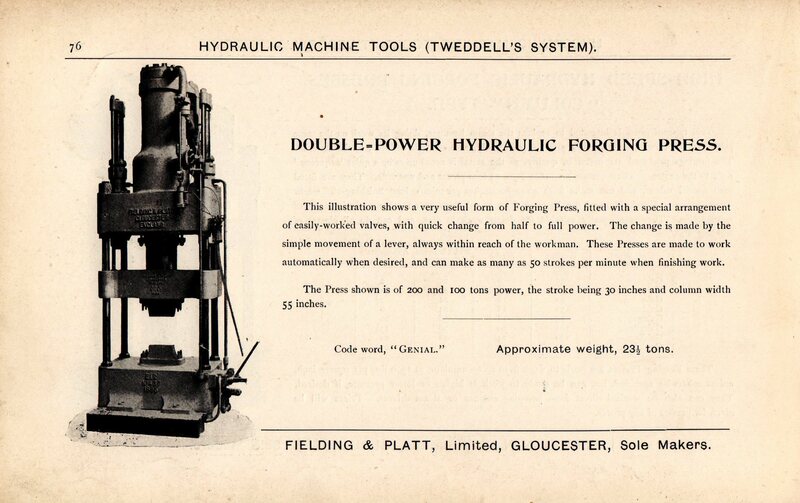 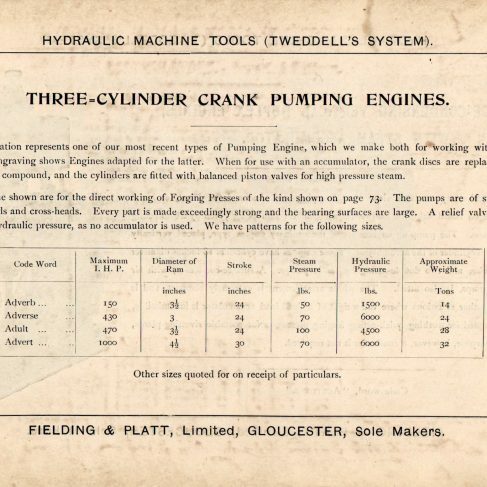 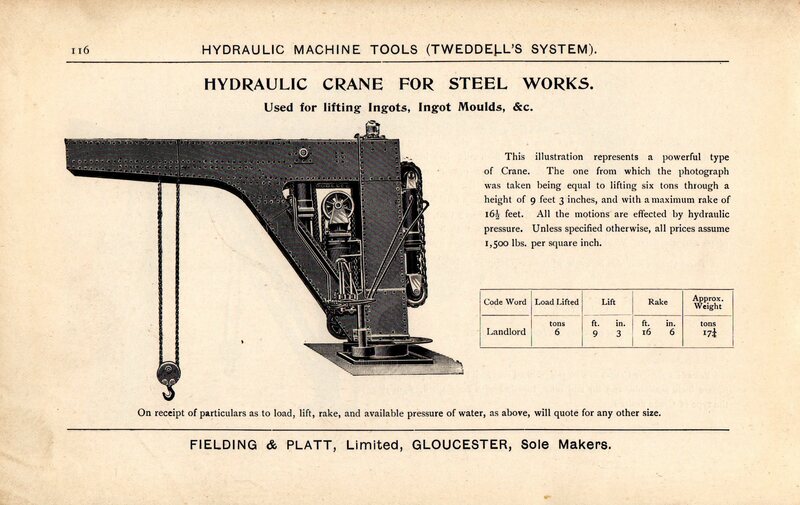 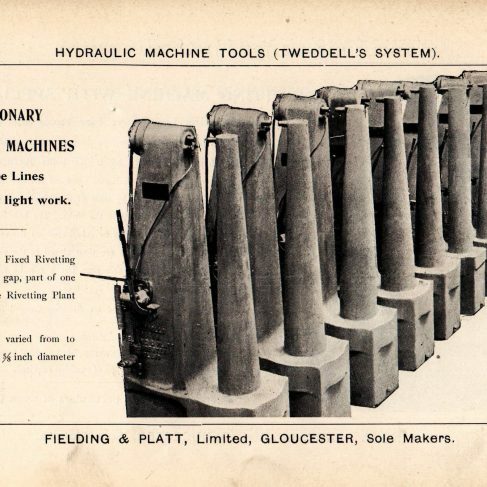 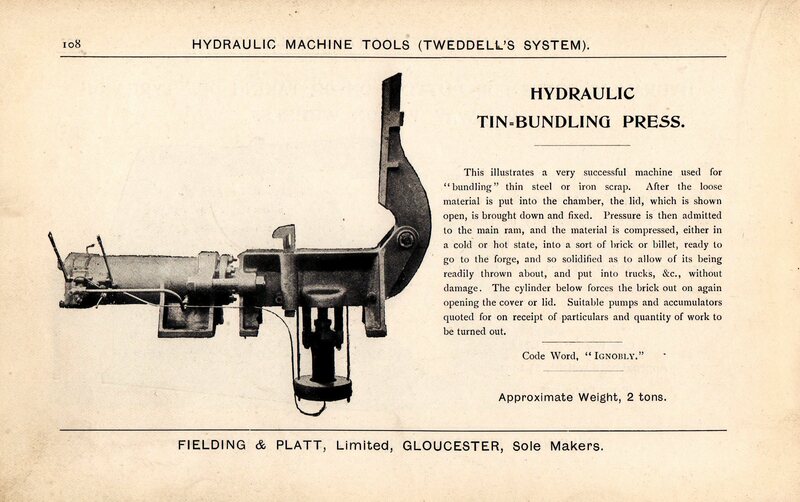 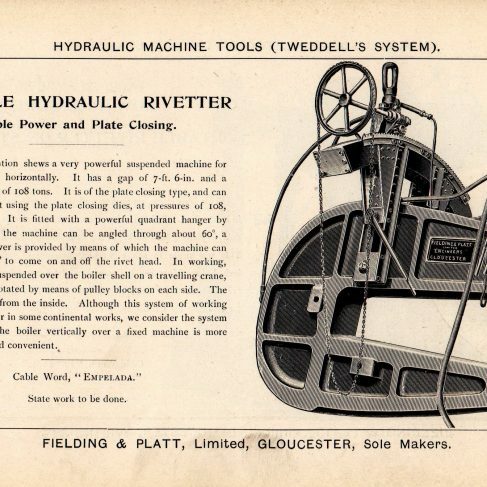 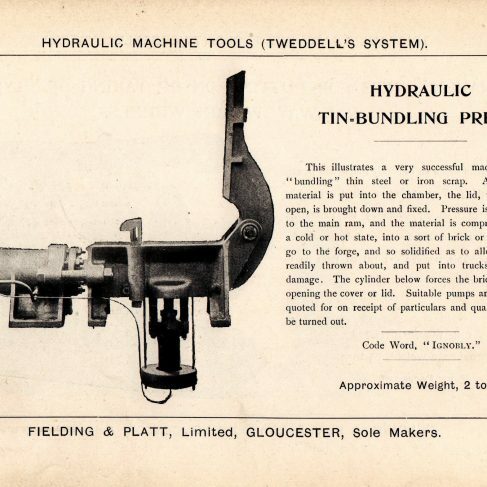 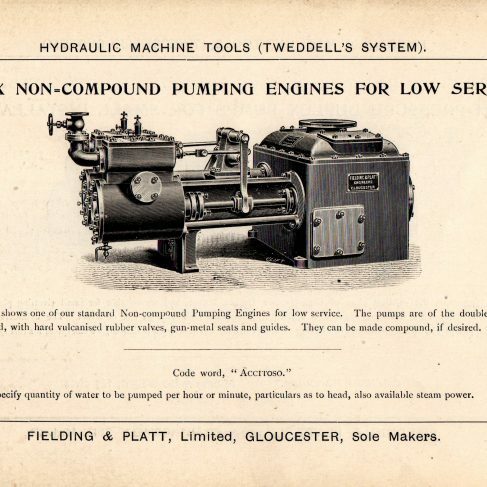 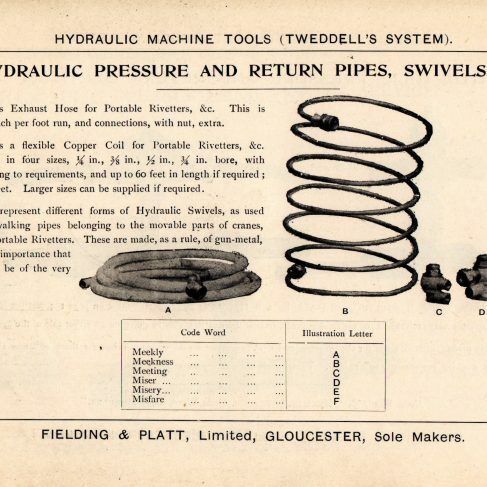 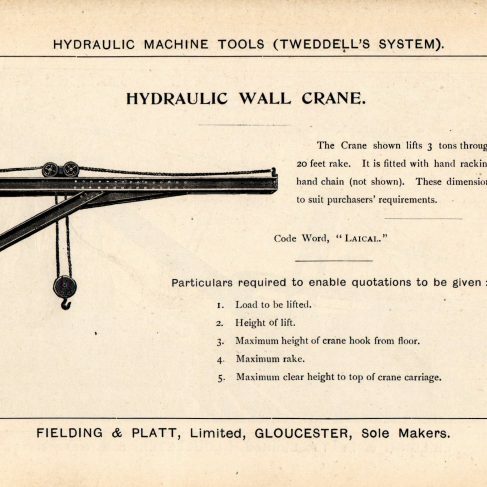 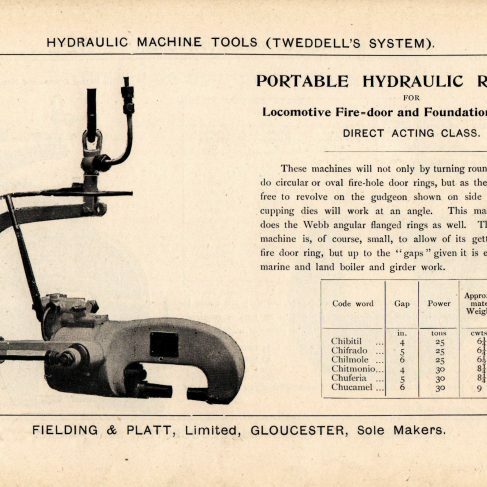 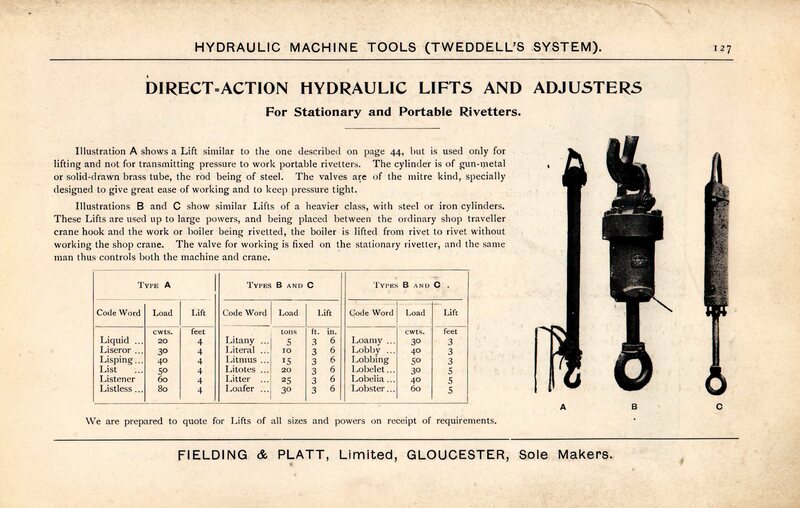 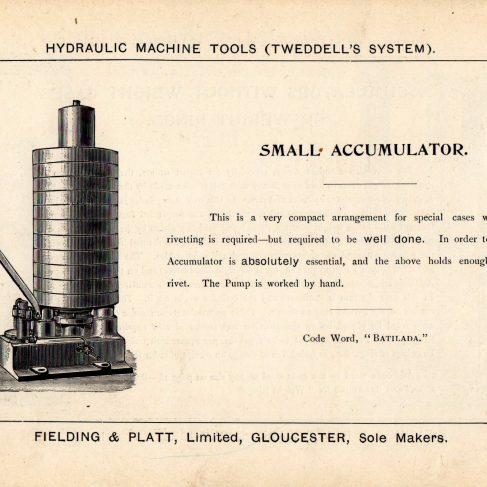 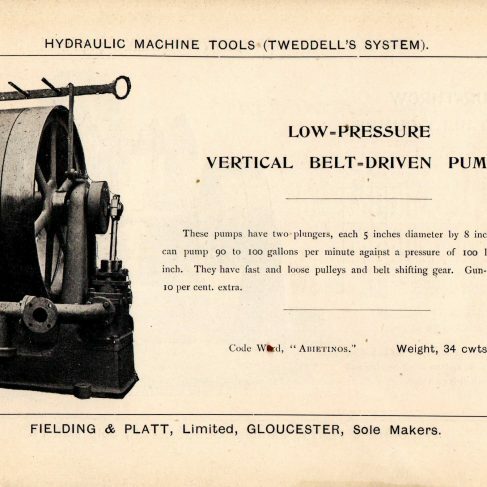 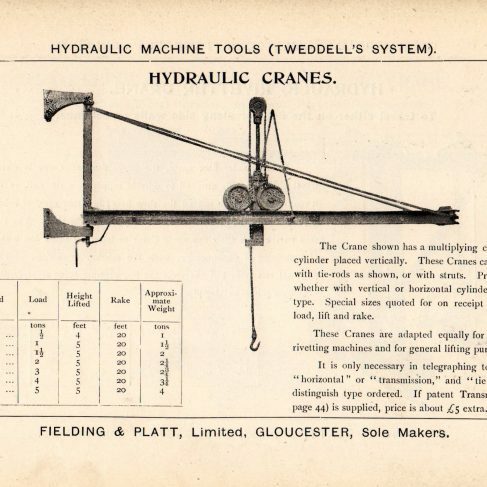 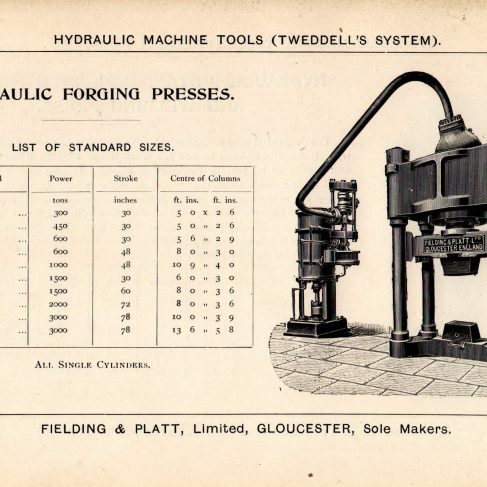 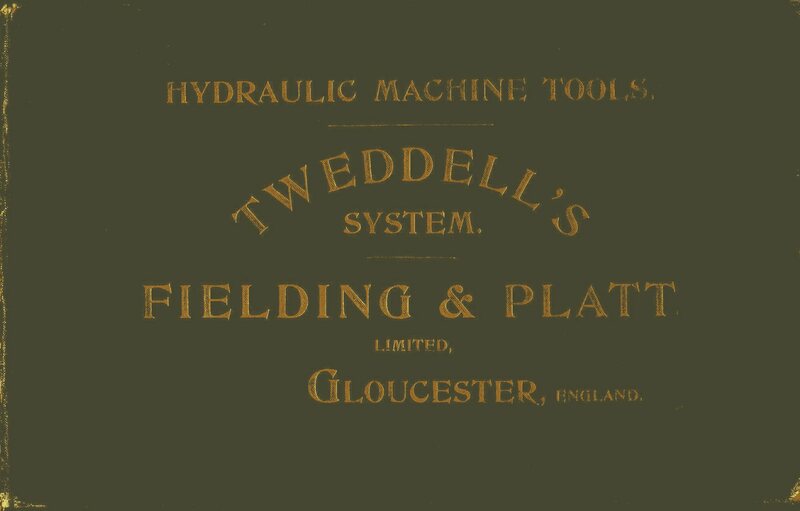 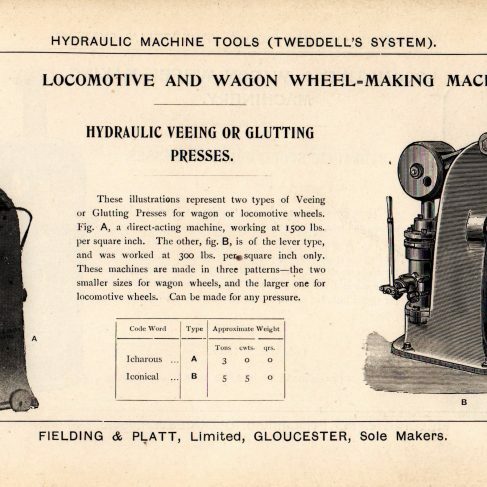 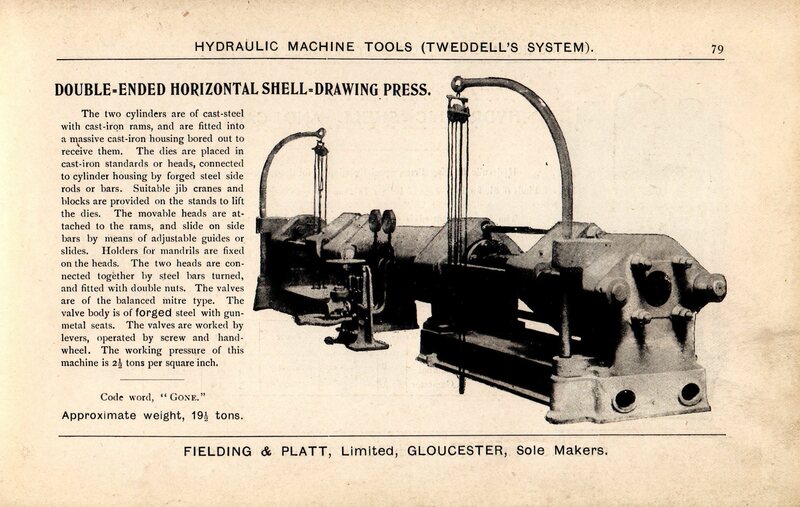 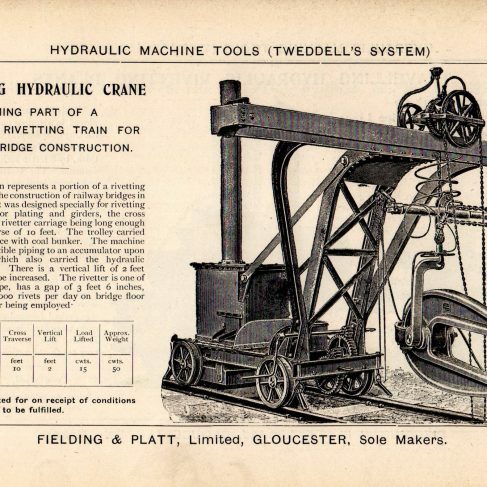 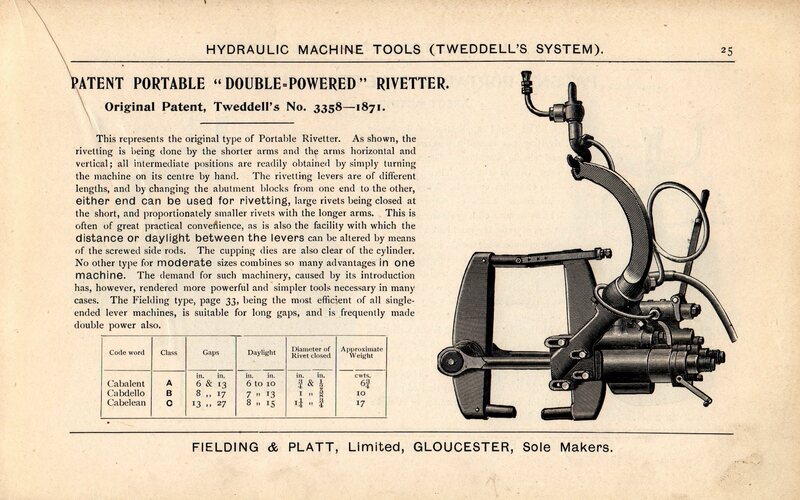 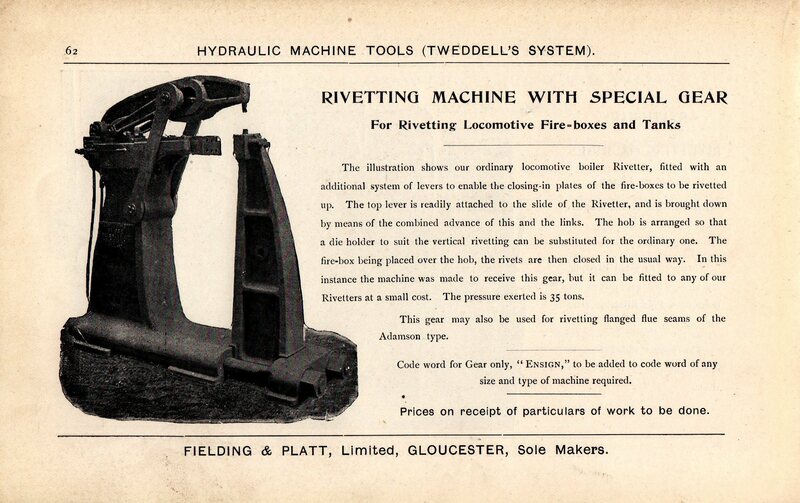 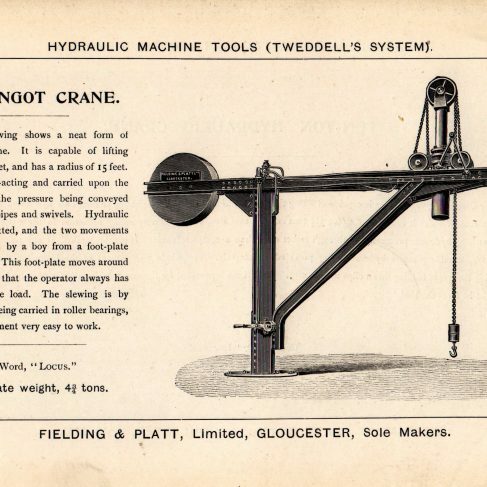 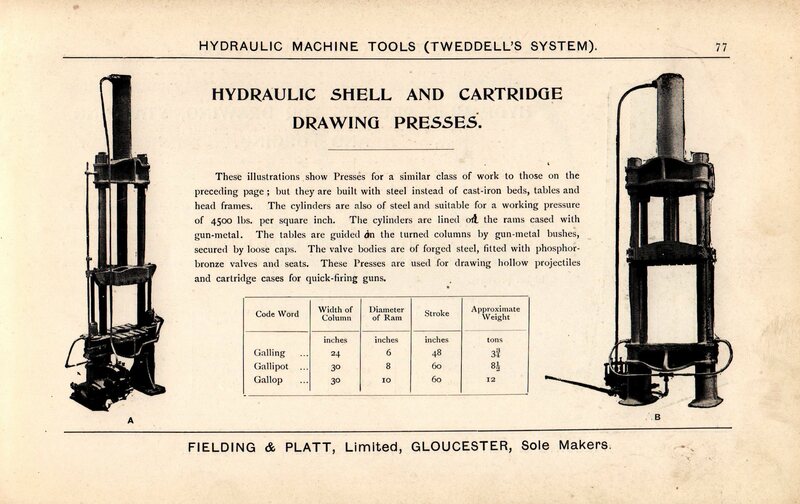 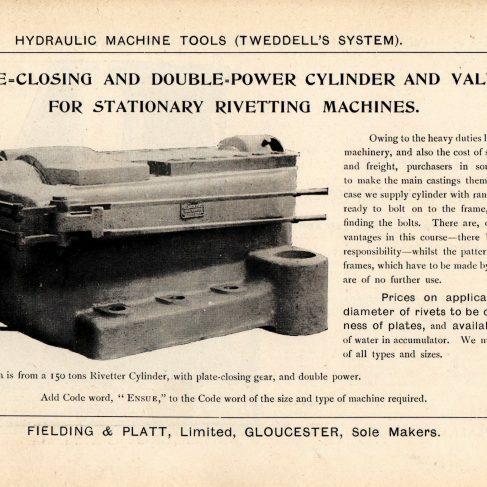 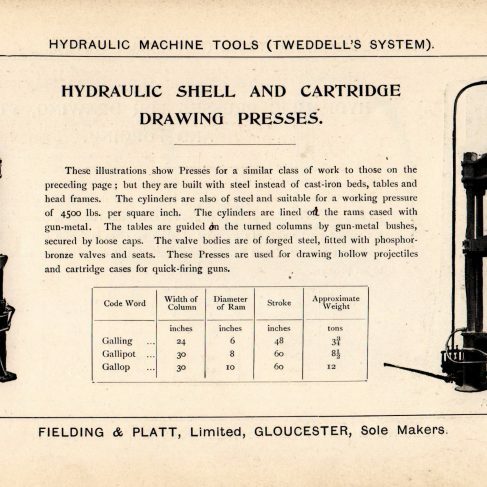 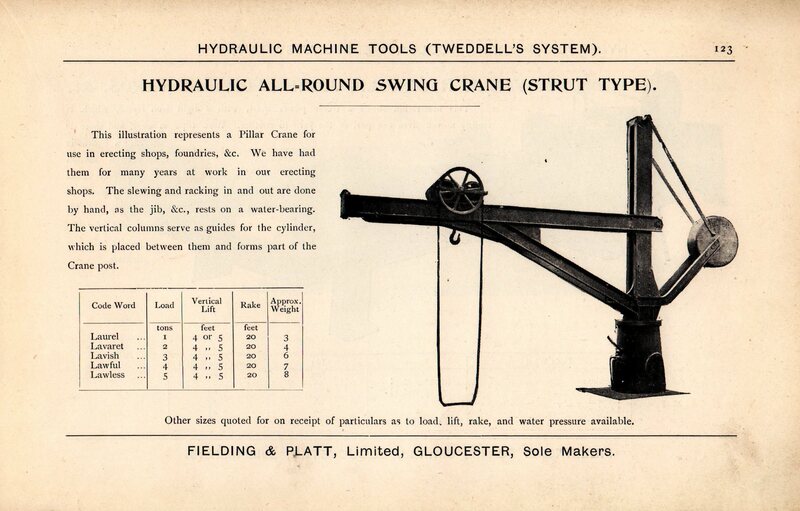 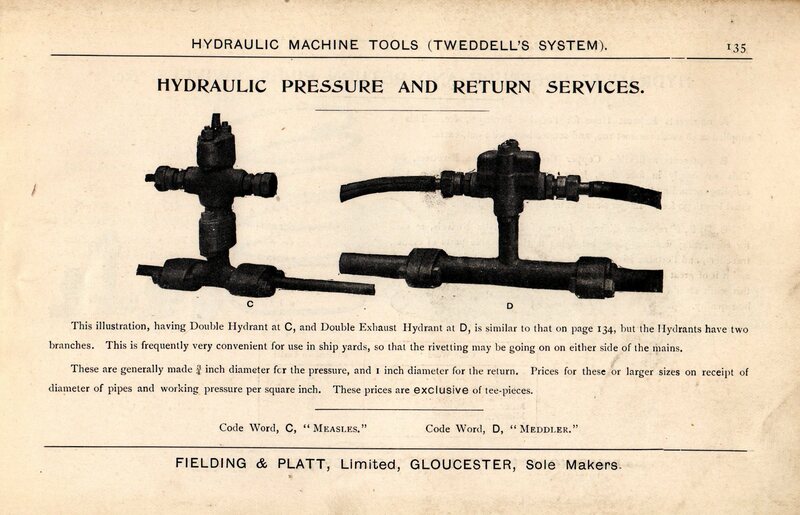 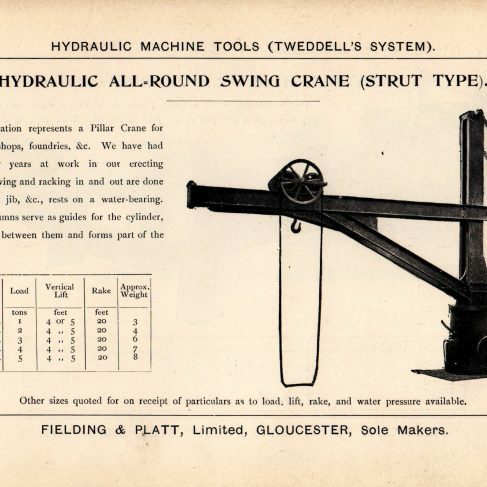 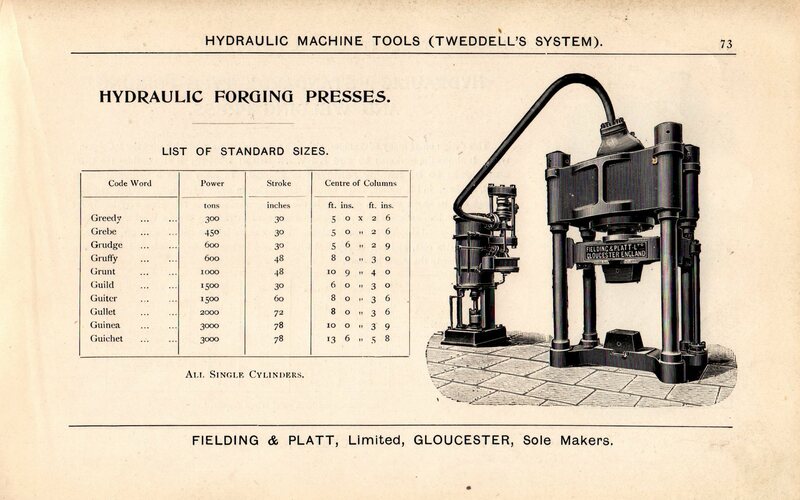 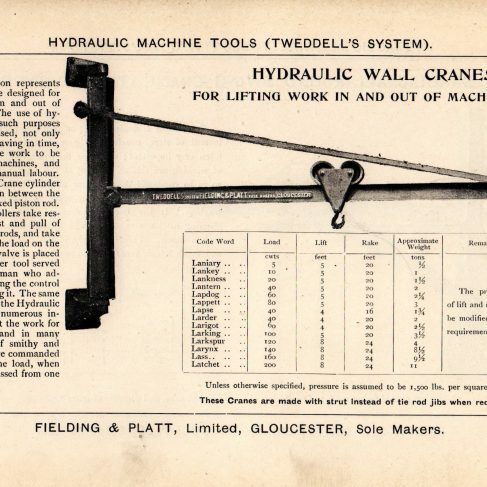 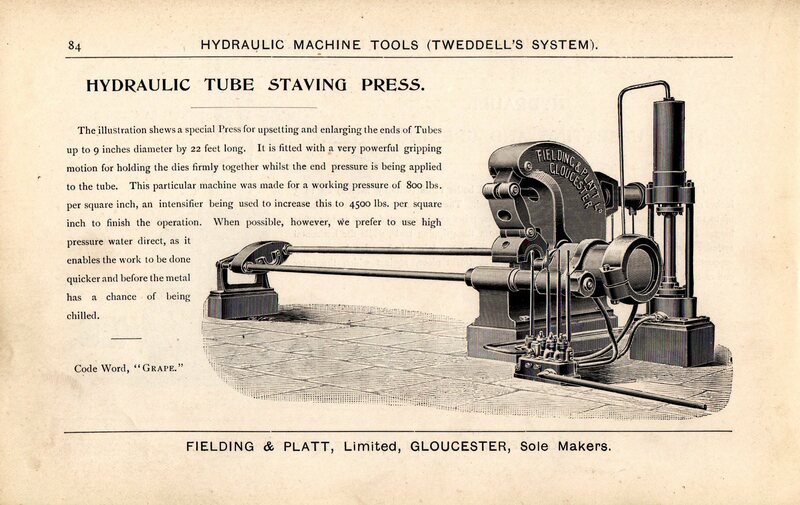 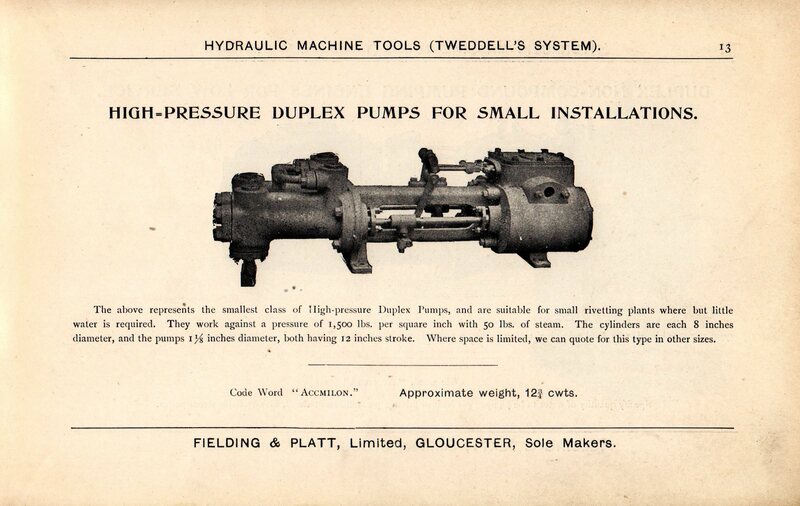 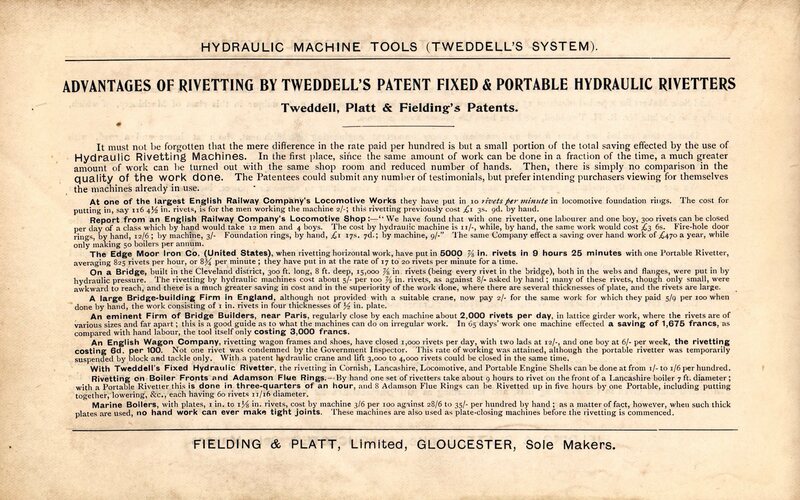 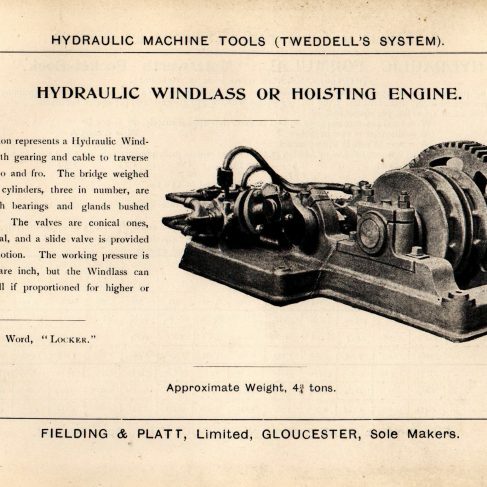 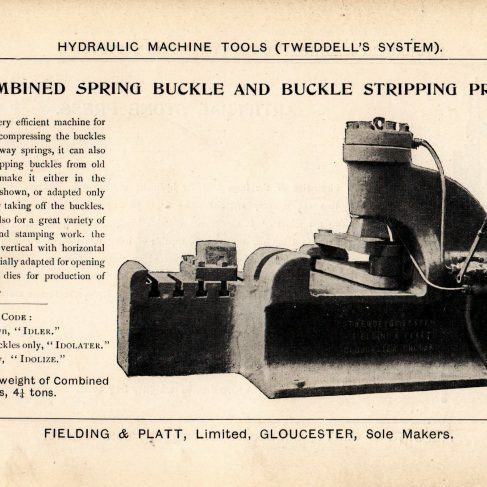 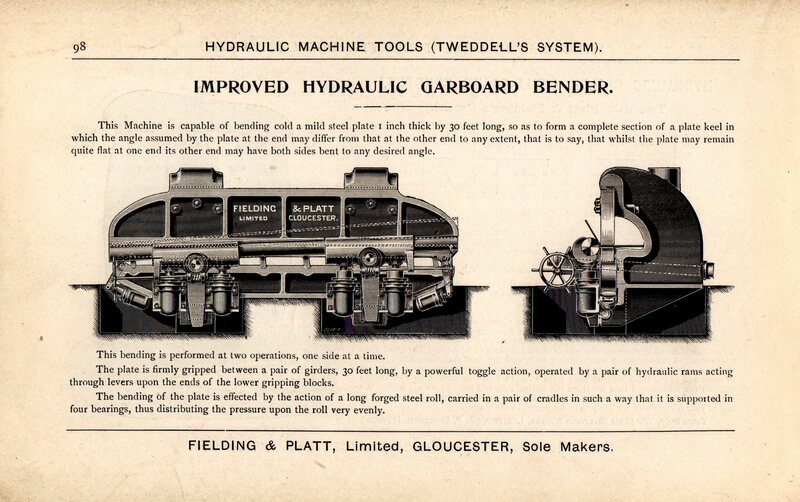 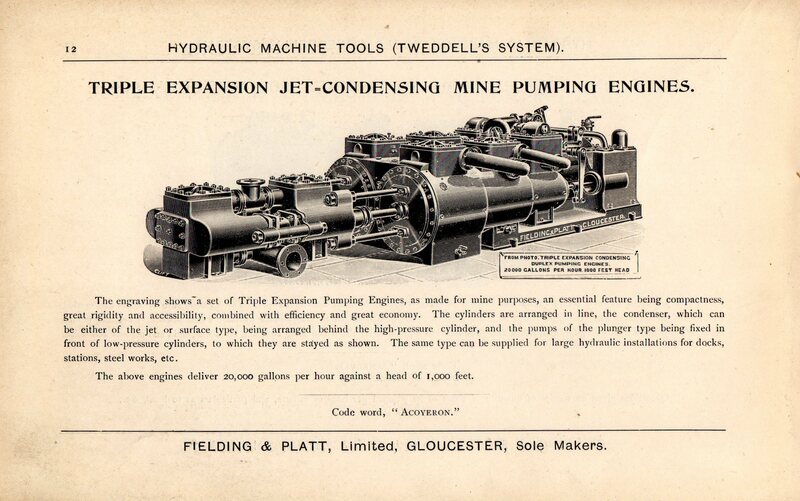 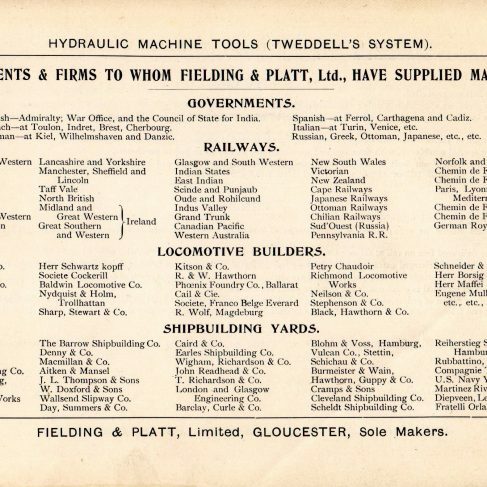 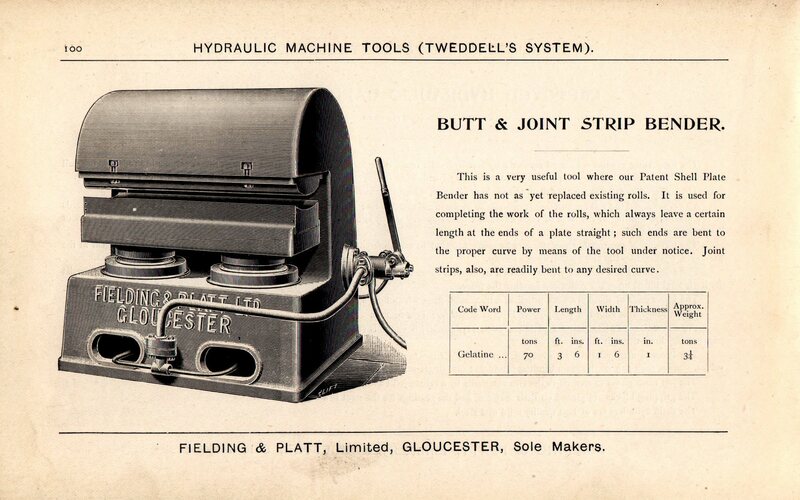 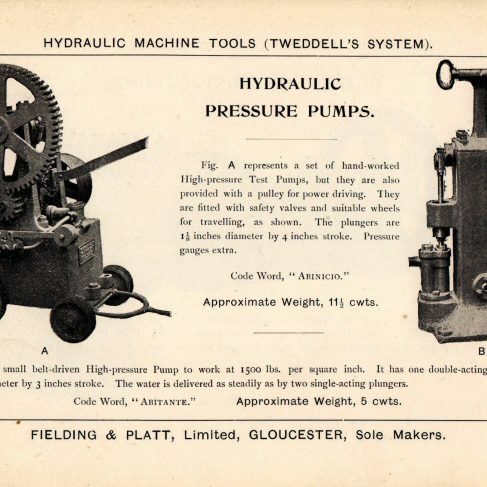 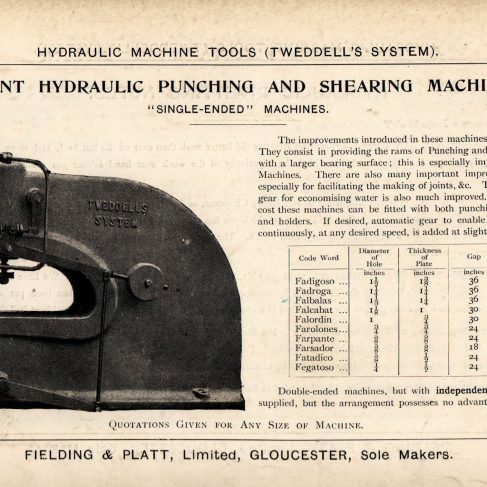 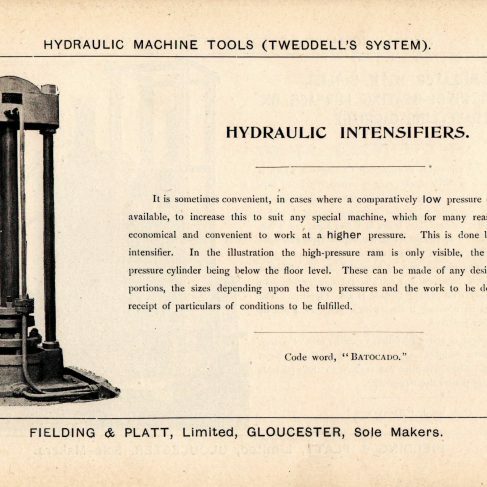 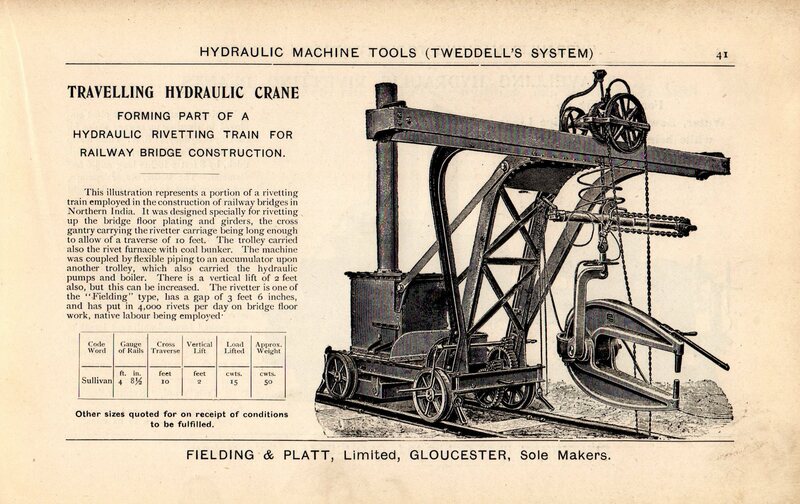 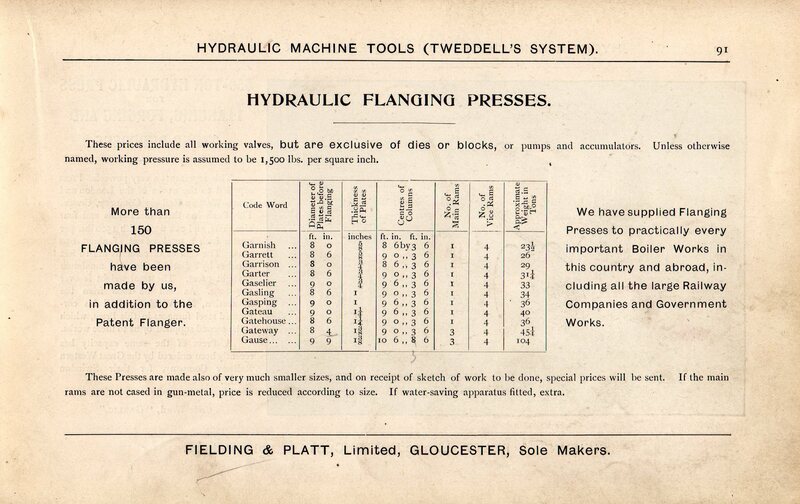 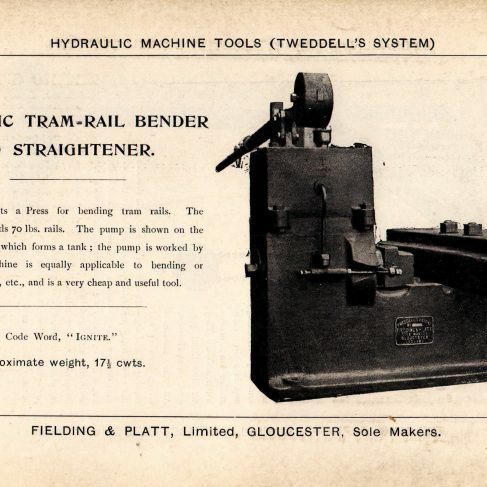 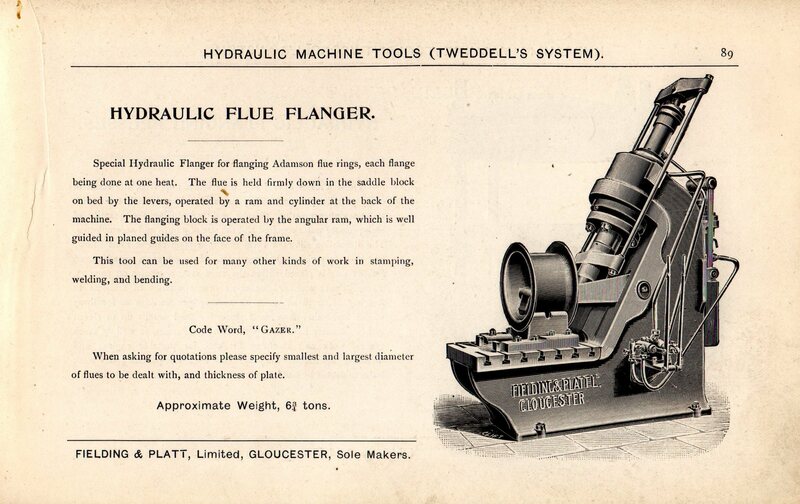 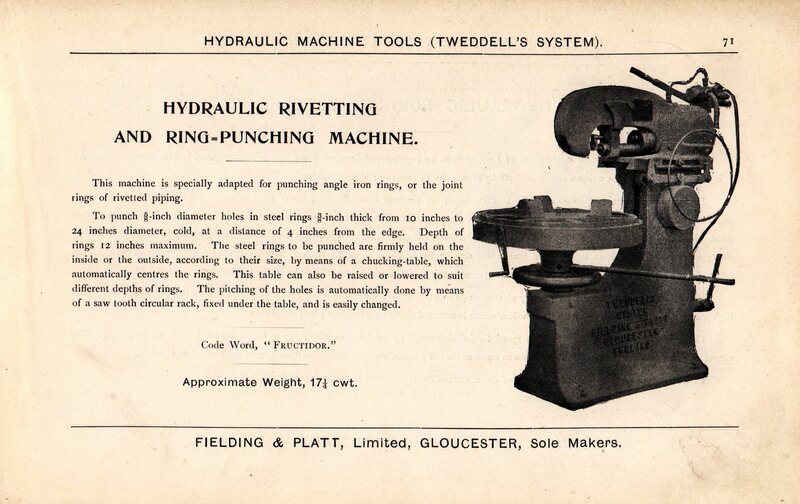 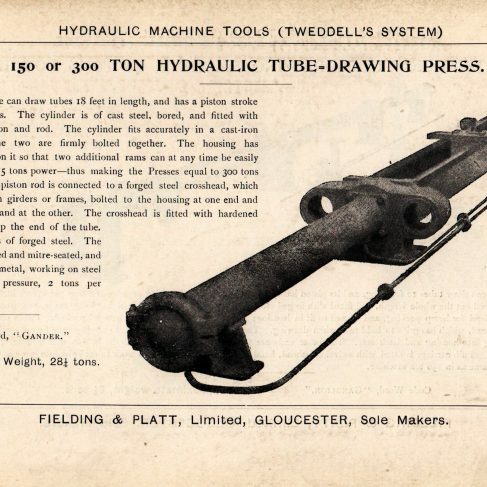 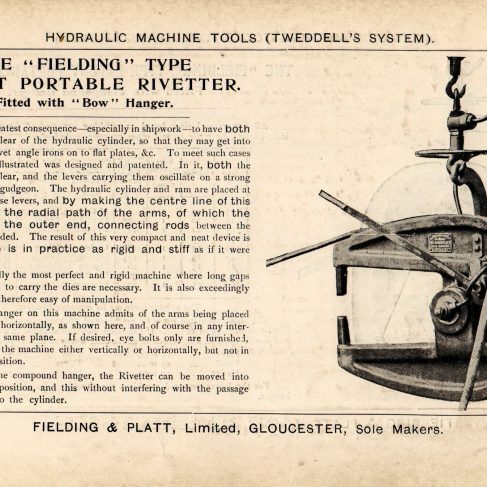 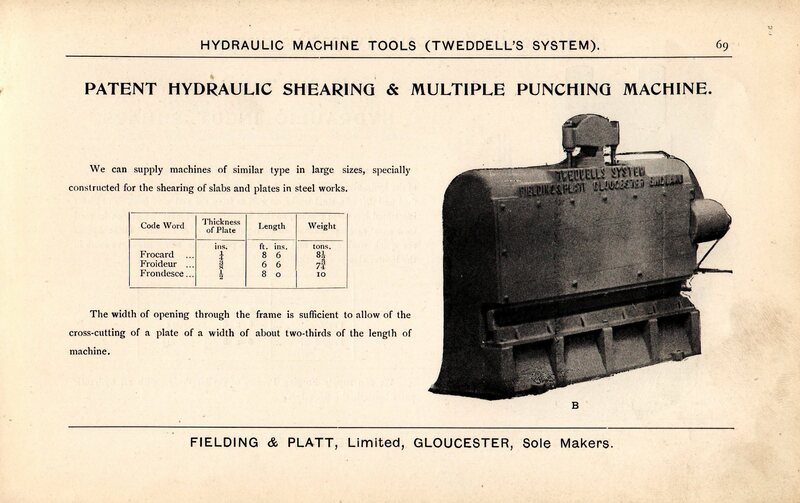 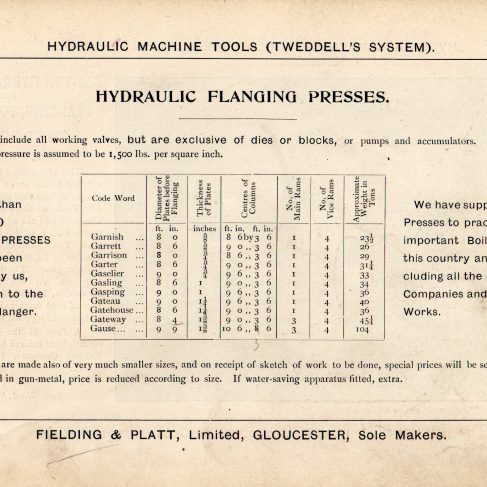 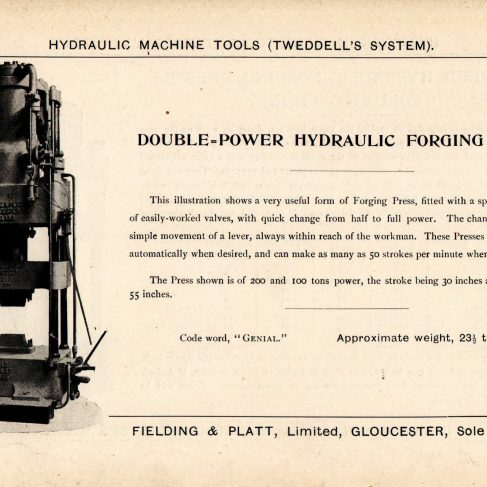 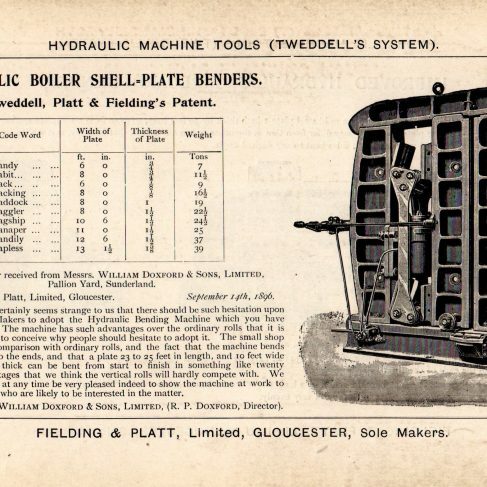 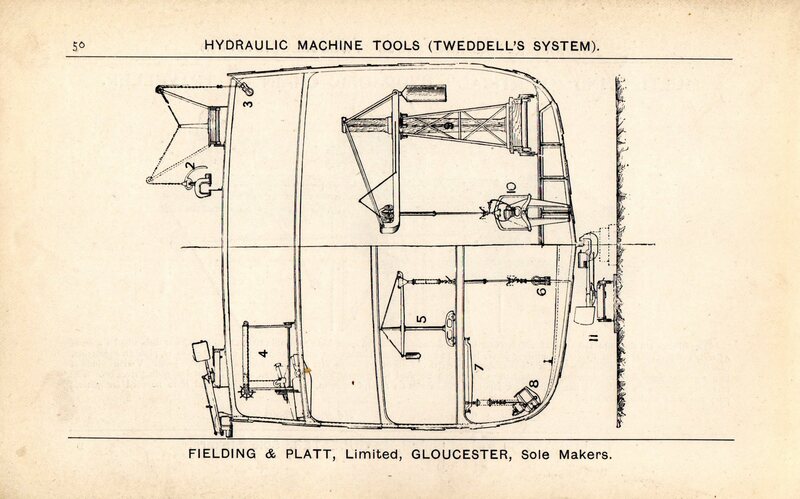 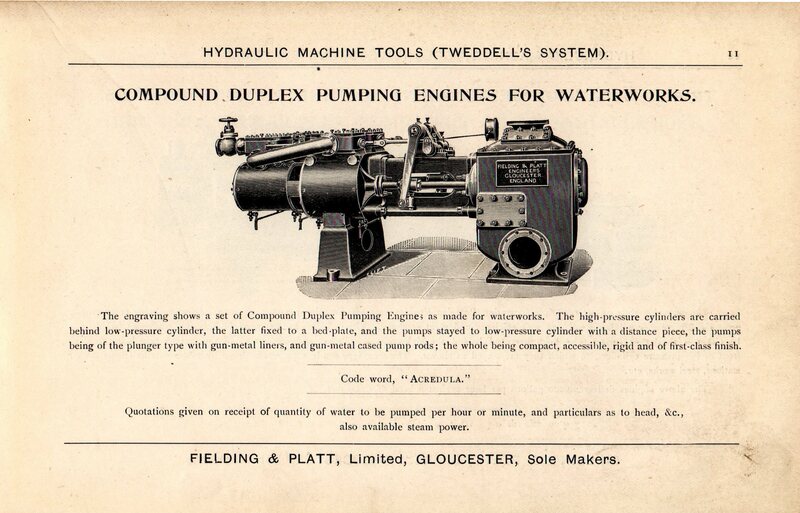 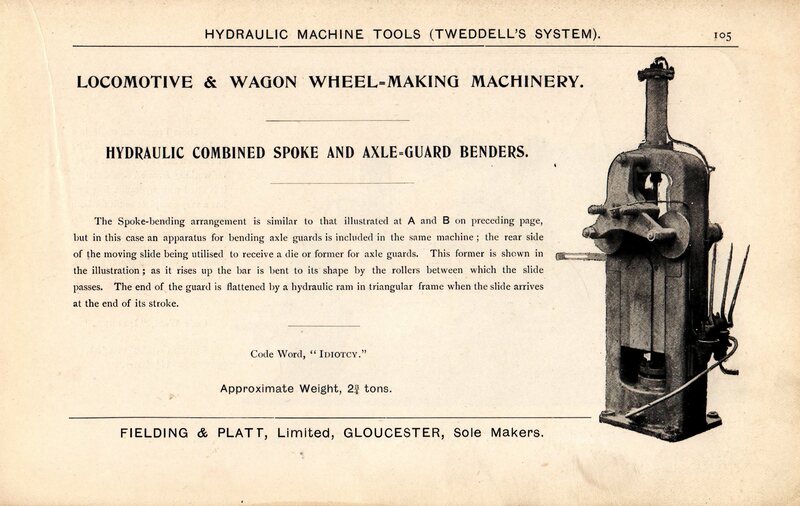 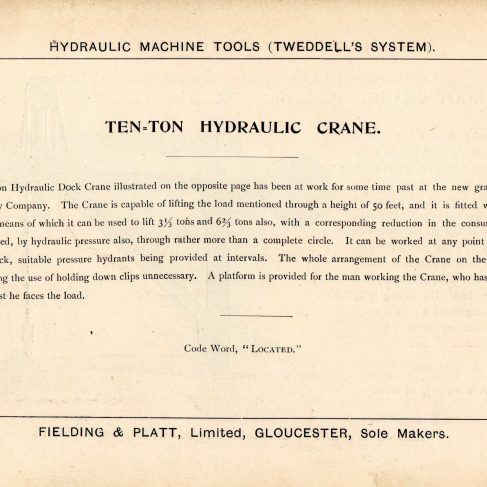 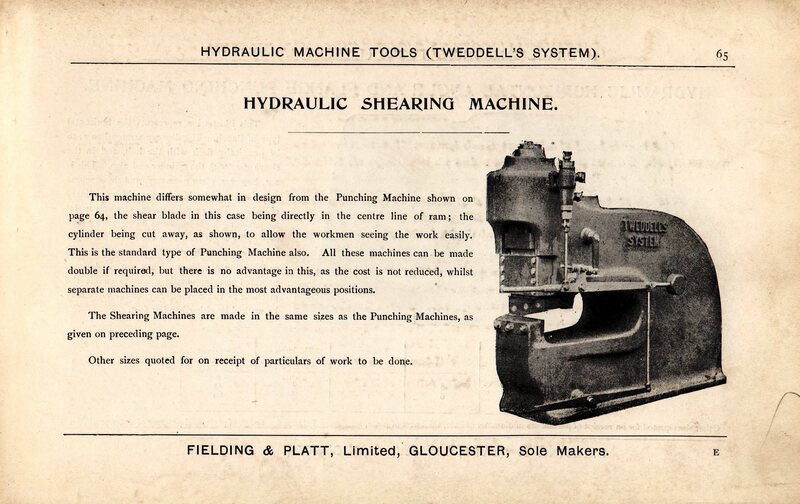 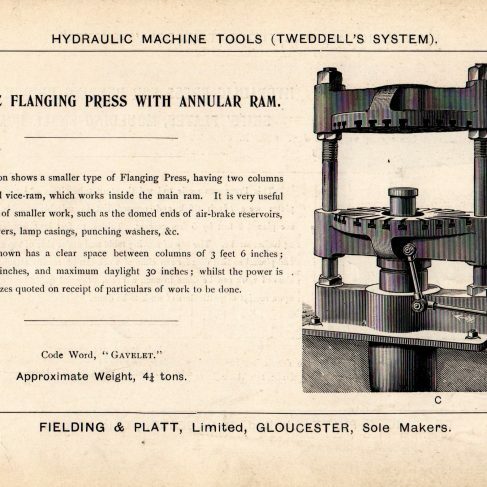 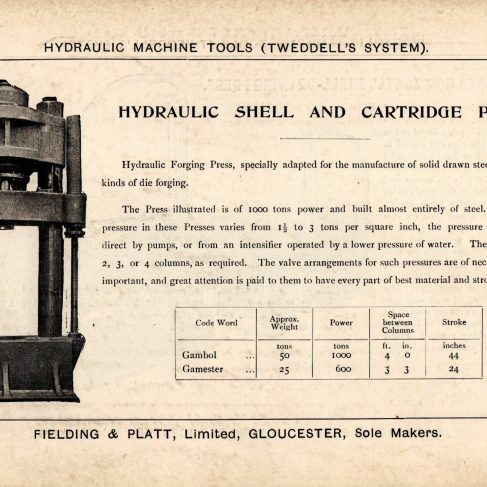 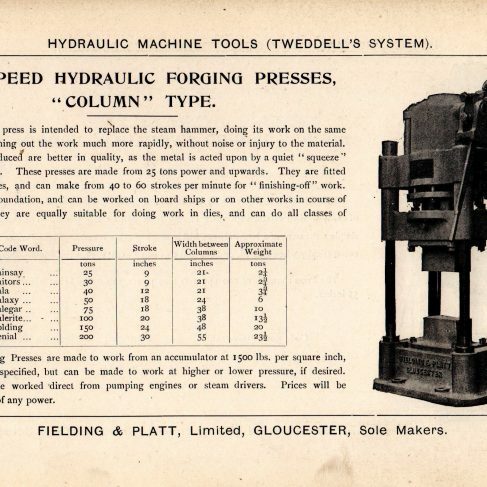 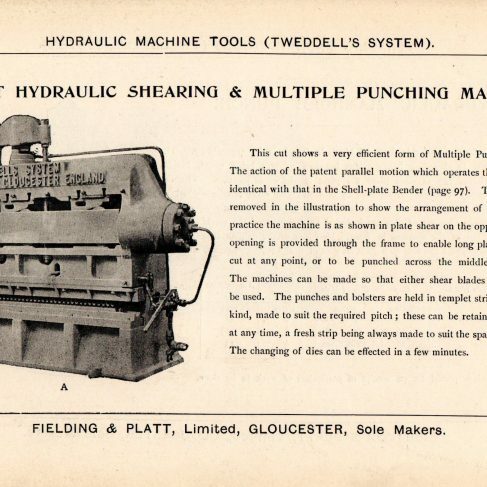 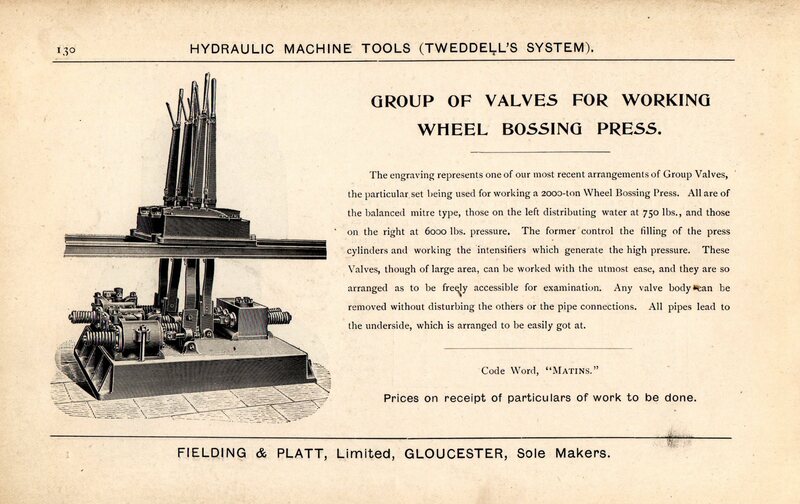 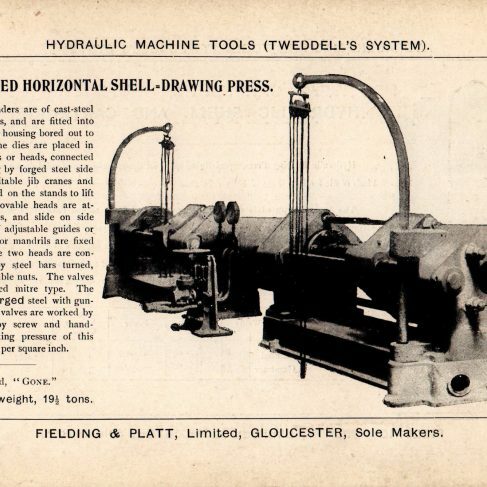 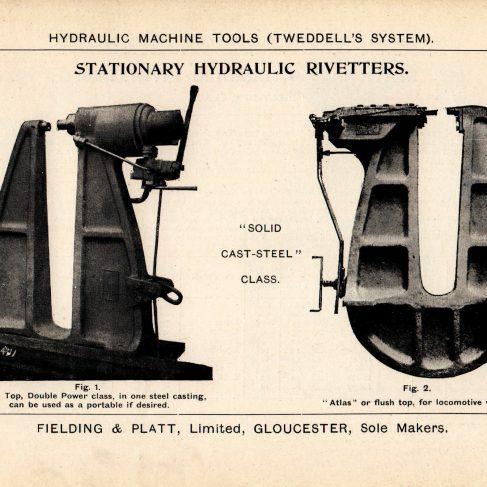 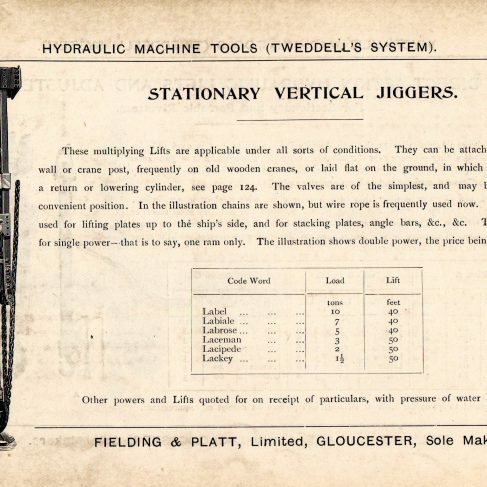 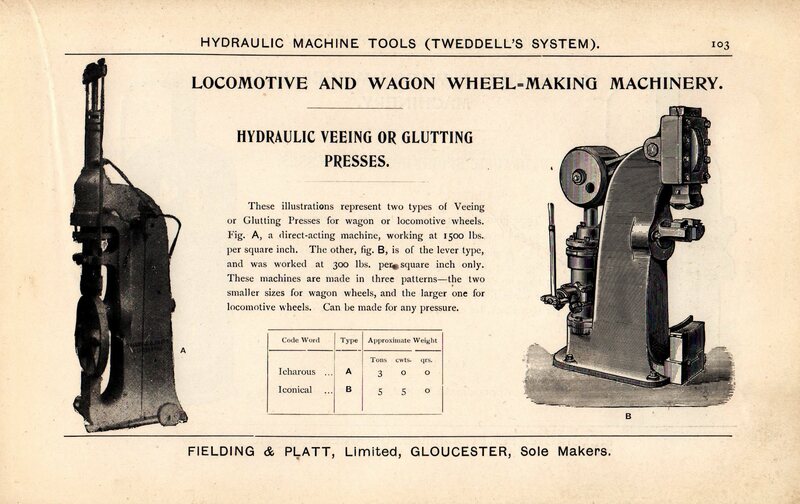 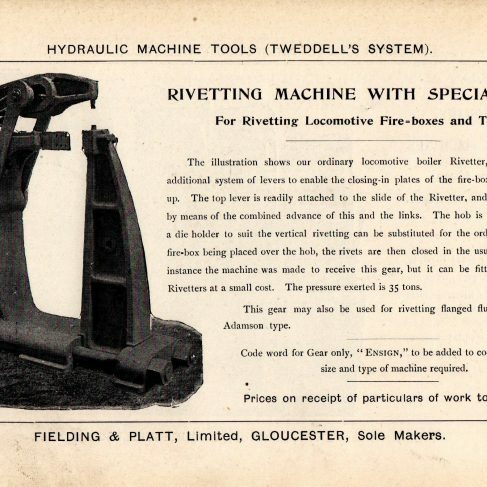 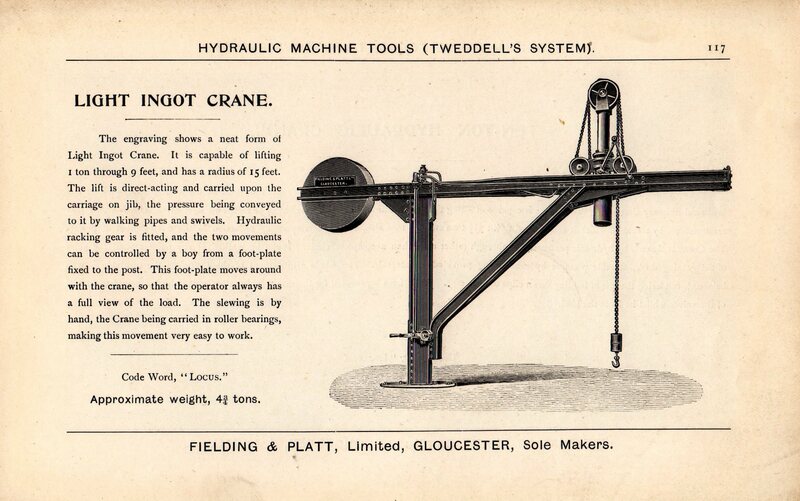 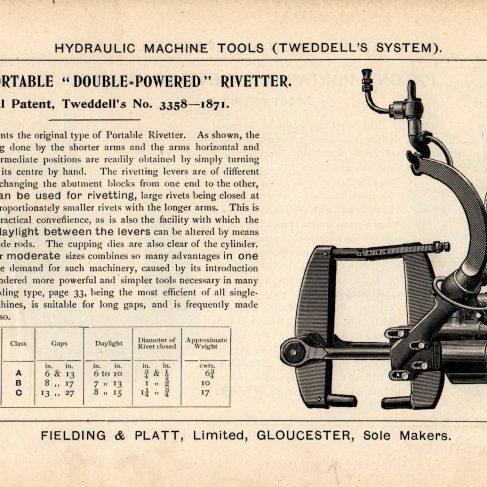 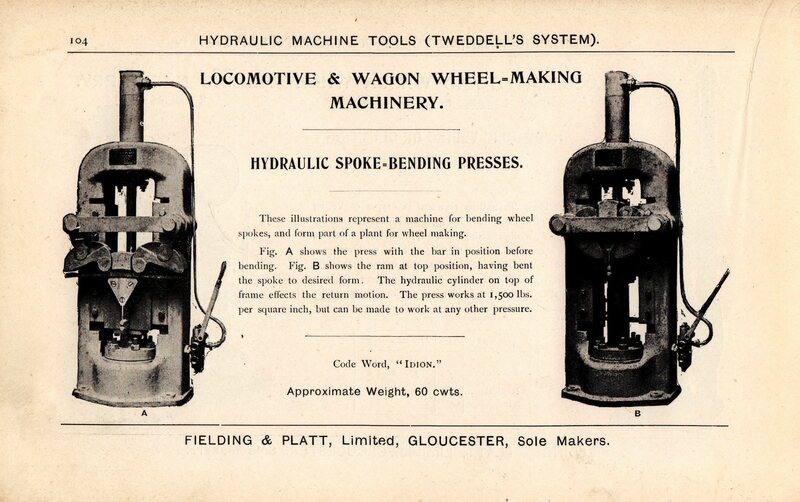 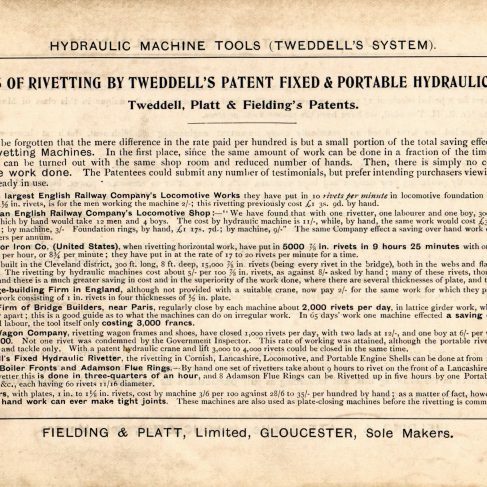 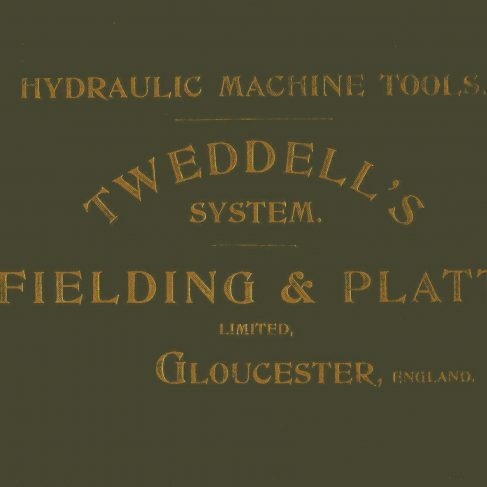 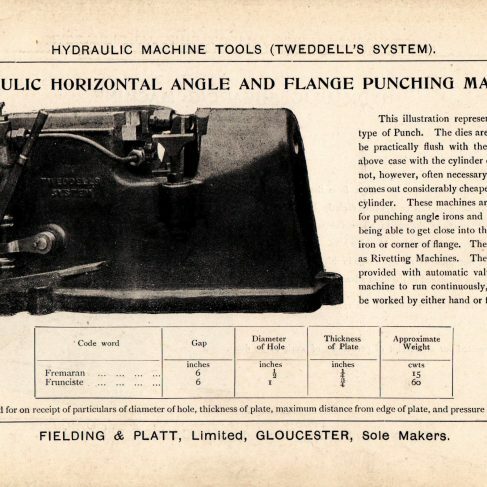 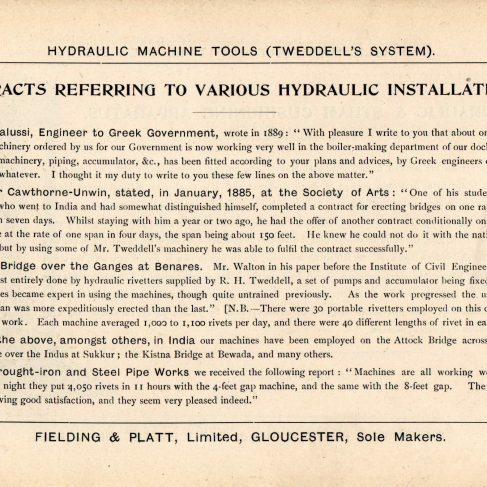 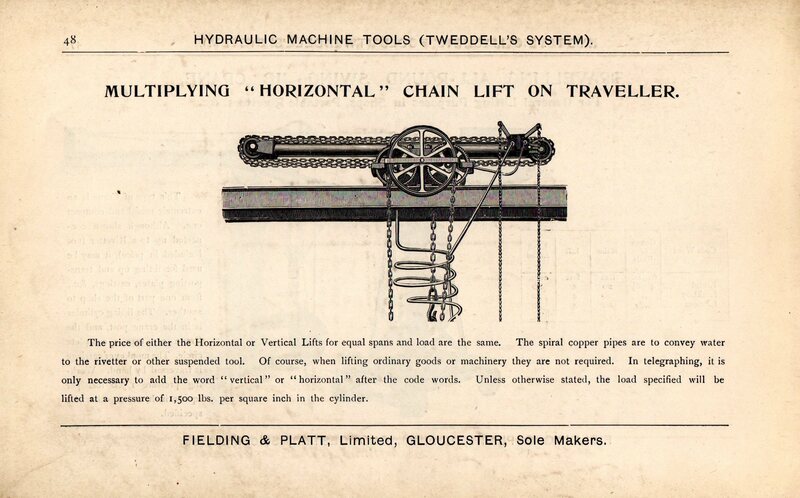 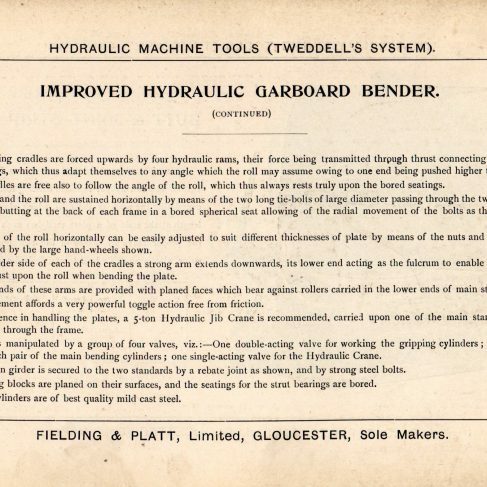 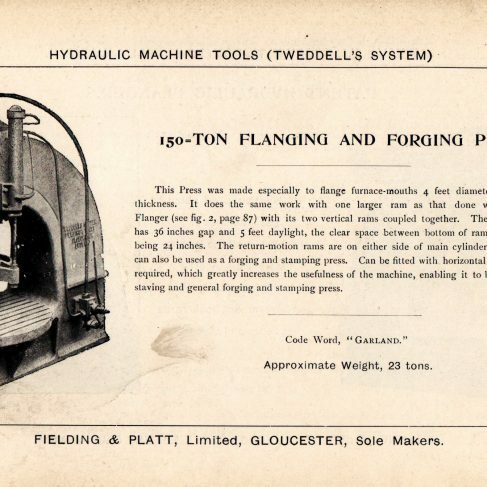 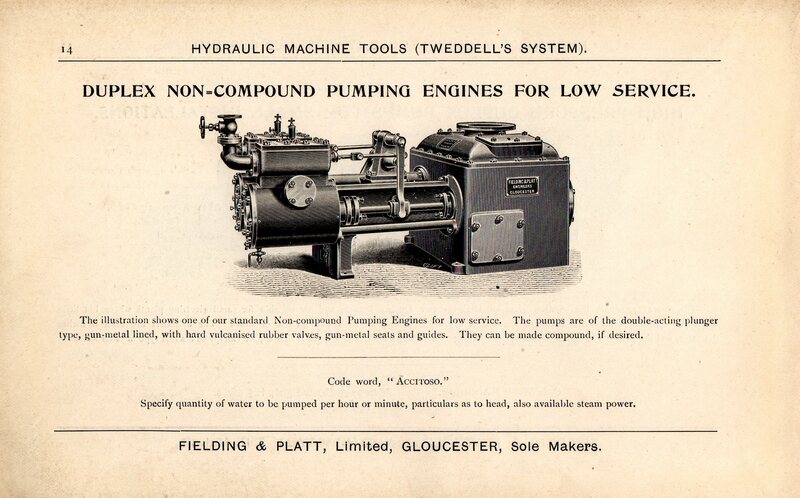 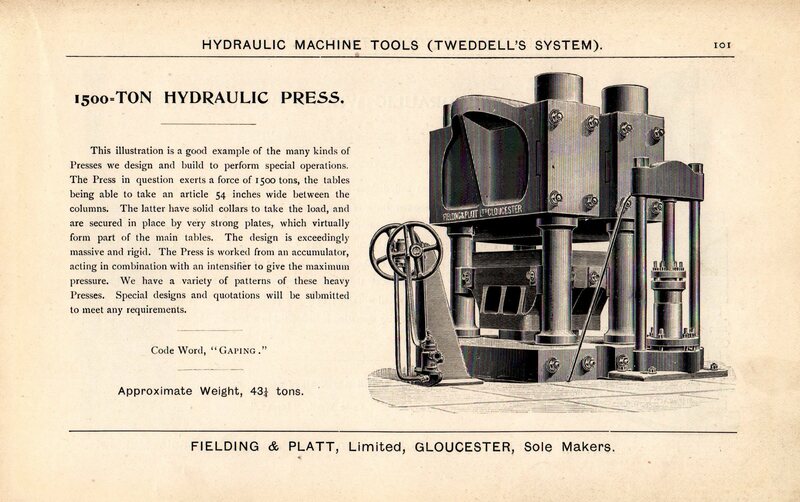 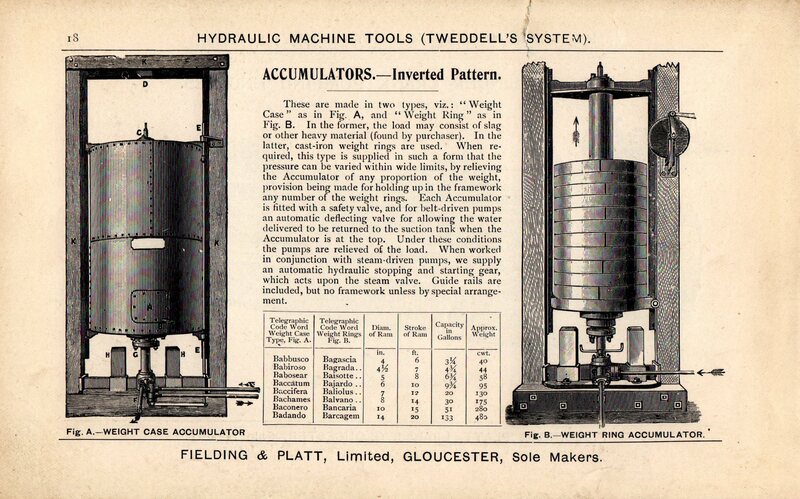 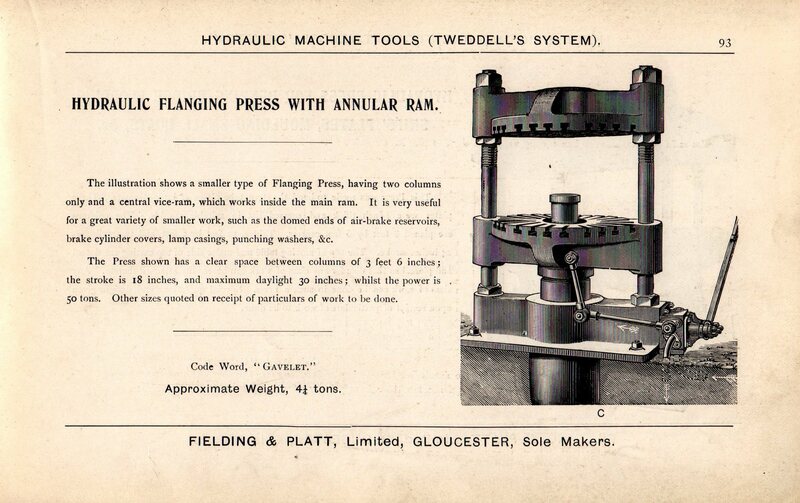 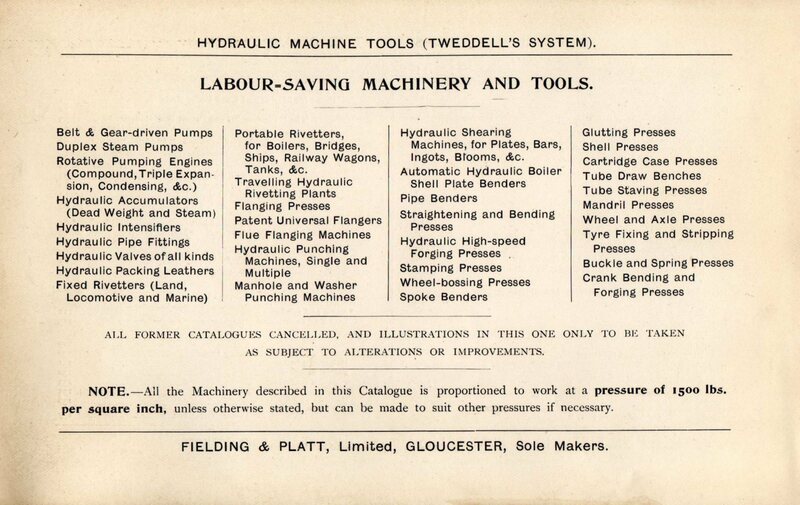 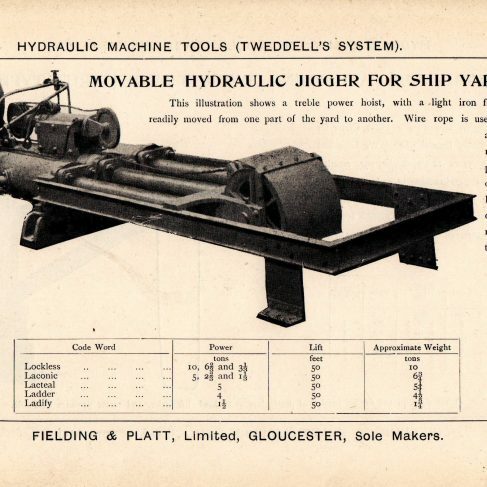 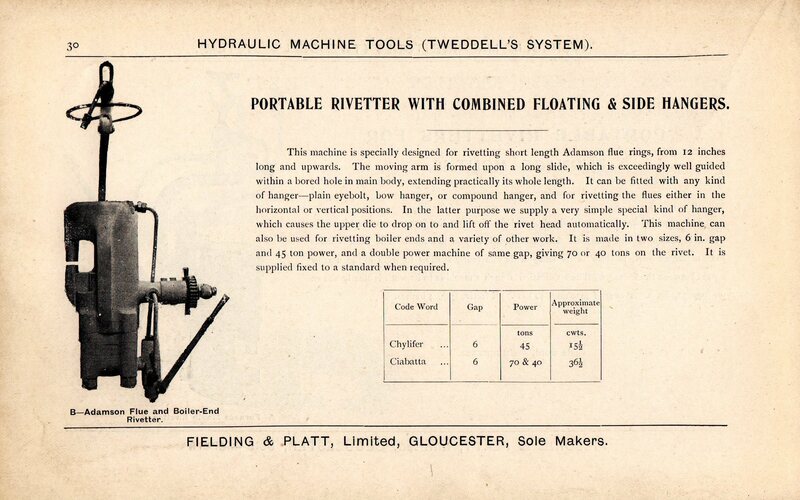 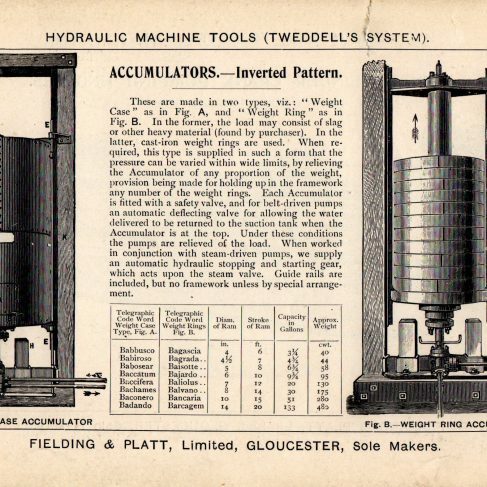 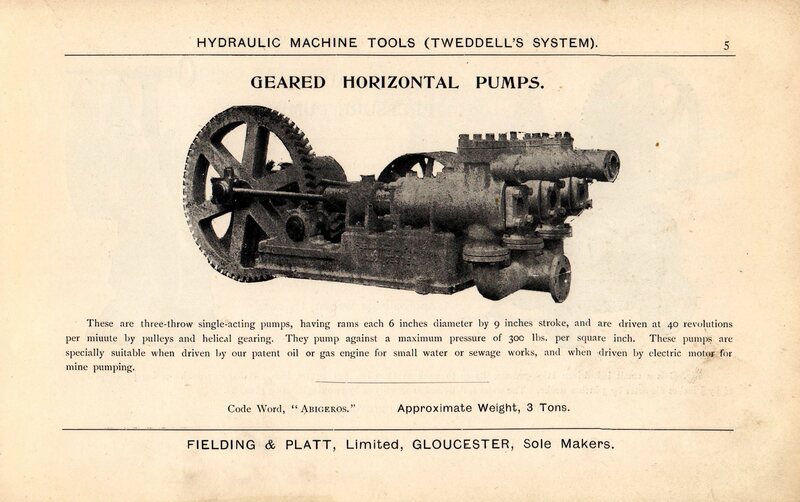 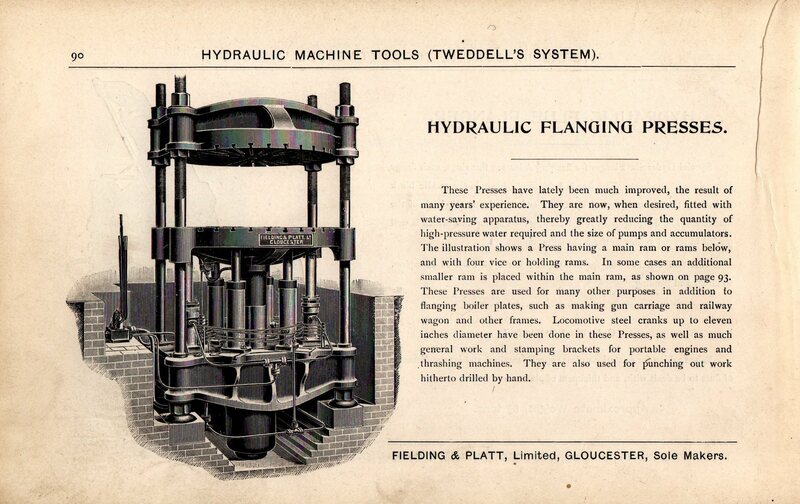 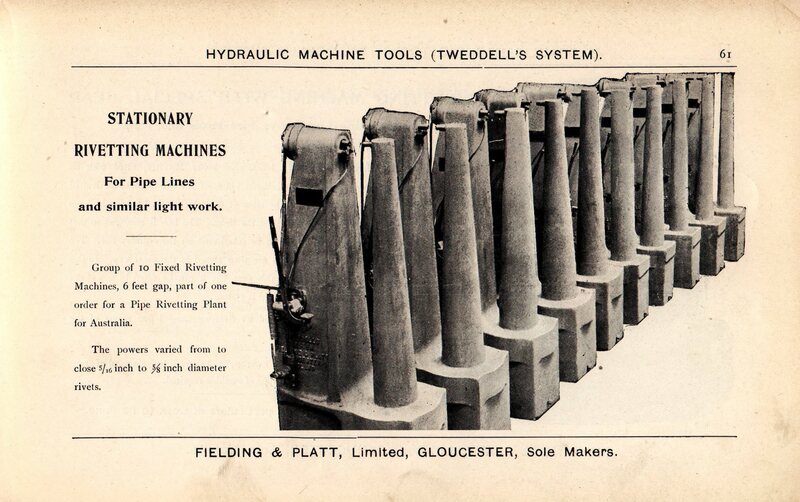 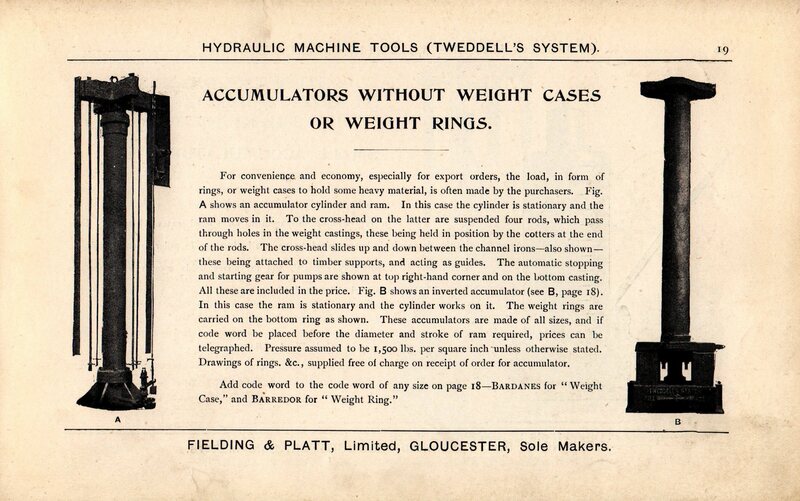 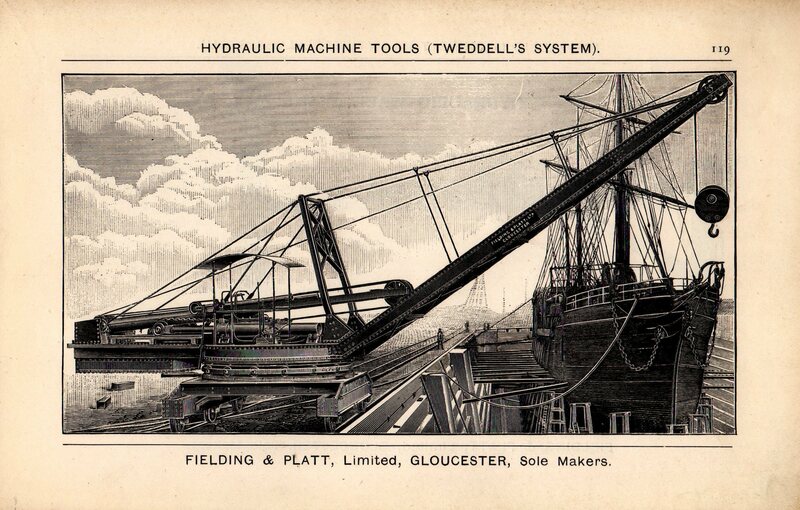 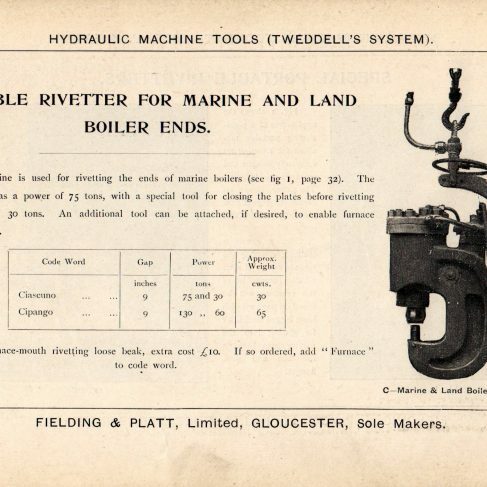 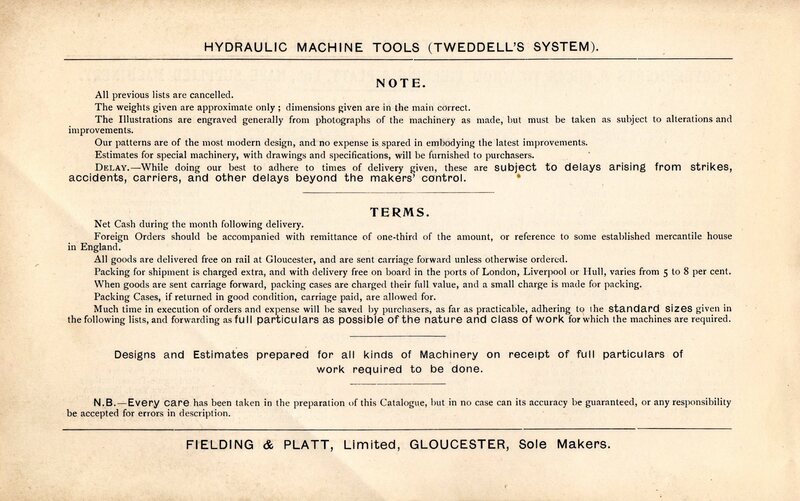 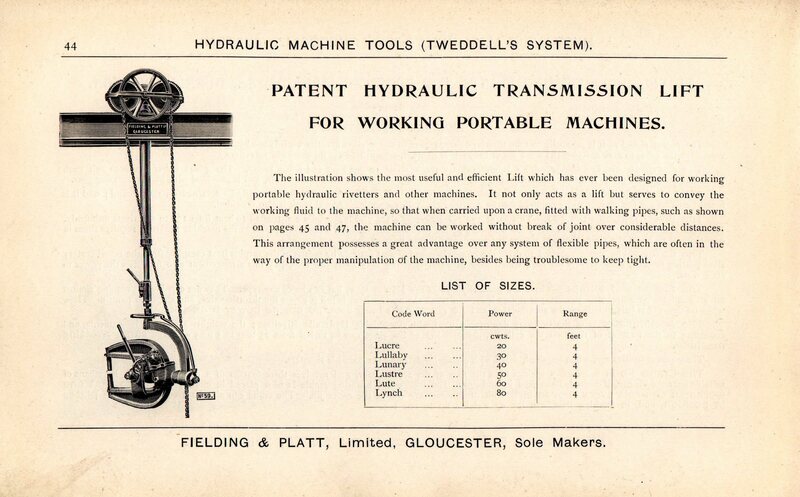 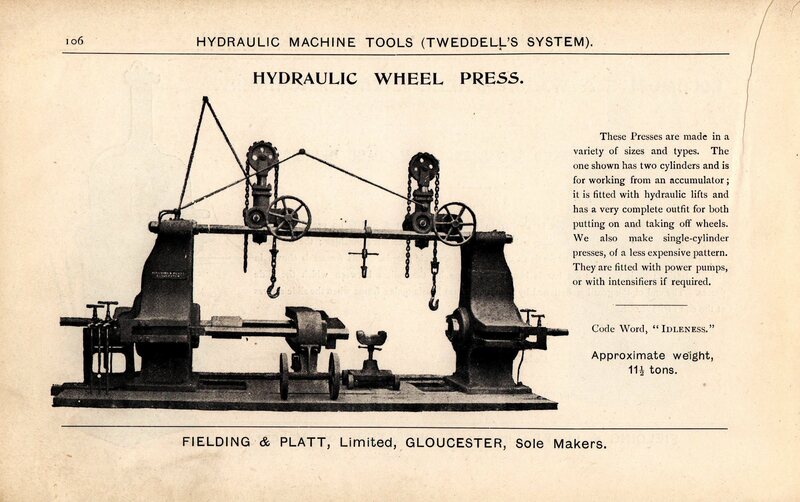 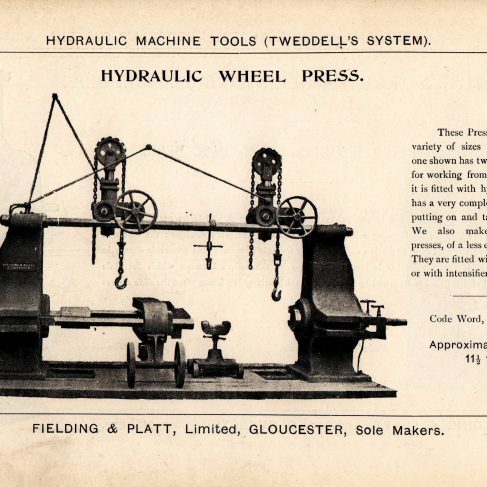 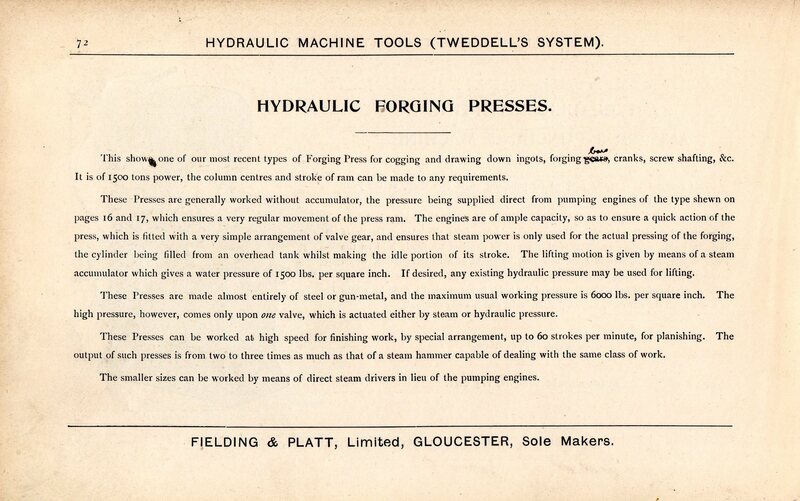 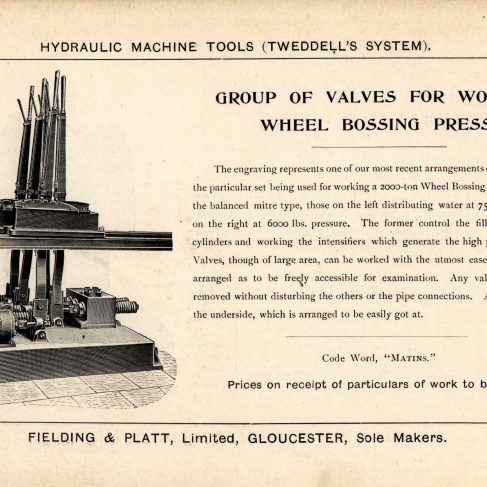 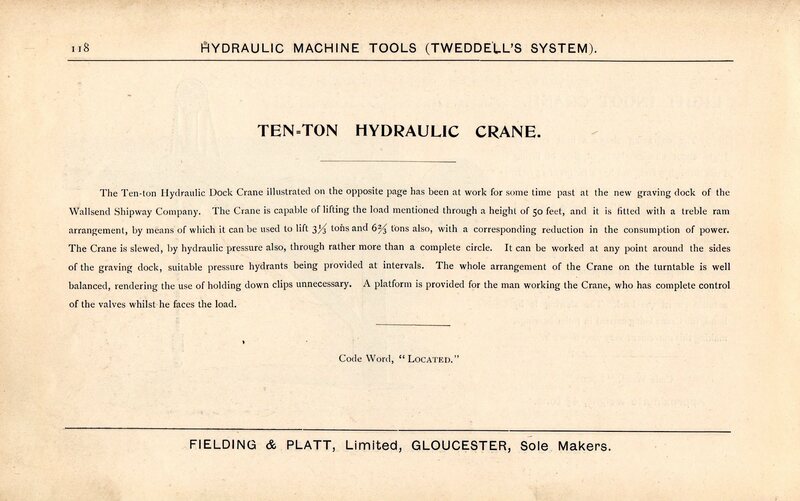 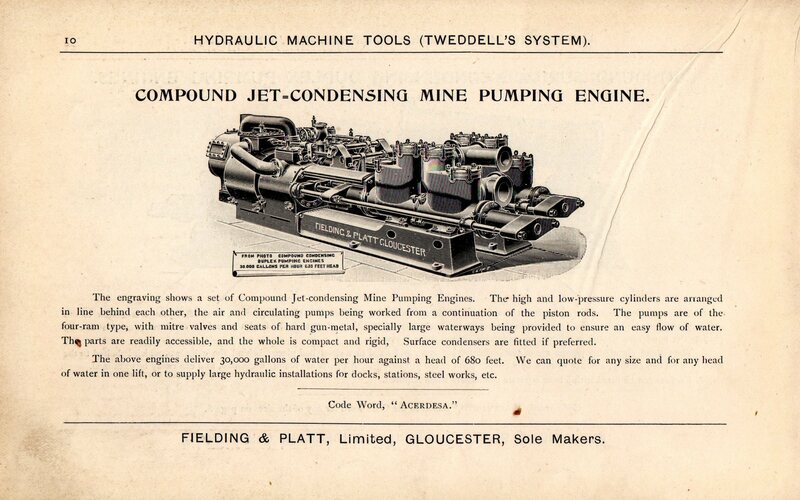 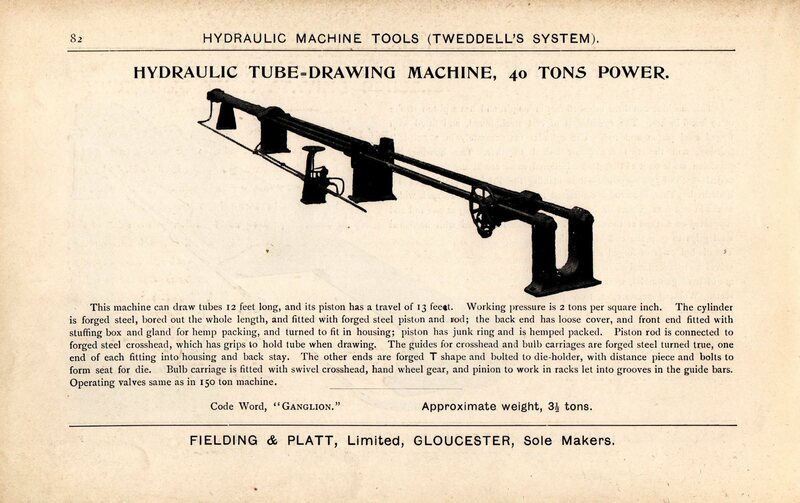 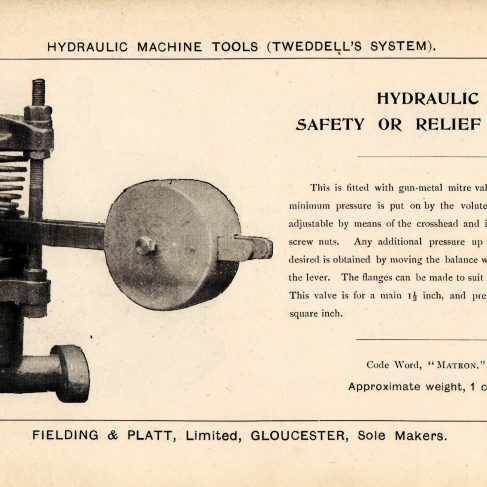 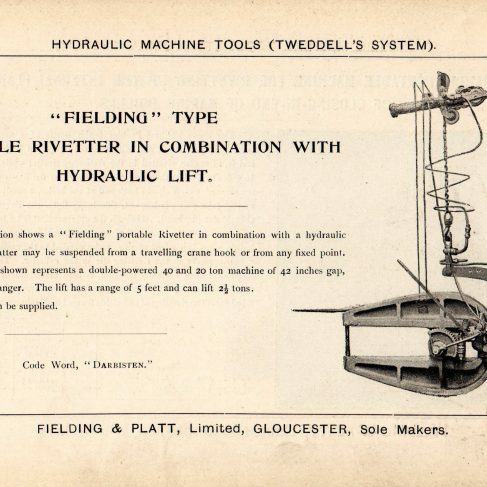 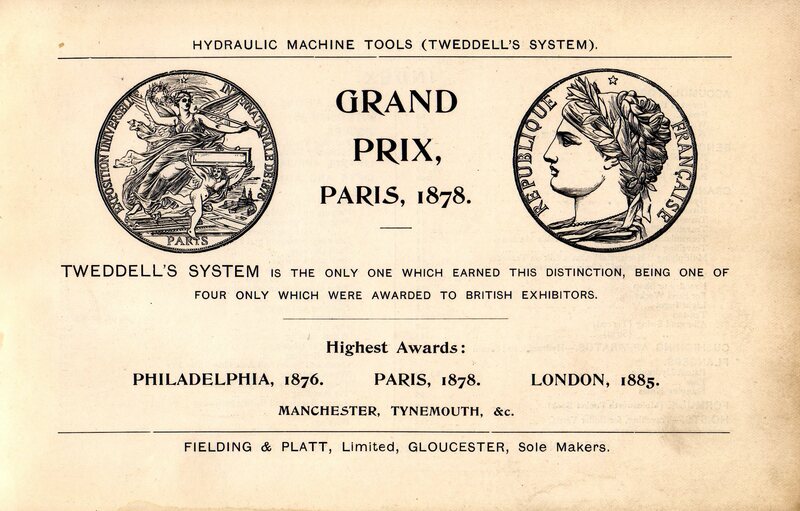 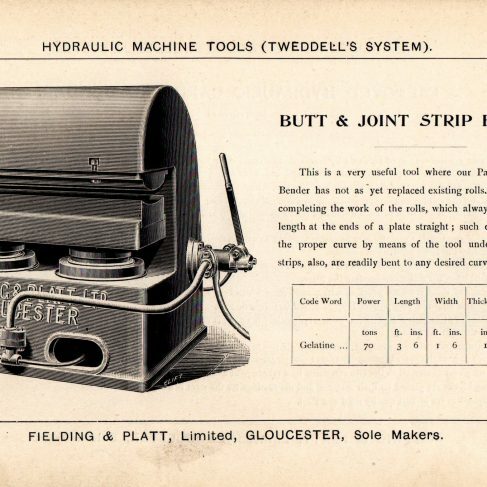 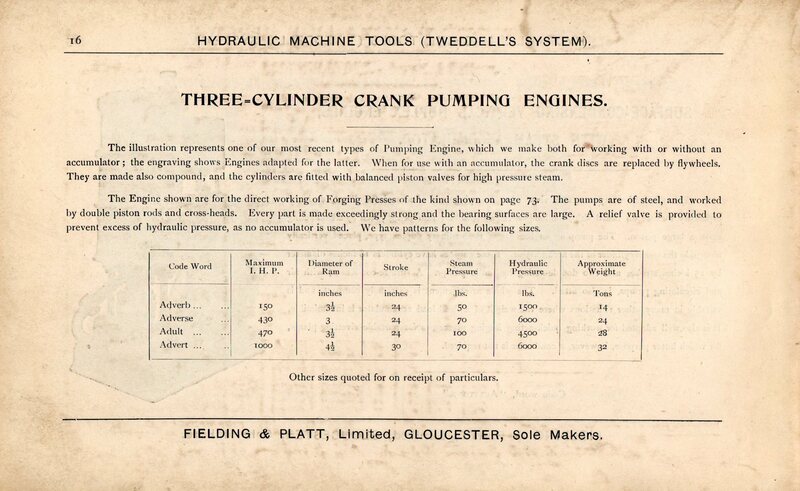 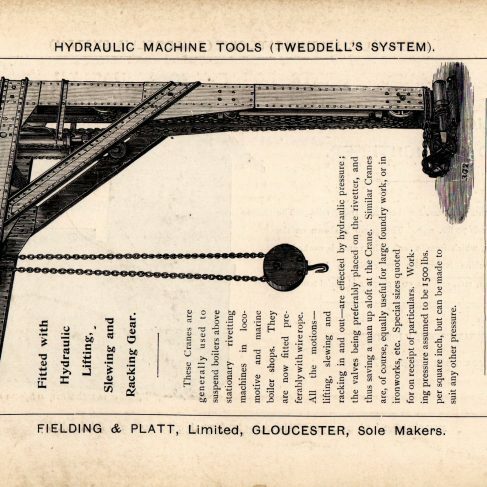 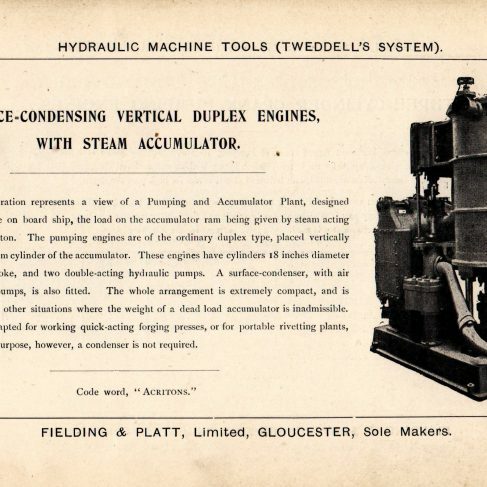 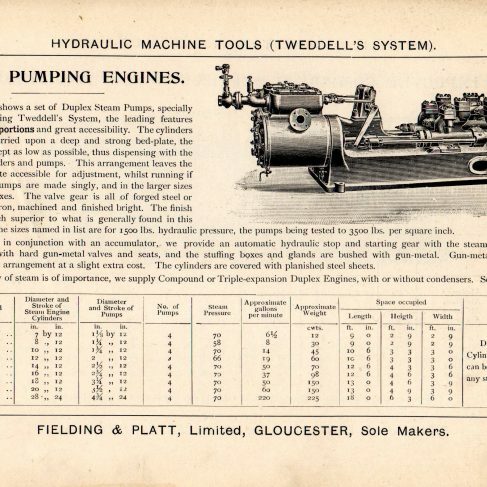 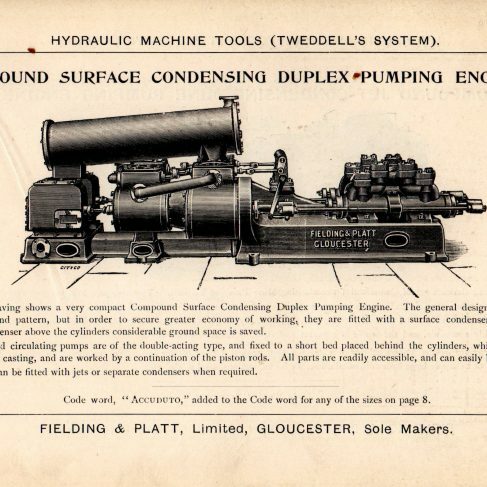 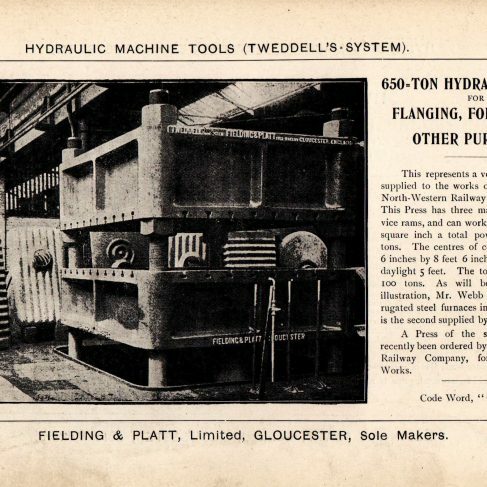 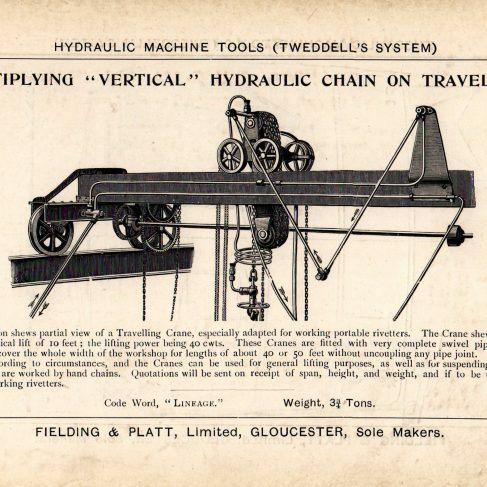 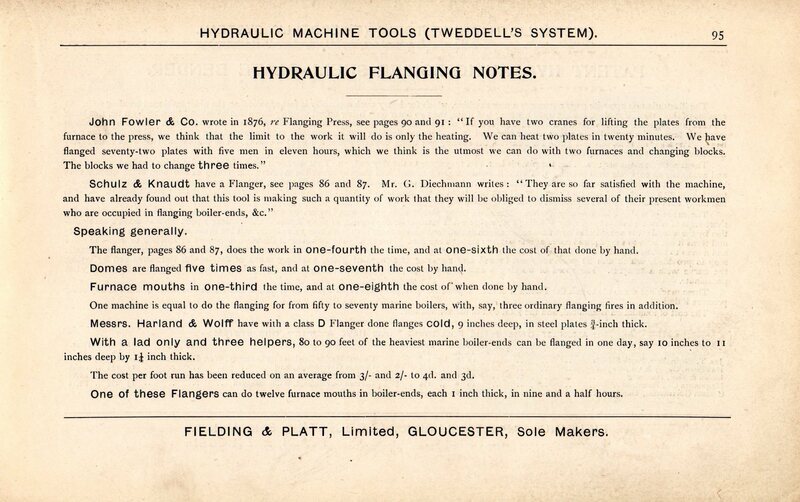 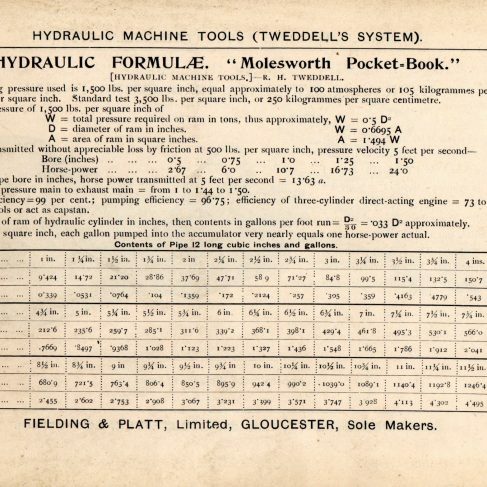 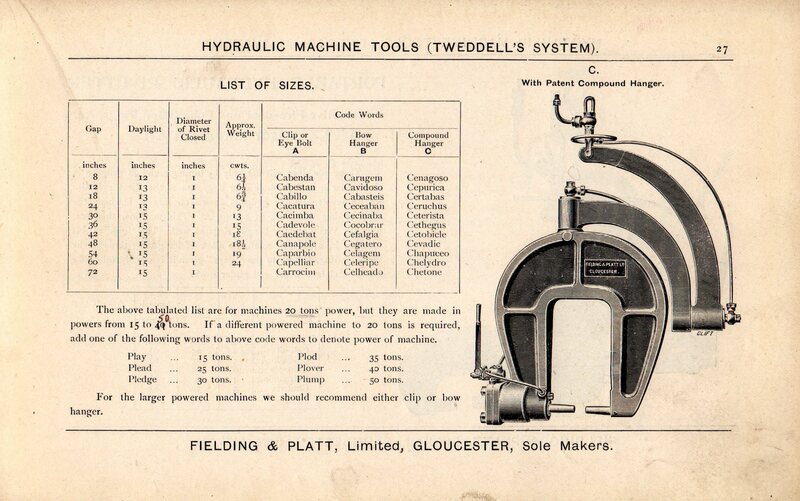 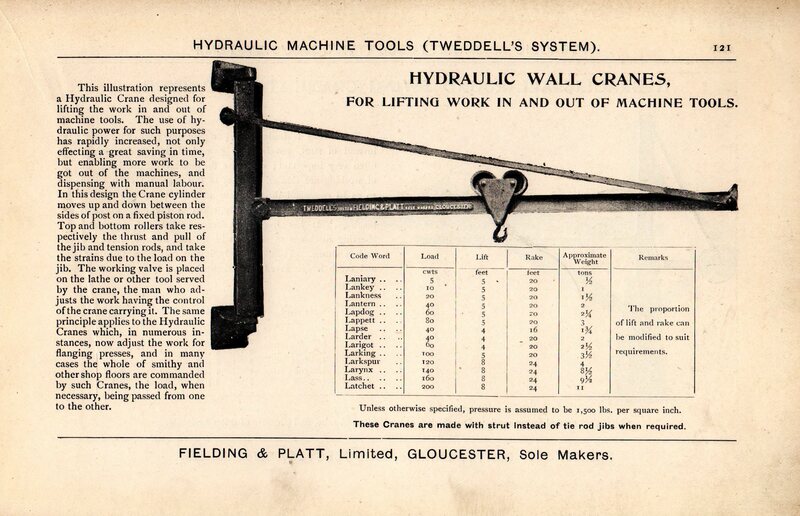 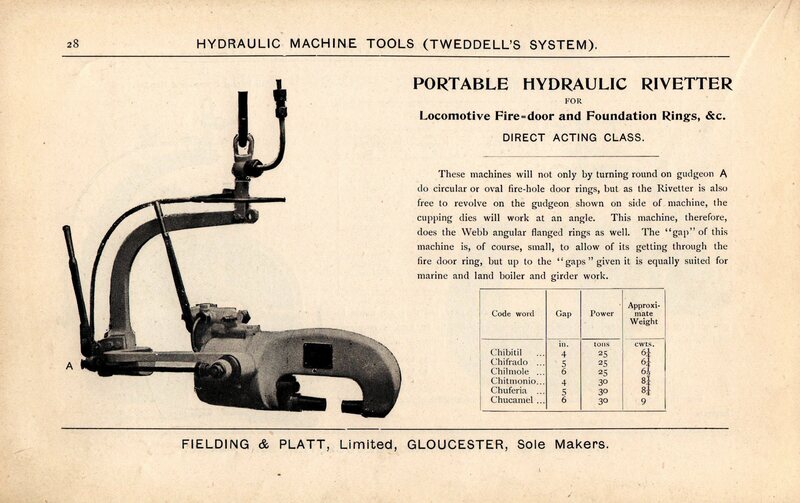 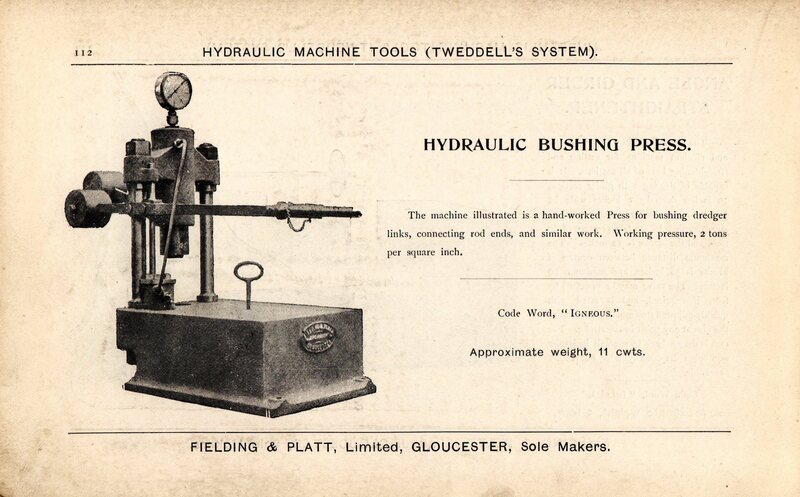 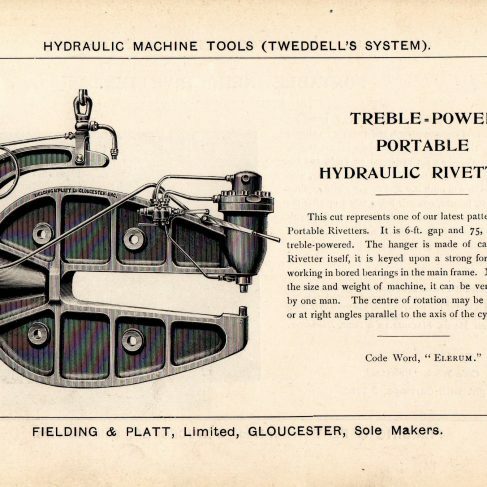 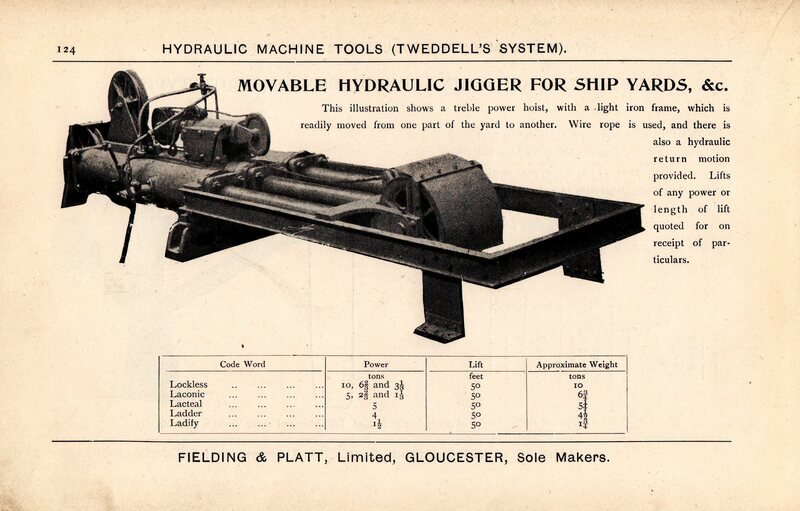 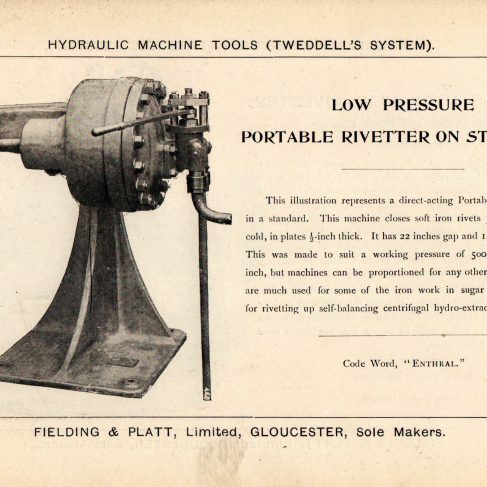 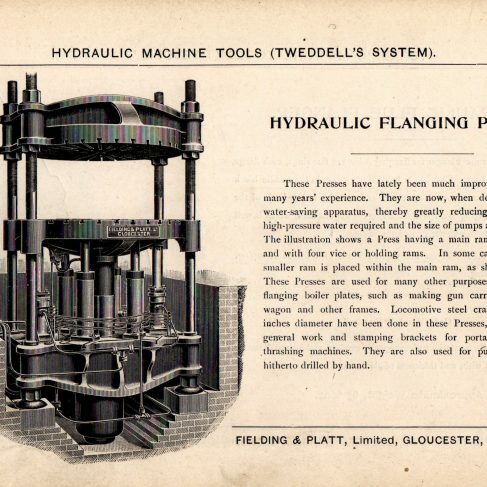 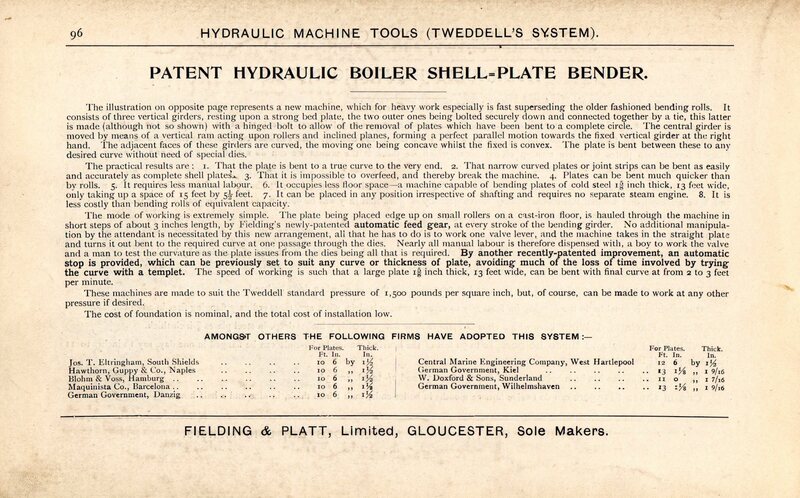 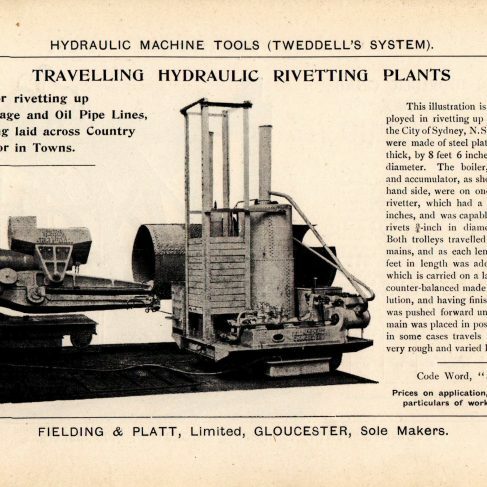 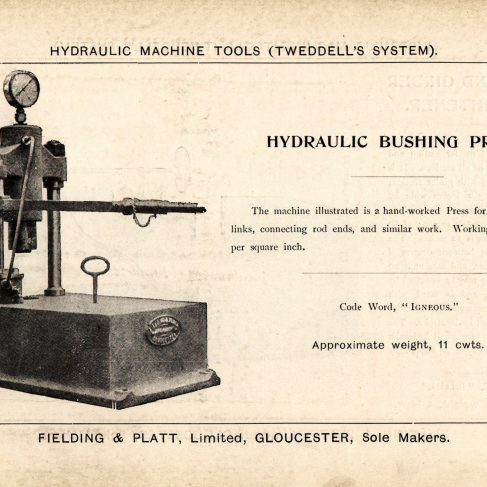 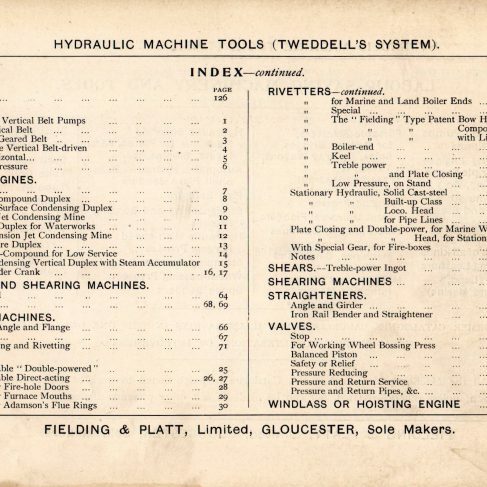 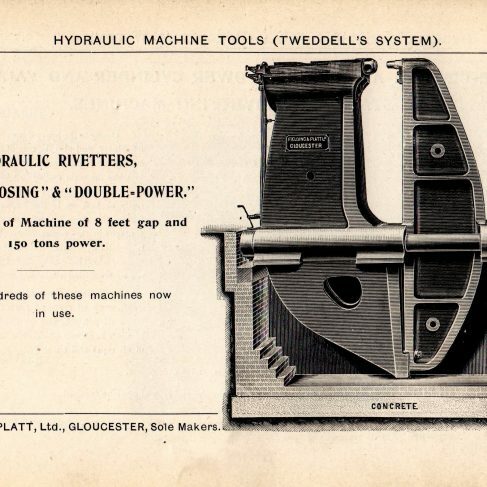 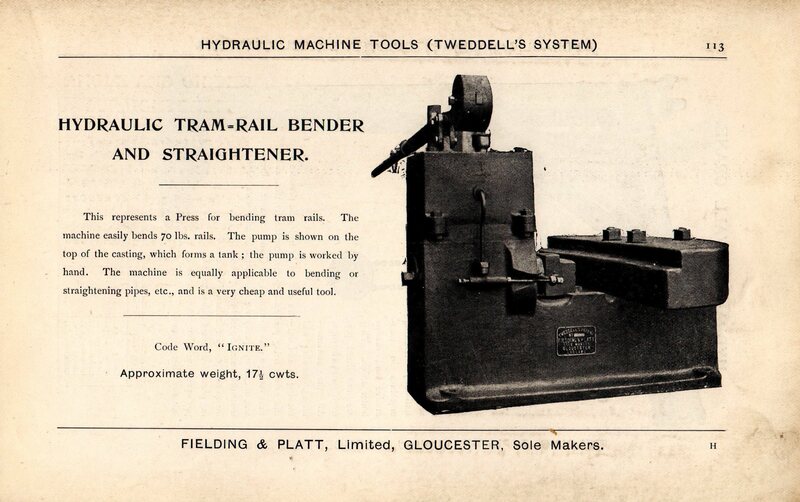 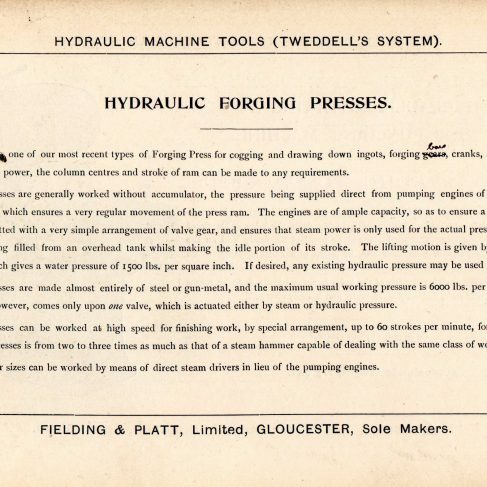 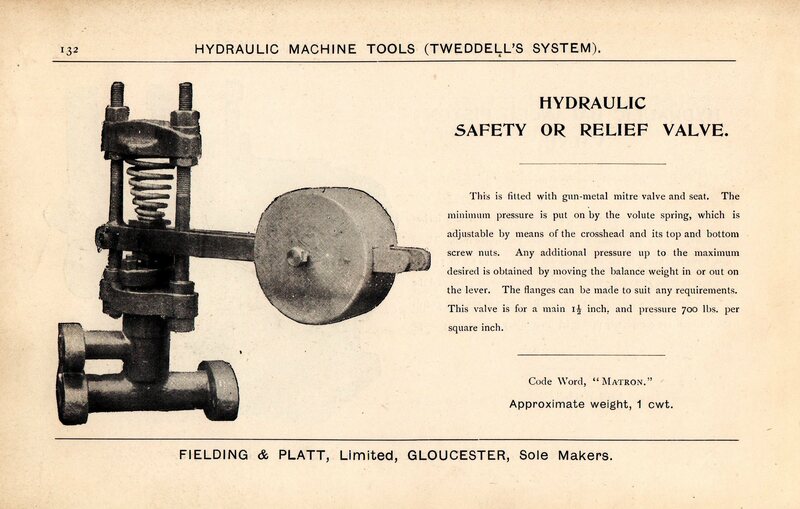 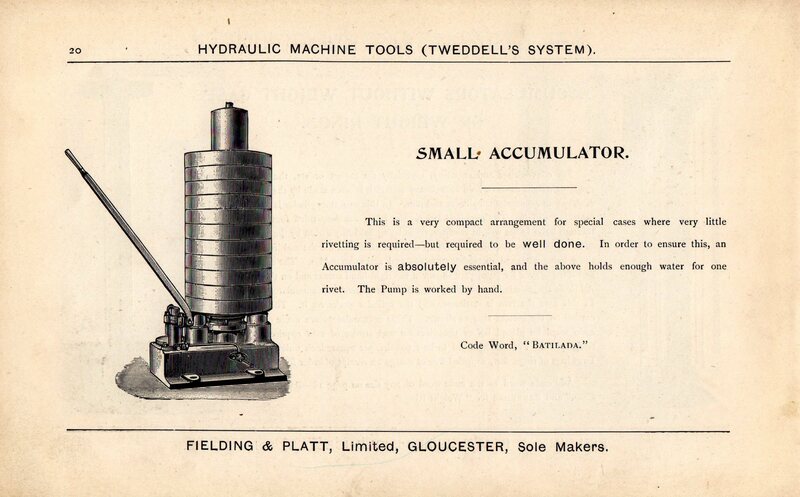 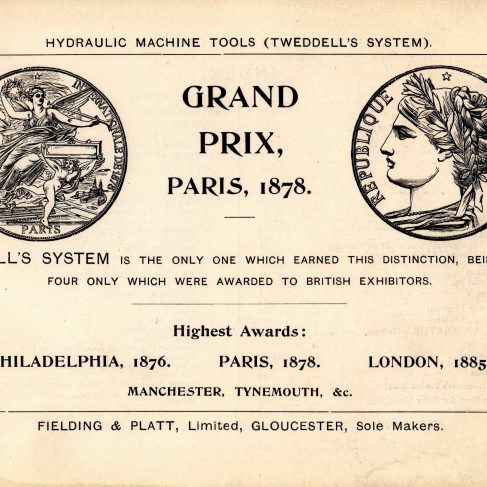 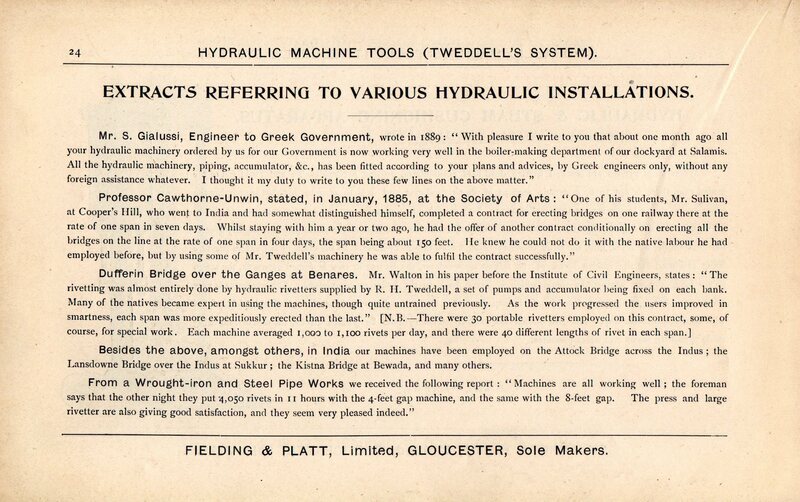 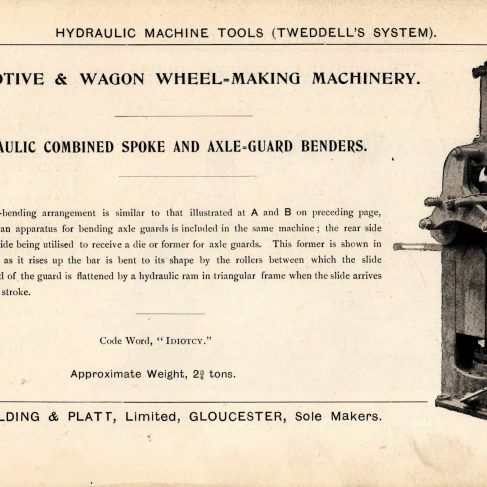 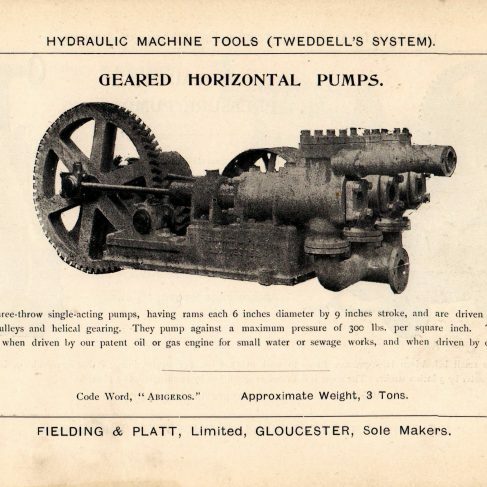 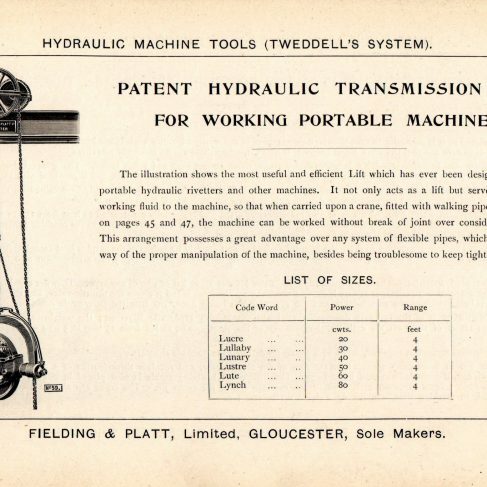 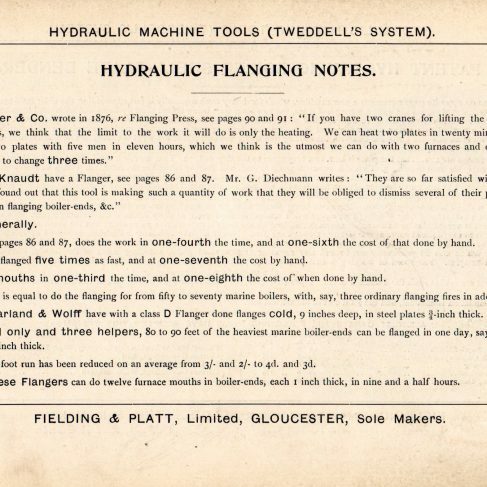 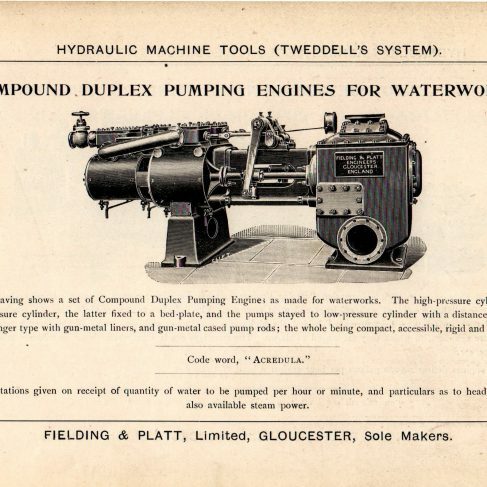 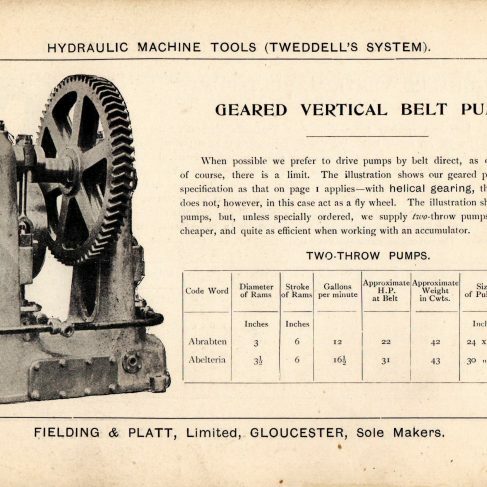 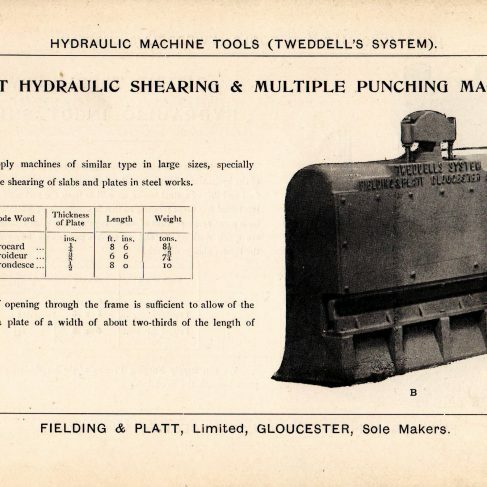 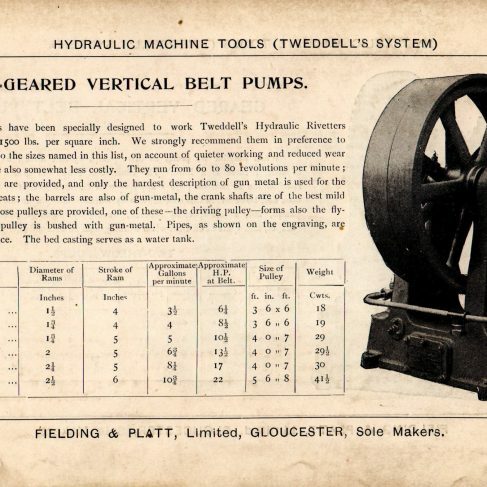 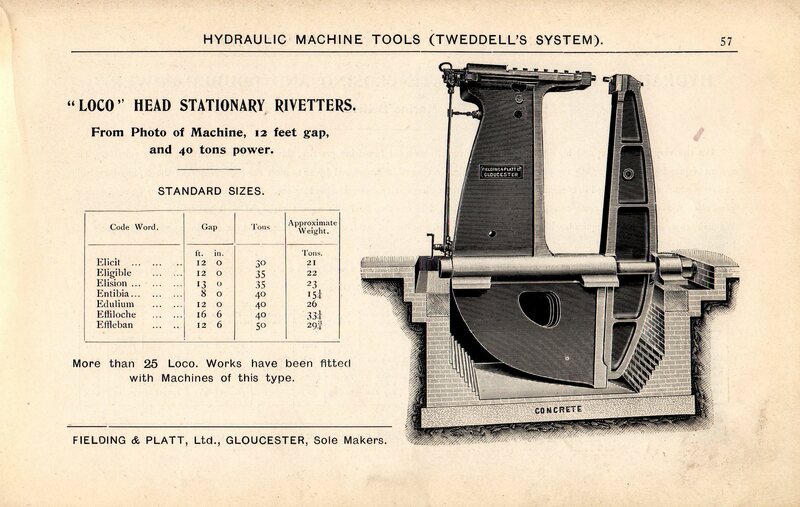 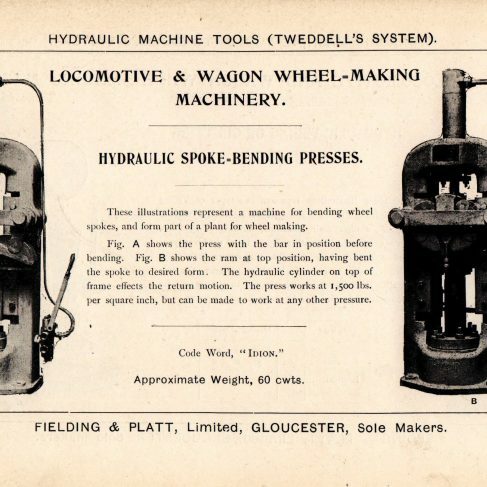 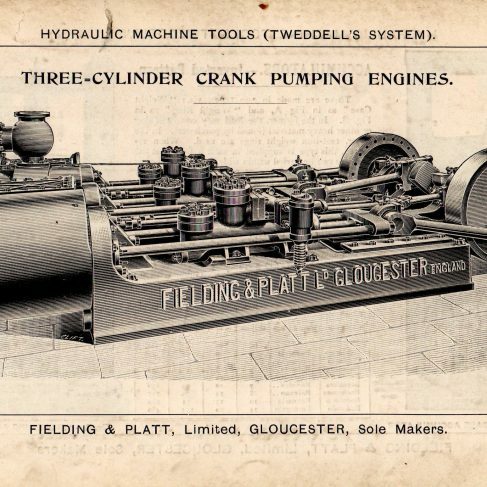 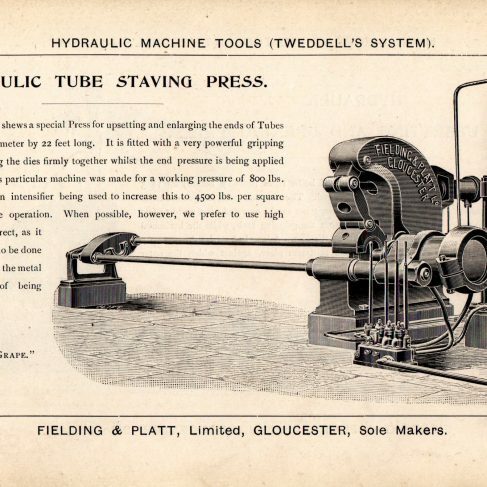 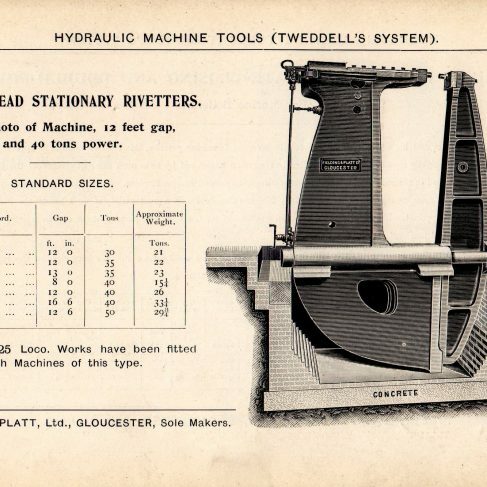 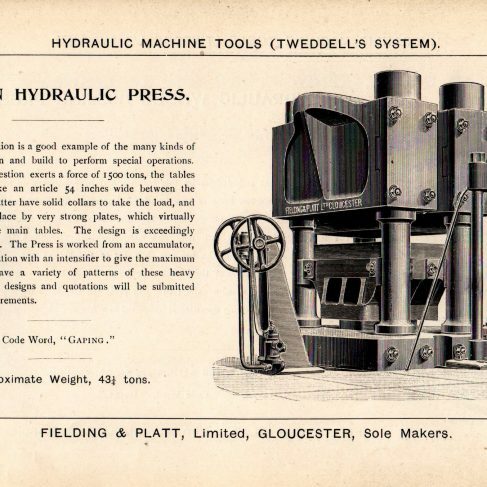 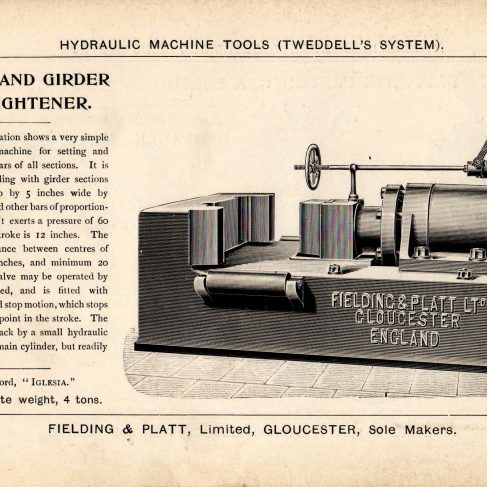 Written in English only, it runs to some 138+ pages of descriptions and illustrations of Tweddell’s System Hydraulic Machine Tools and it was probably the forerunner of the production of 4 similar-sized softback Catalogues, Sections I-IV, that were subsequently printed to illustrate sections of the main catalogue (presumably on grounds of cost of printing and postage). 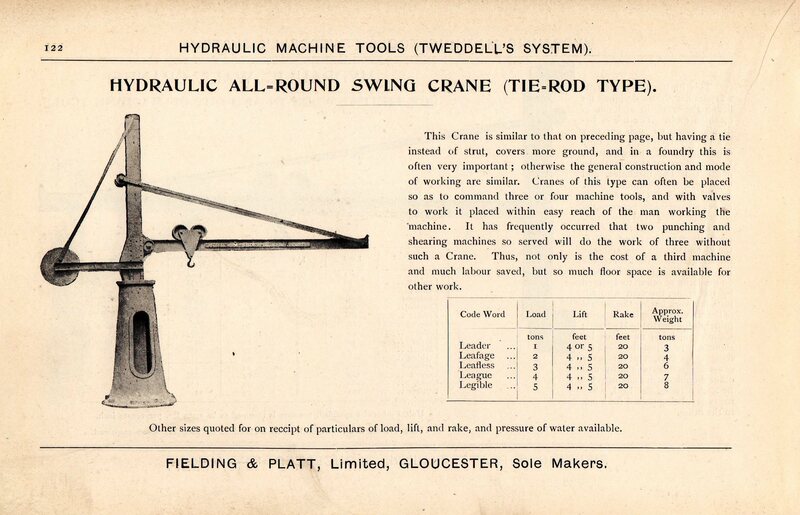 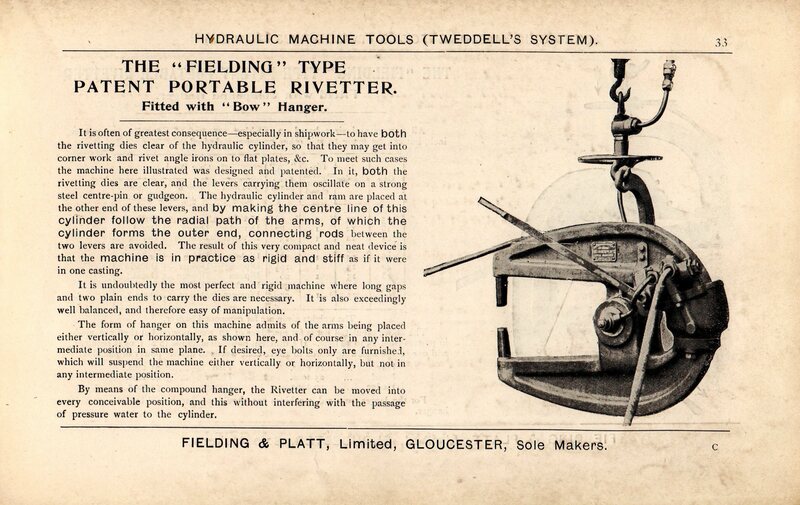 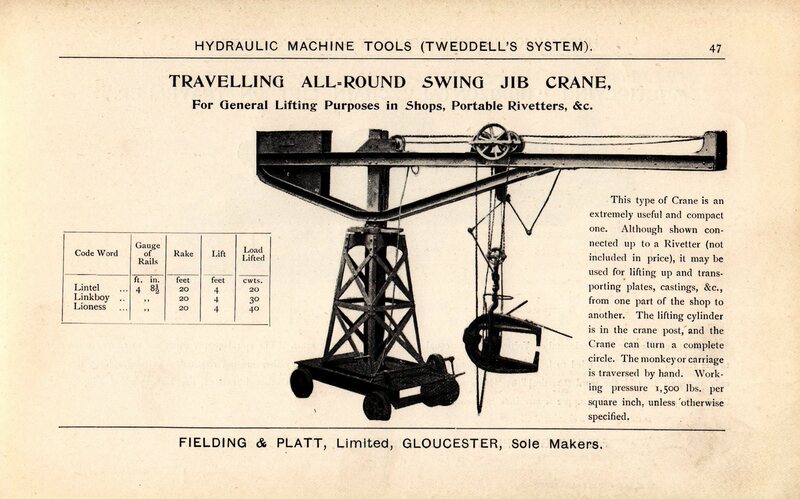 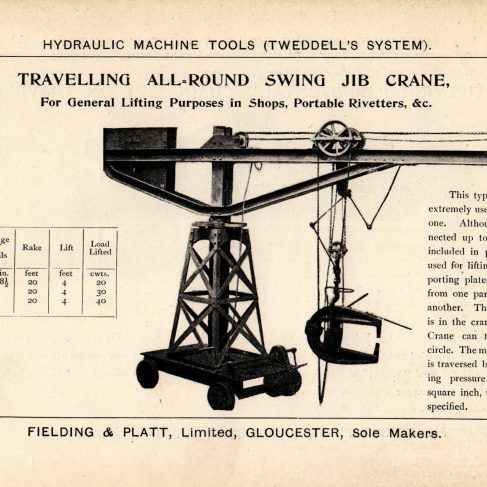 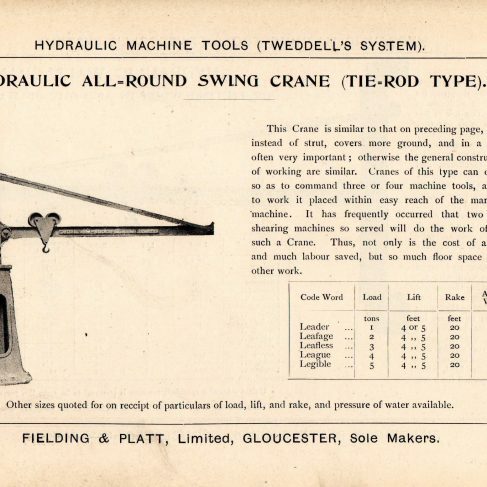 We take this opportunity of reproducing all the illustrations of the 1896 catalogue. 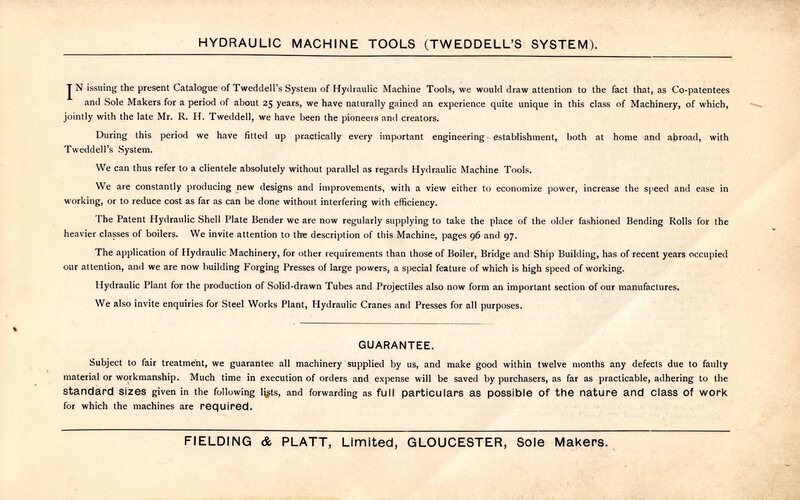 Click on the hyperlink to see a portrait and read the papers of Ralph Hart Tweddell.